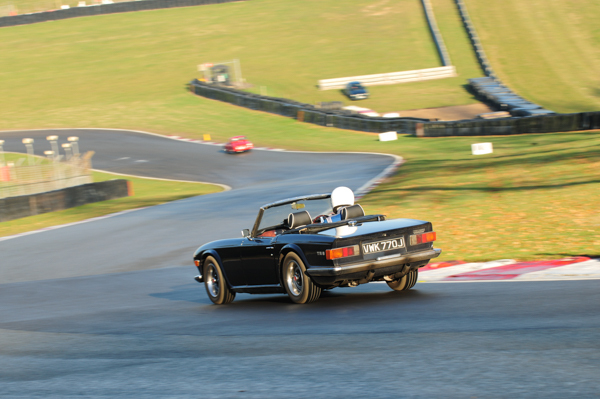 Wedges - but not as you know them. 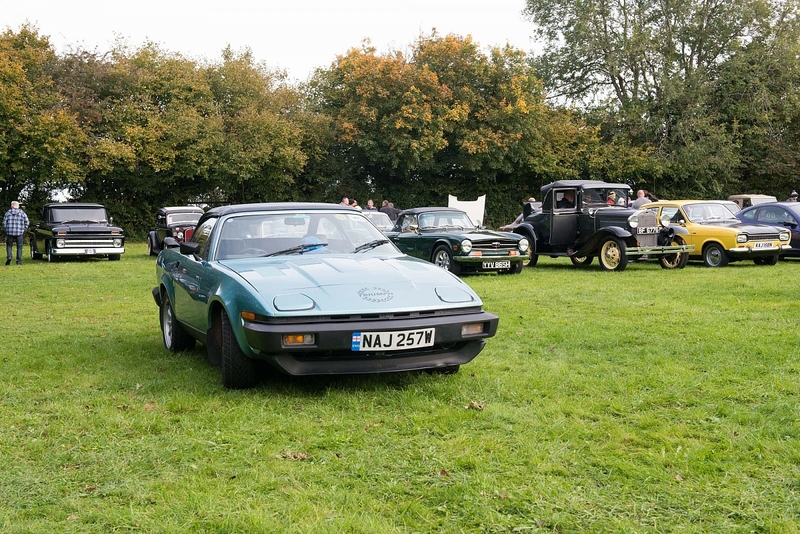 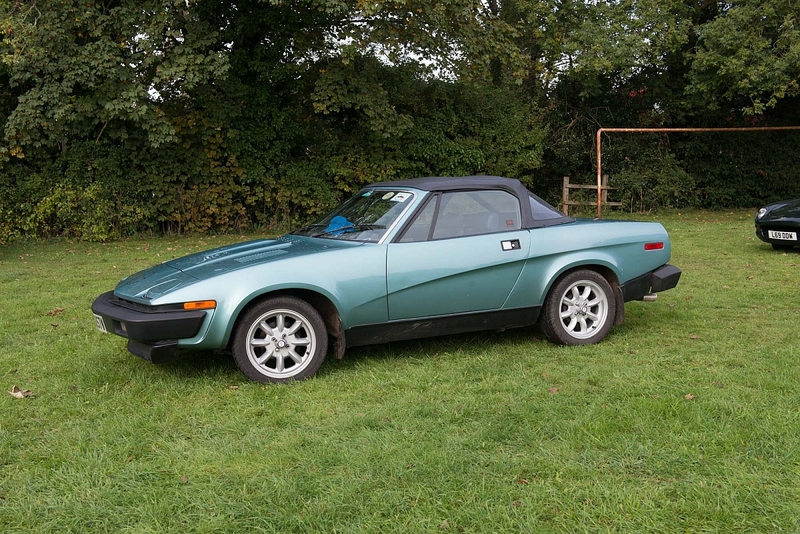 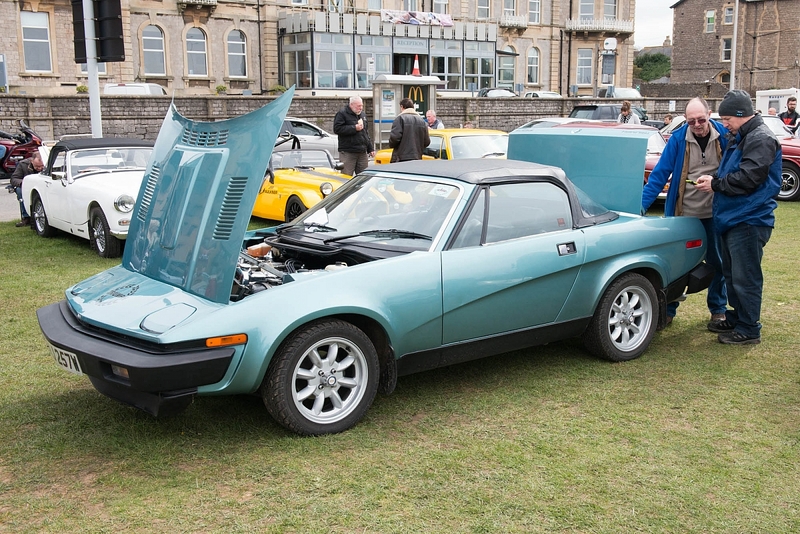 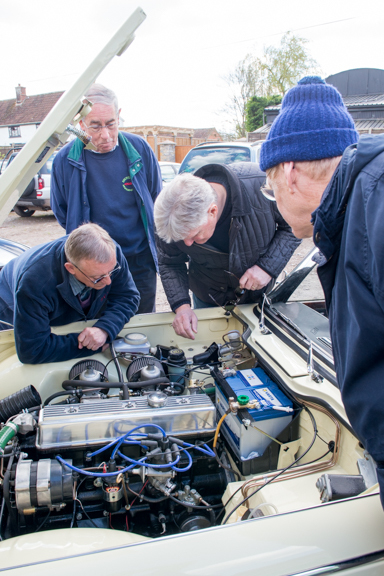 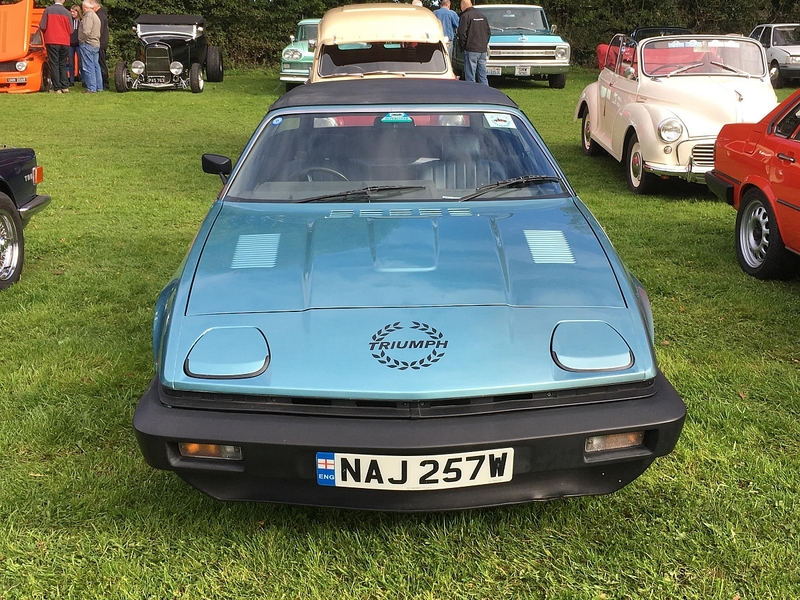 Dave Walker took his TR7 Sprint being one of the few factory built cars with the Sprint engine, and Alan Woodier took his V8 powered wedge which has only recently been put back on the road. 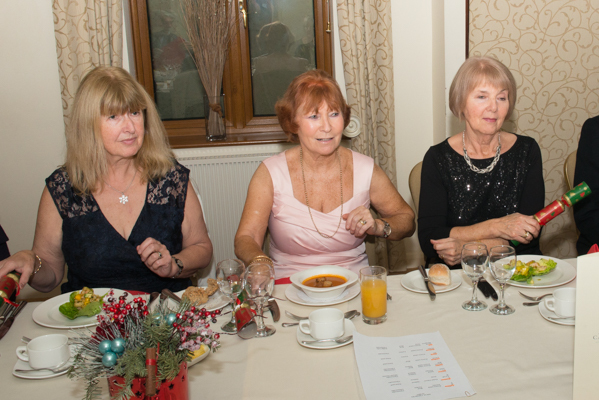 This was a very well supported event as you can see from some of the photos and it caught the organisers out. 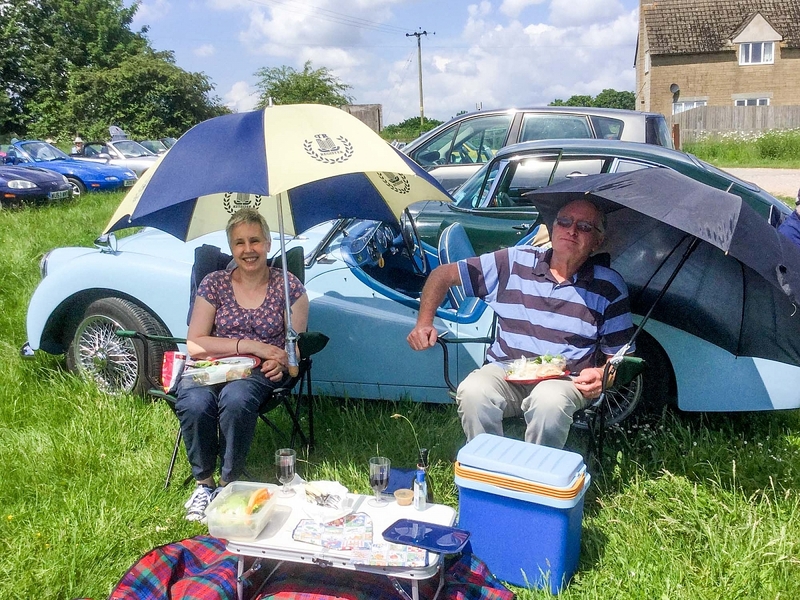 Having sold out of hot dogs they went out shopping for more and sold out again, before I made it to the hall, should have gone there first. 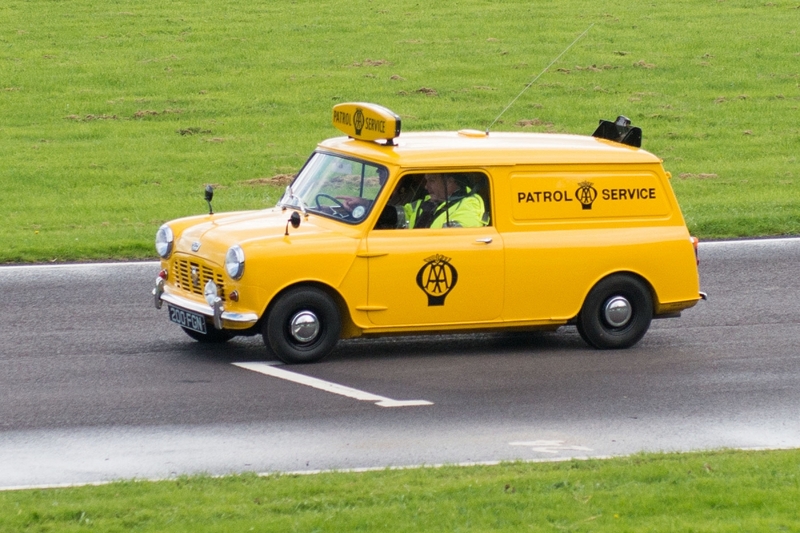 Rumour has it they sold 450 hot dogs and even more coffees. 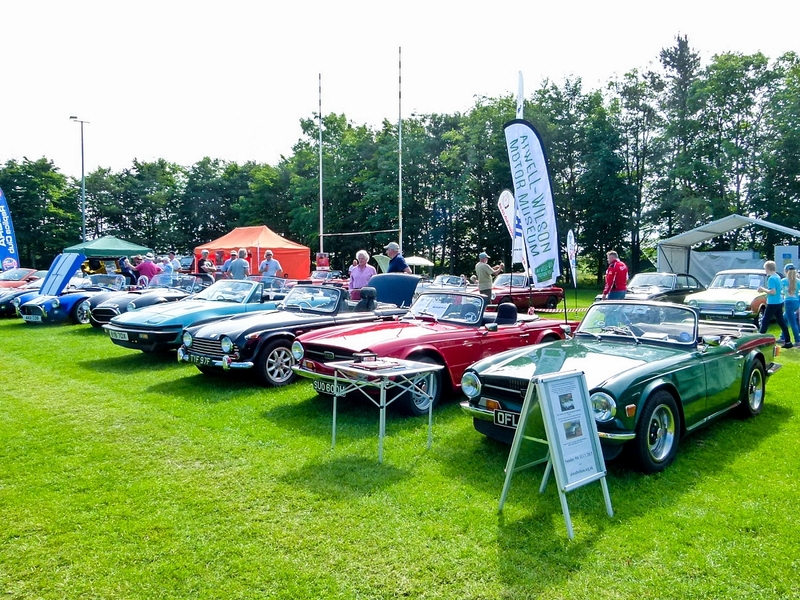 The organisers really appreciated the turnout and said it would make a big contribution to the children's play equipment. 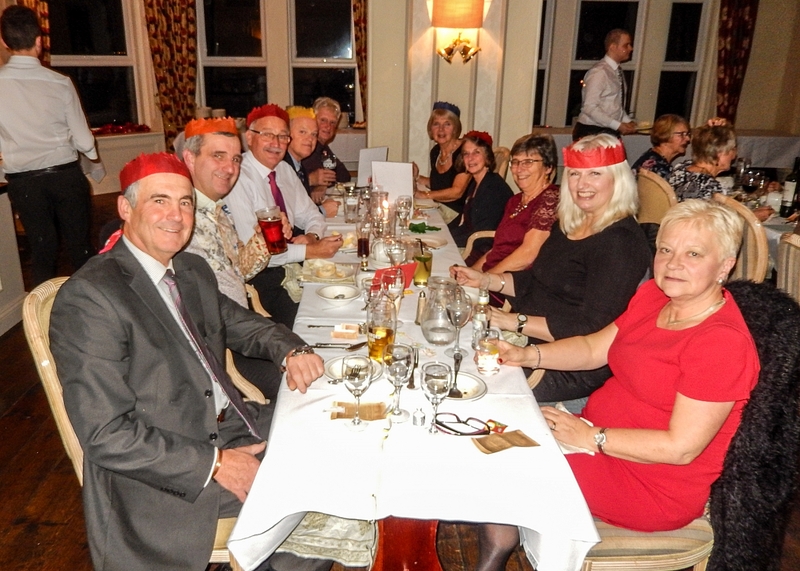 Spanners down.- time to be merry. 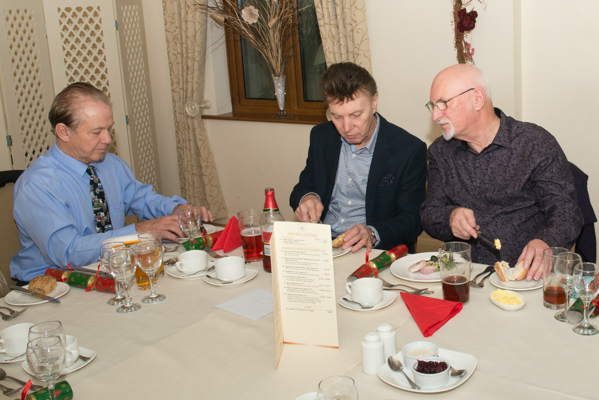 Final breakfast of the year. 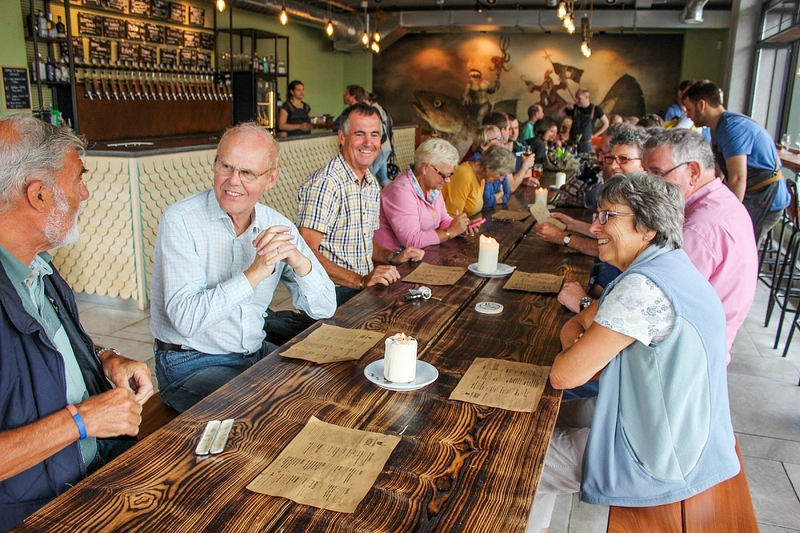 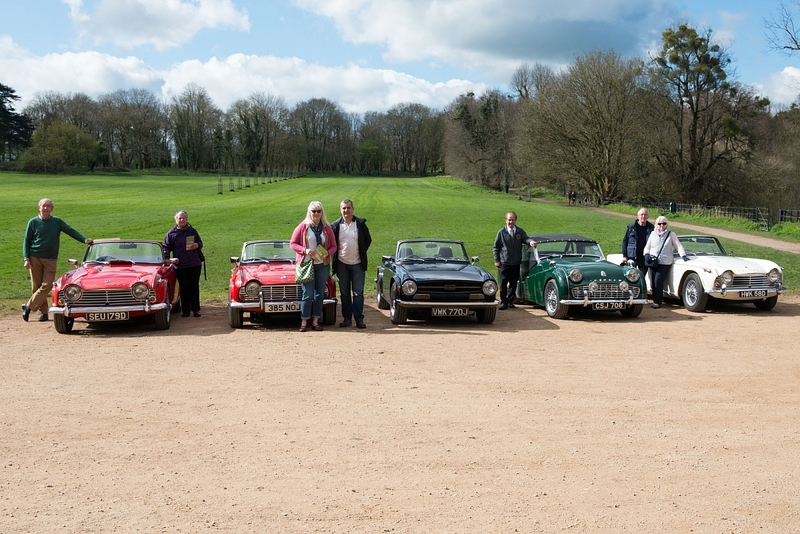 A really grand affair, and thanks to Derek Lee for many of the photos. 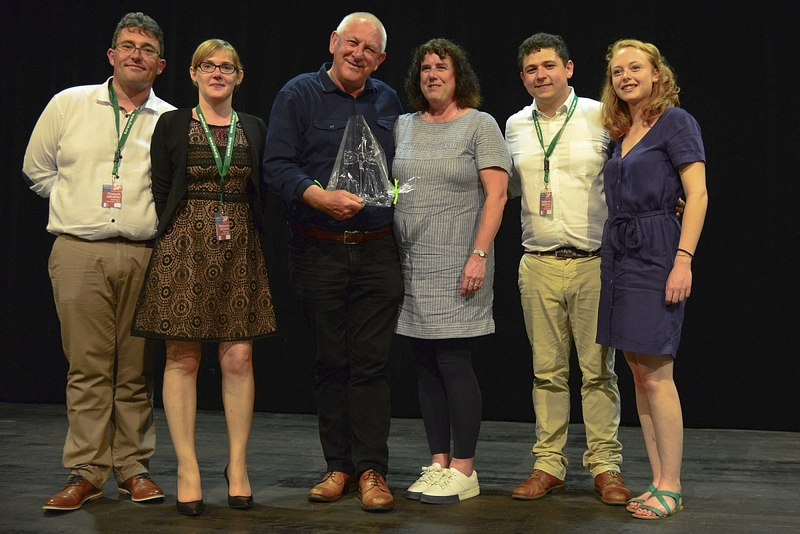 Brunel Winners in France. 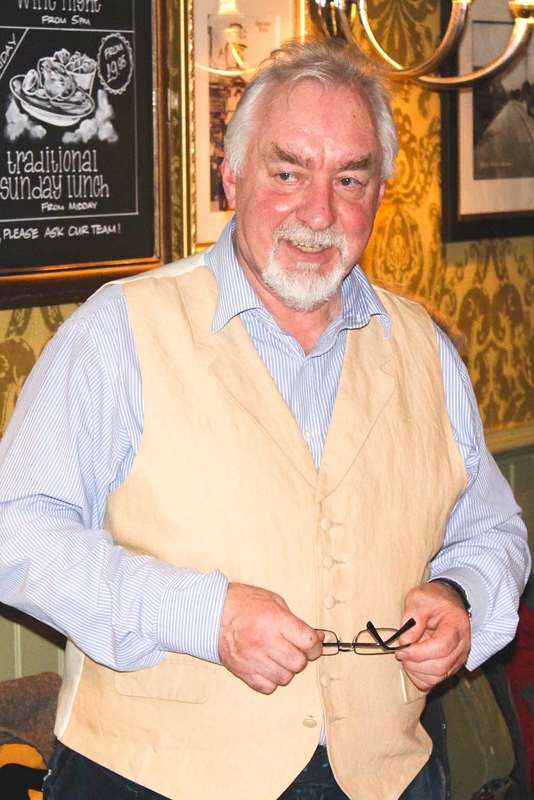 Photographs courtesy Guillaume Nédélec. 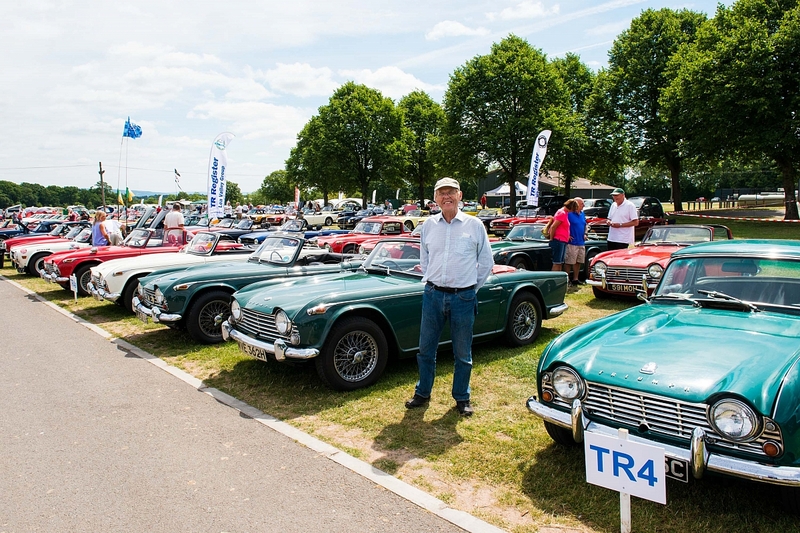 It happens every year, Bath Festival and Bristol Classic Car Show are on the same weekend, and it's Father's Day on the Sunday. 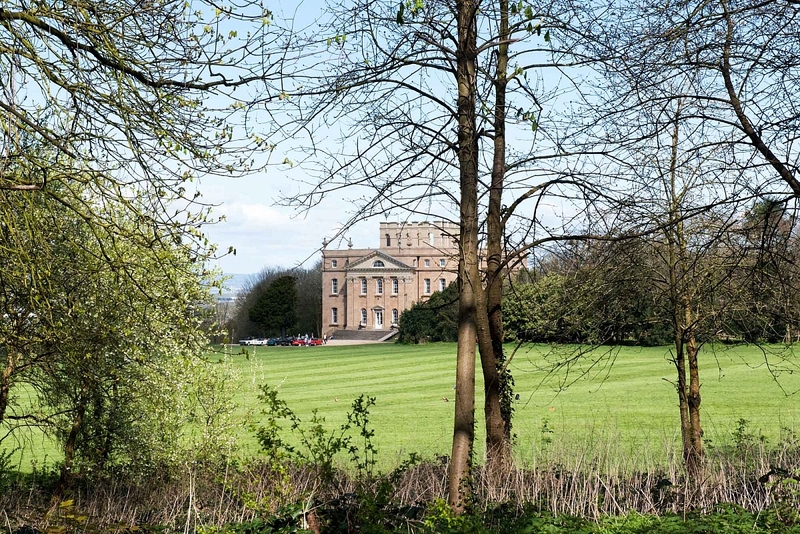 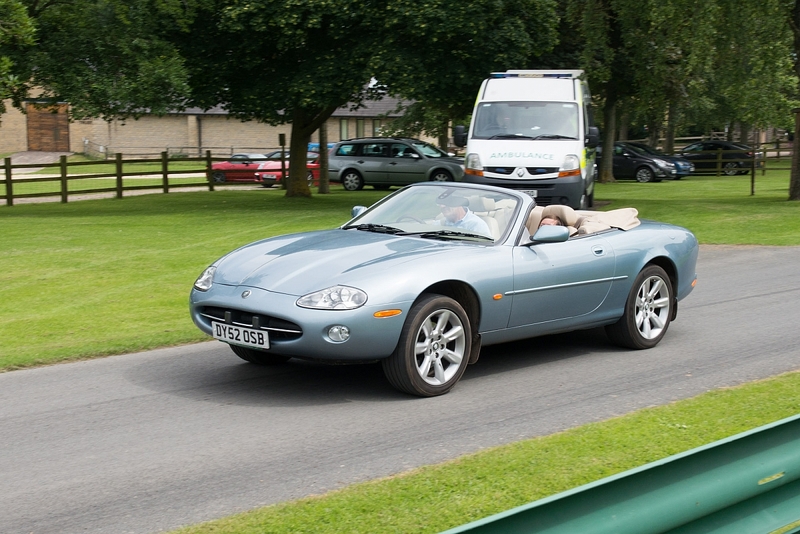 Stating the obvious, but, the Bath Festival photos are the ones with the cars on the grass. 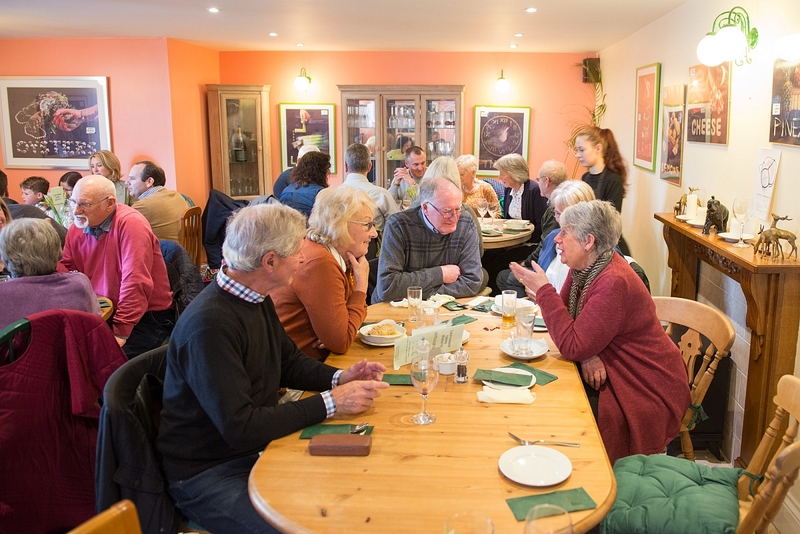 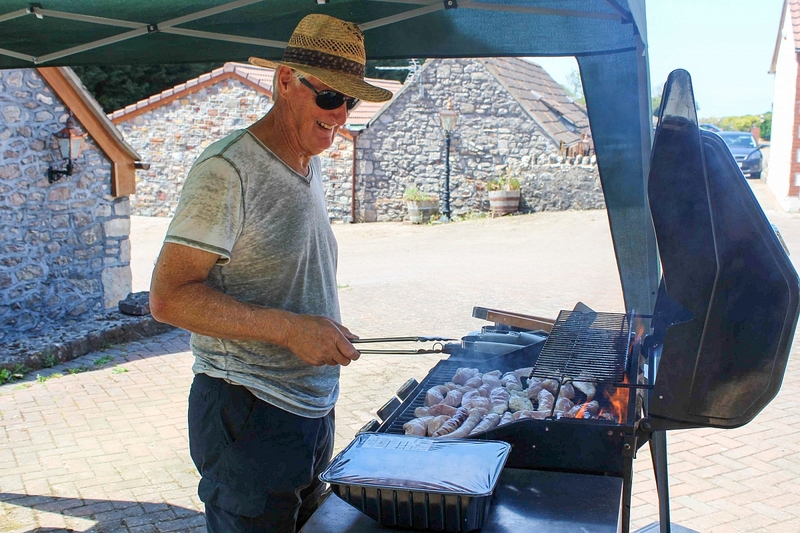 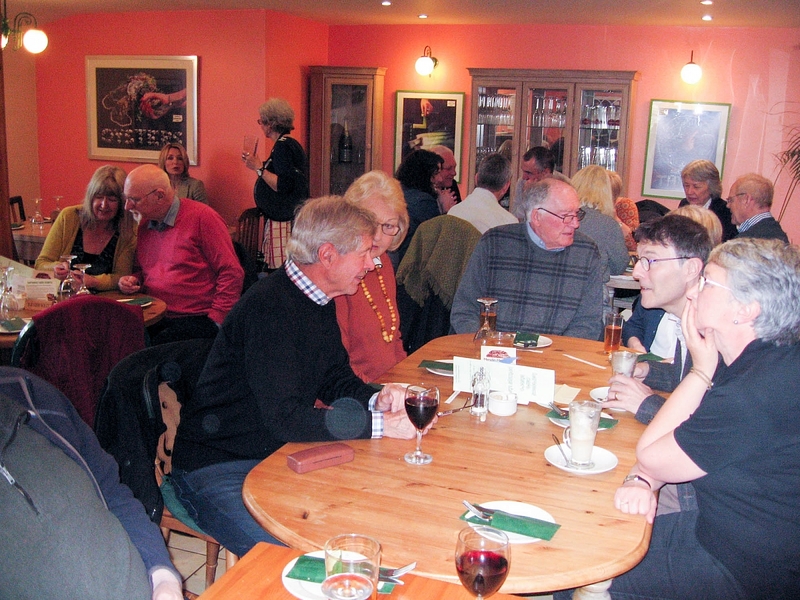 Thanks to Bob and Ginny for a very successful and well attended Sunday lunch, far too many to list here but it was great to see so many from the group. 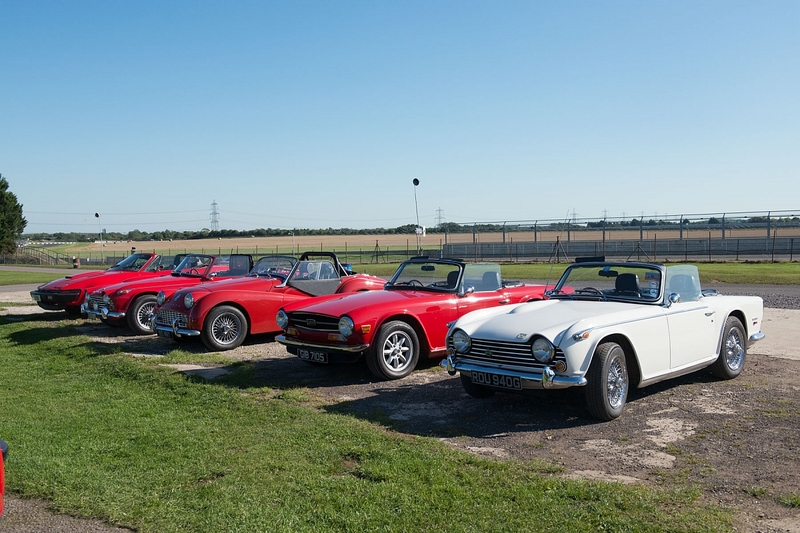 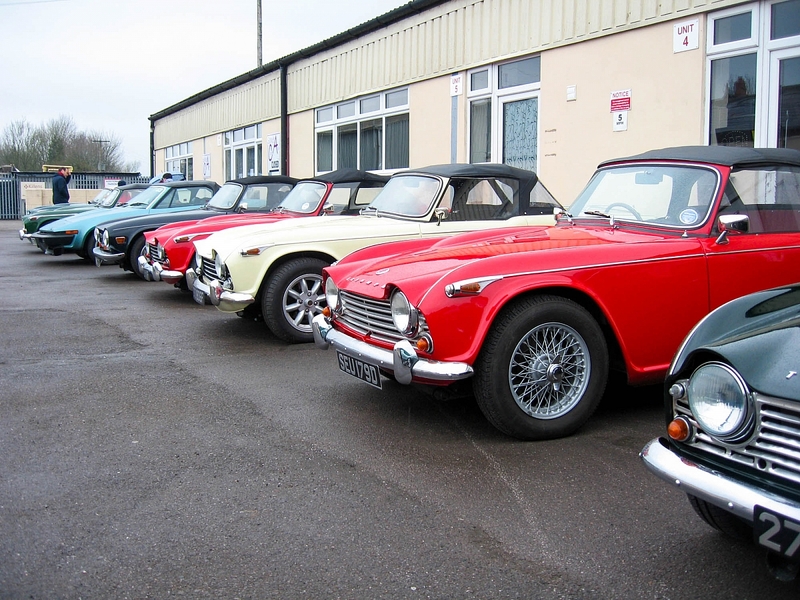 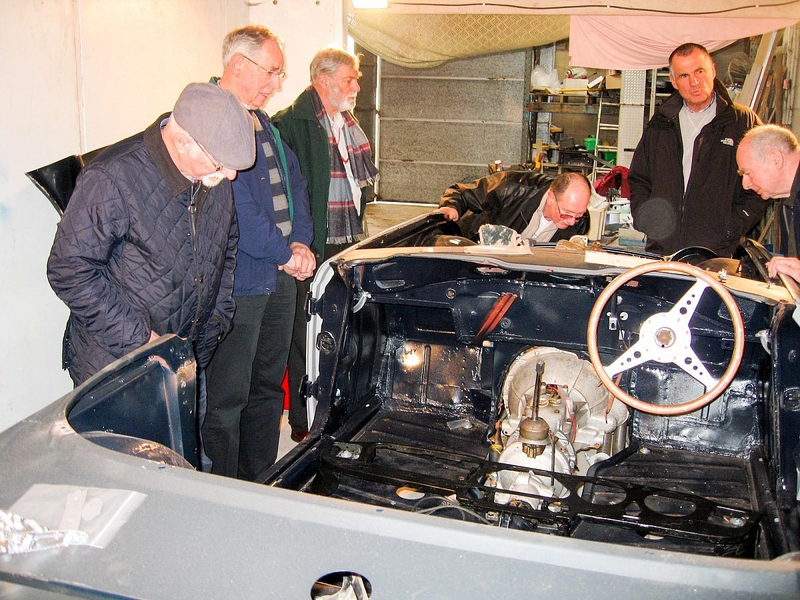 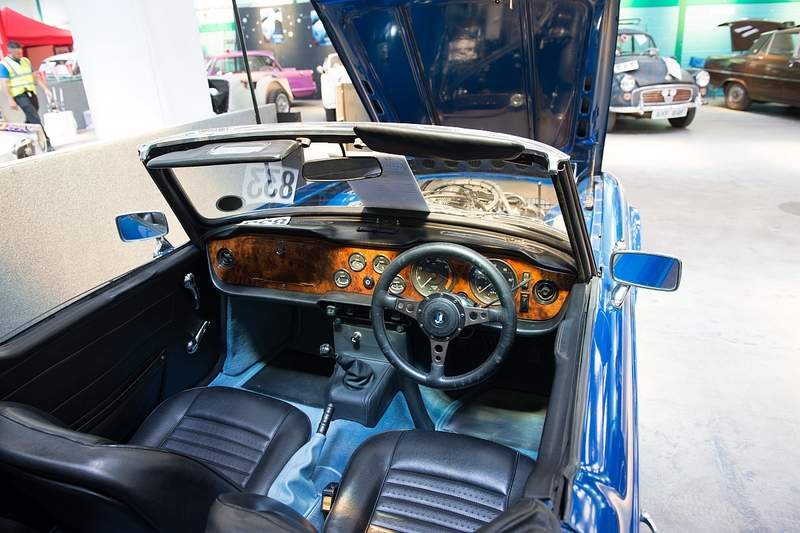 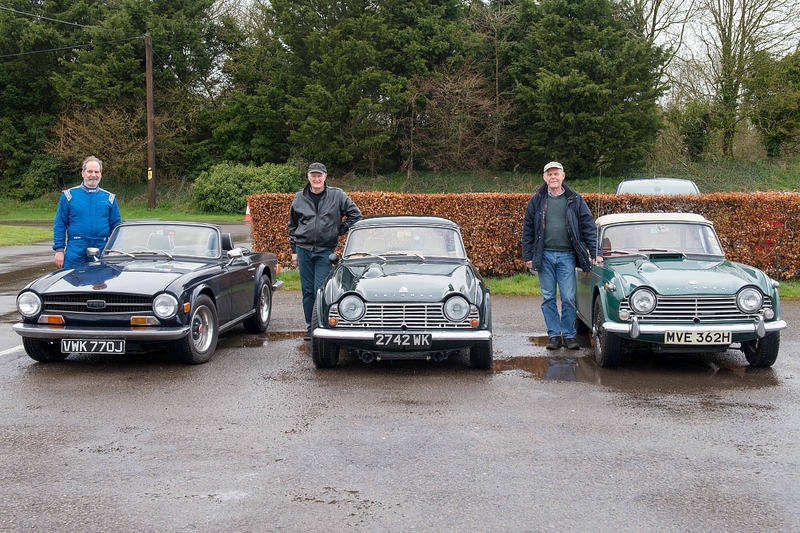 The TR line up was pretty impressive as well, as was the visit to the landlord’s TR4a restoration. Thanks to Derek Lee for sending in some additional photos. 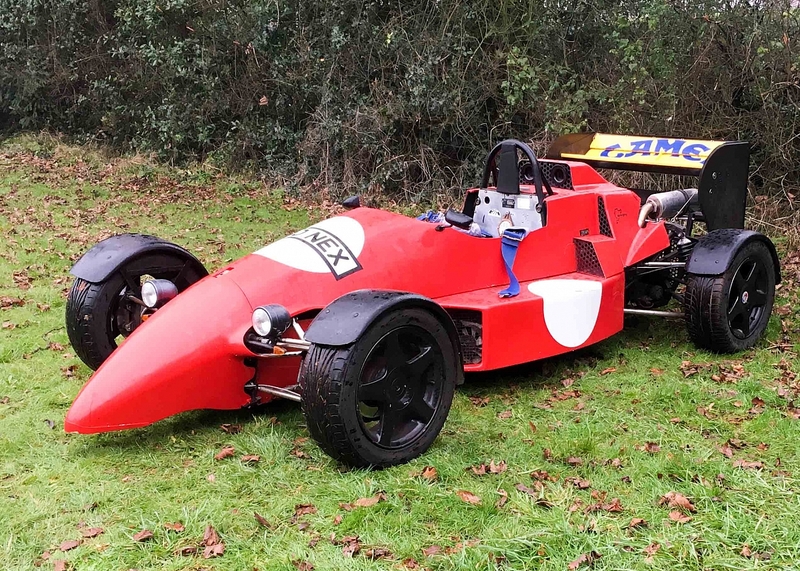 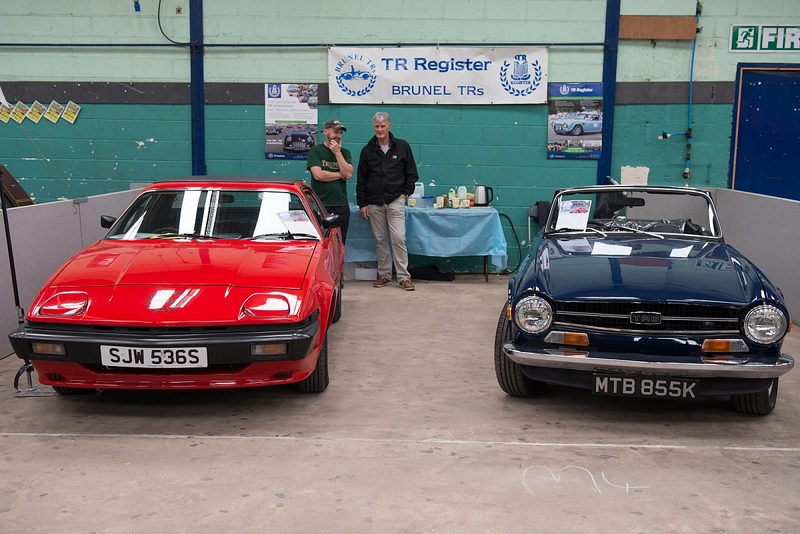 Although some of the Brunel Group have supported the BRIMAR charity run for several years a few of us made the trip down to Haynes for the TR Register meet. 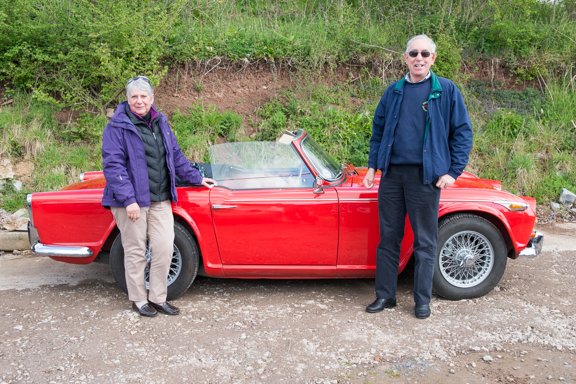 Initially joined by a member from Dorset, but Devon and Somerset were also planning to be there. 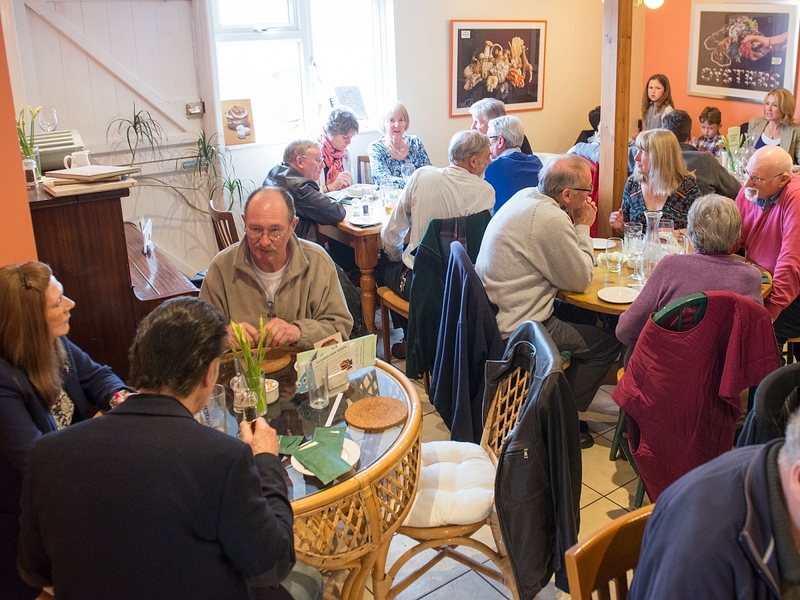 Thanks to Bob and Ginny for a very successful and well attended Sunday lunch, far too many to list here but it was great to see so many from the group. 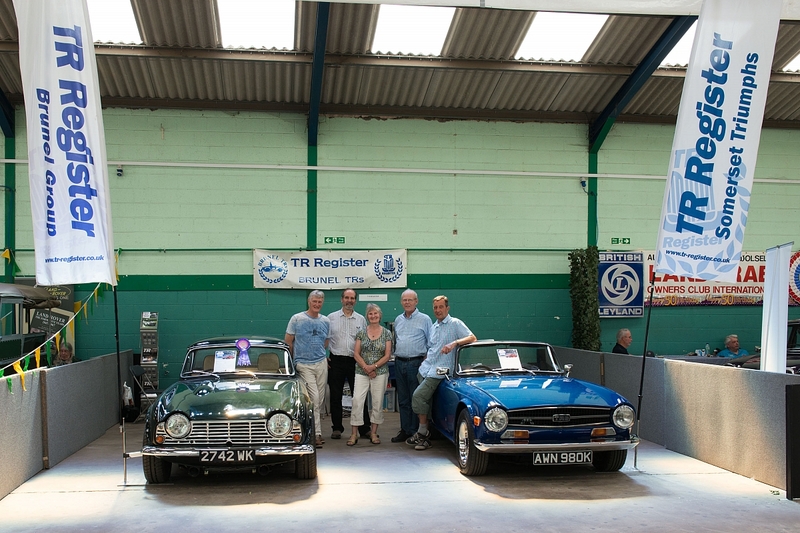 The TR lineup was pretty impressive as well, as was the visit to the landlord’s TR4a restoration. 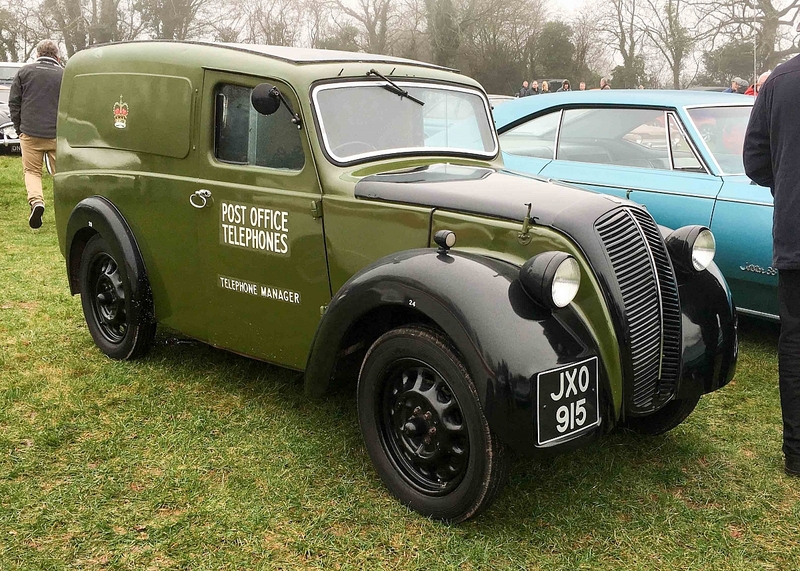 Thanks to Derek Lee for sending in some additional photos. 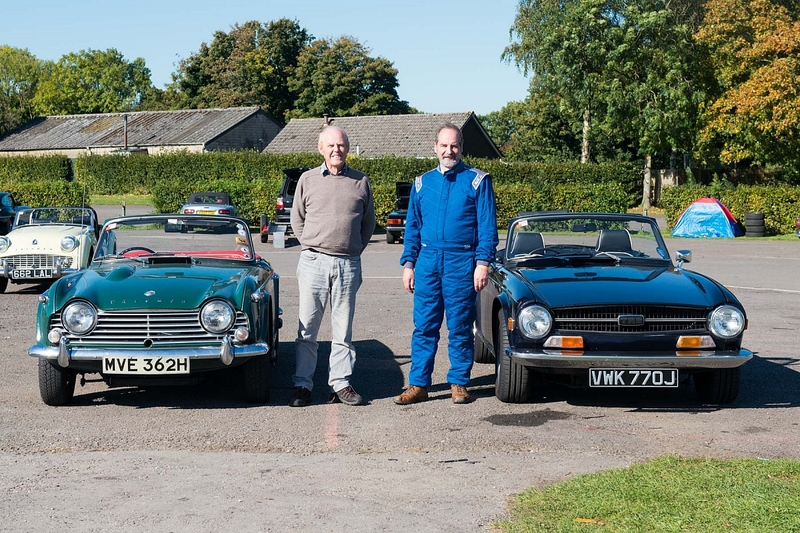 Another great day on the track with three of us pitching up for the full day, Tony Luffman in his supercharged TR4, Tim Carr in his TR4a, and Dave Green in his TR6. 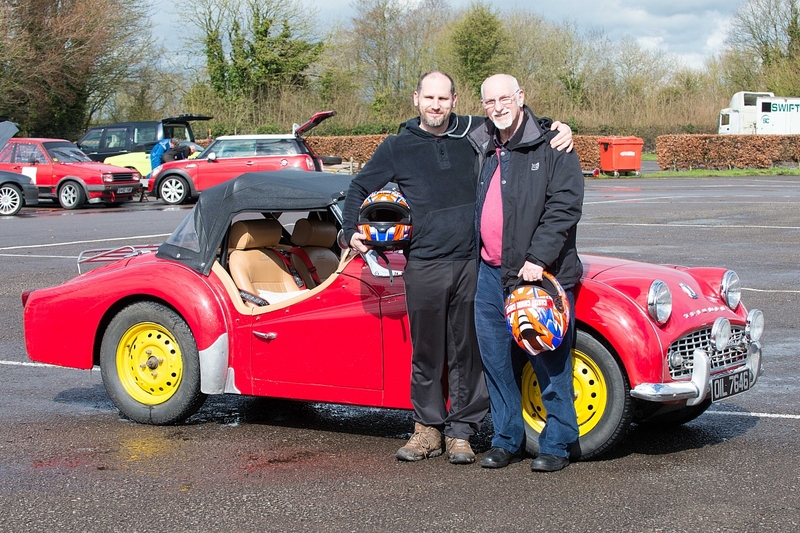 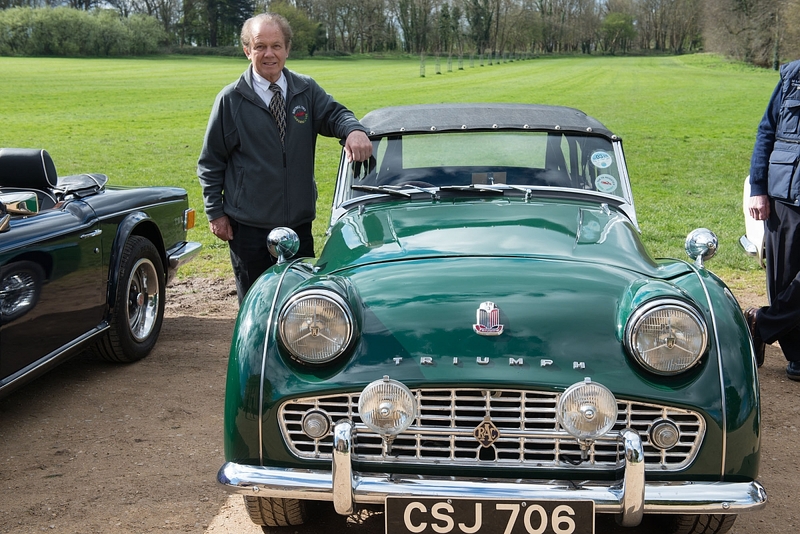 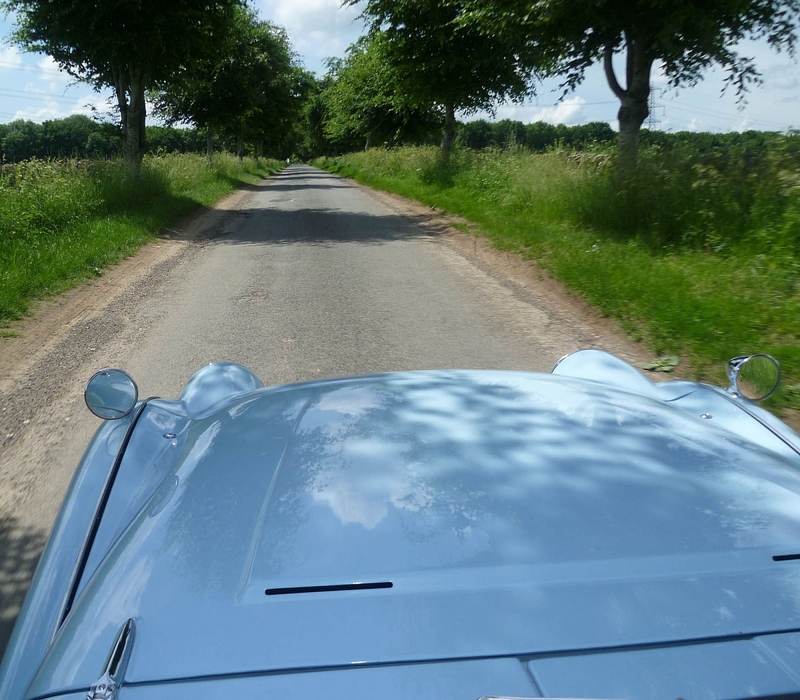 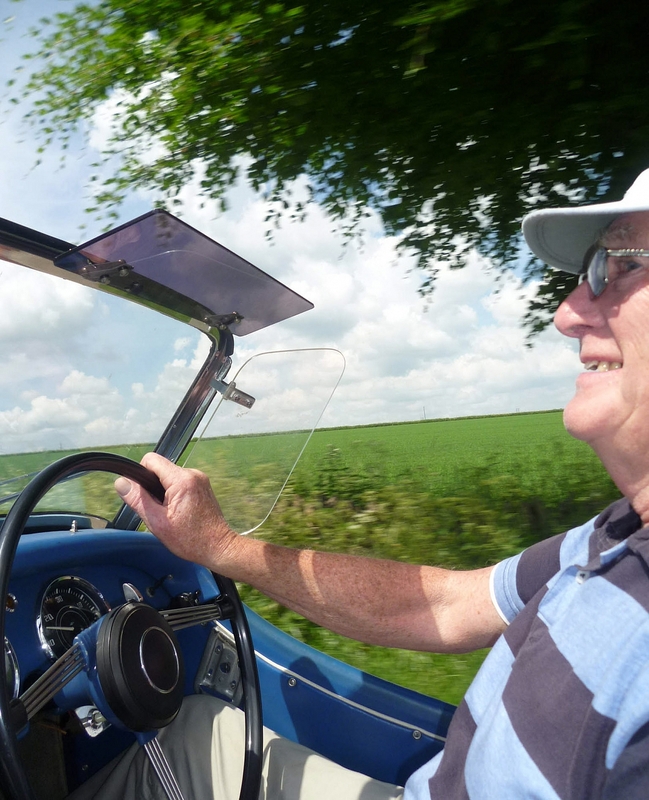 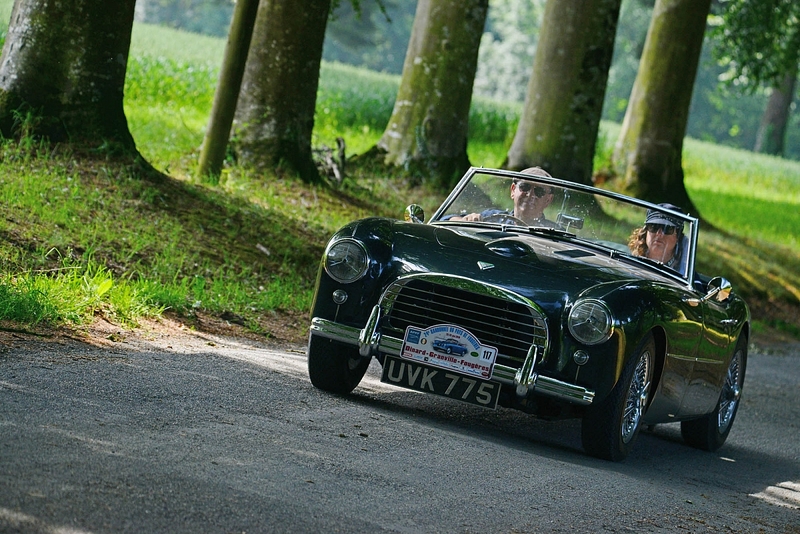 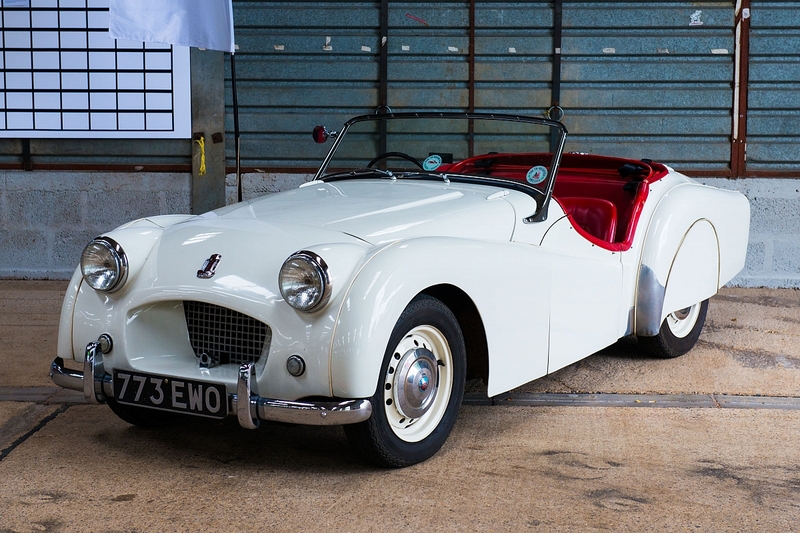 Eric Batty joined us from the Exeter Trial and Lands End trial in his TR3a with his son Chris taking to the wheel. 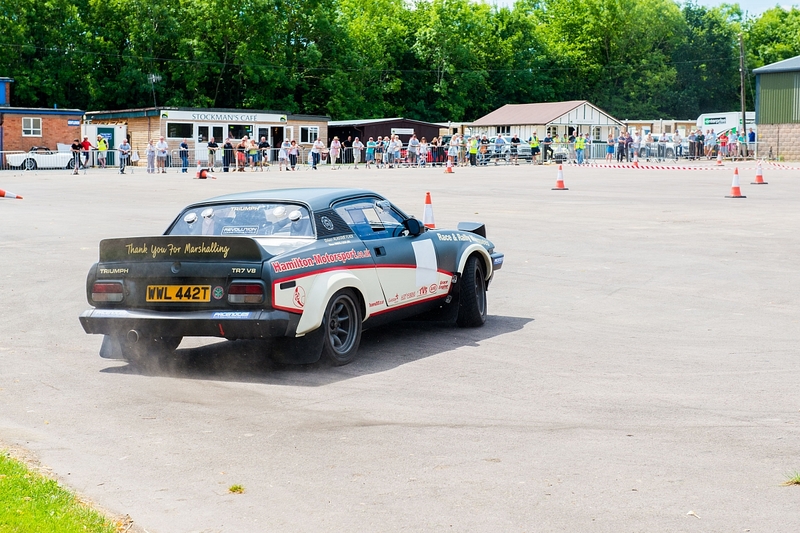 Dave Walker was ready, willing, but not quite able to get his rare original TR7 Sprint on the track. 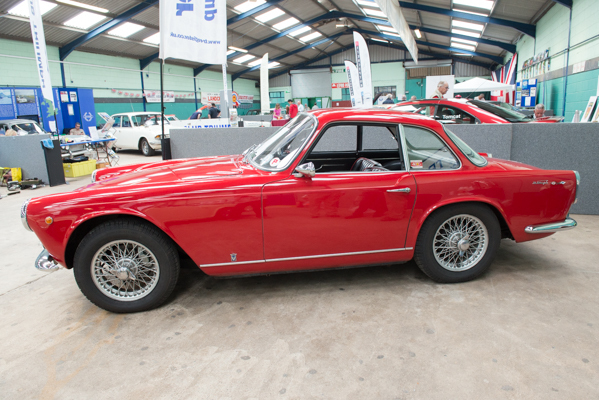 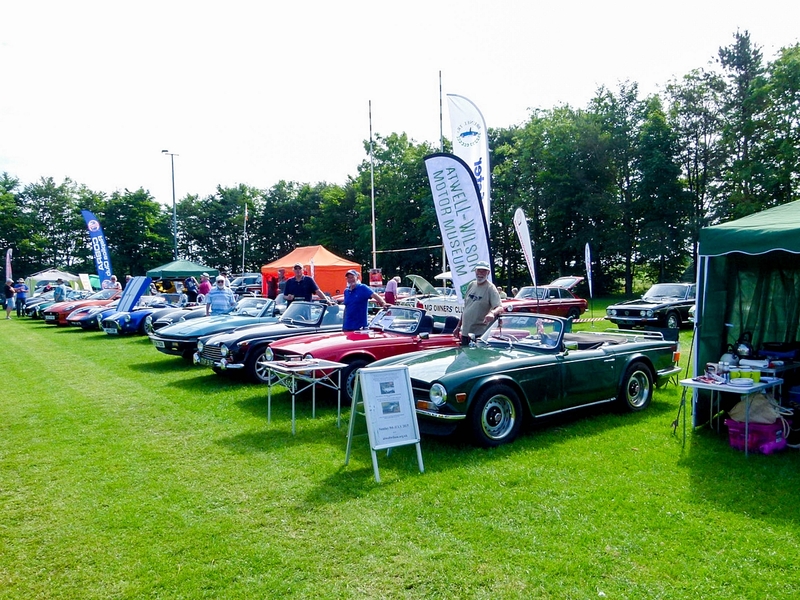 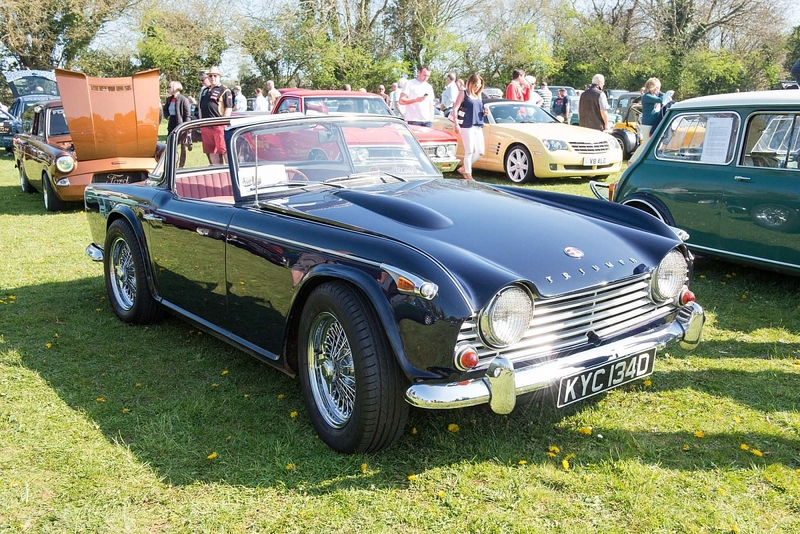 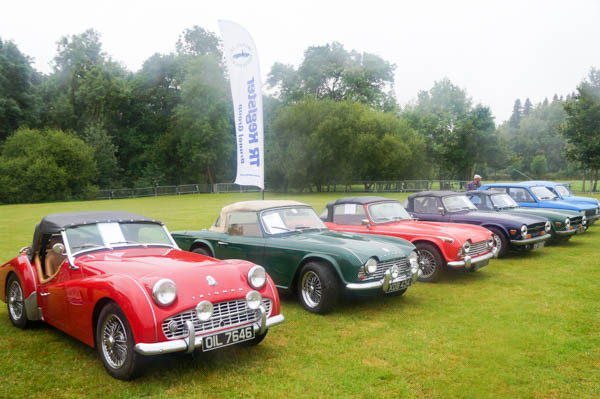 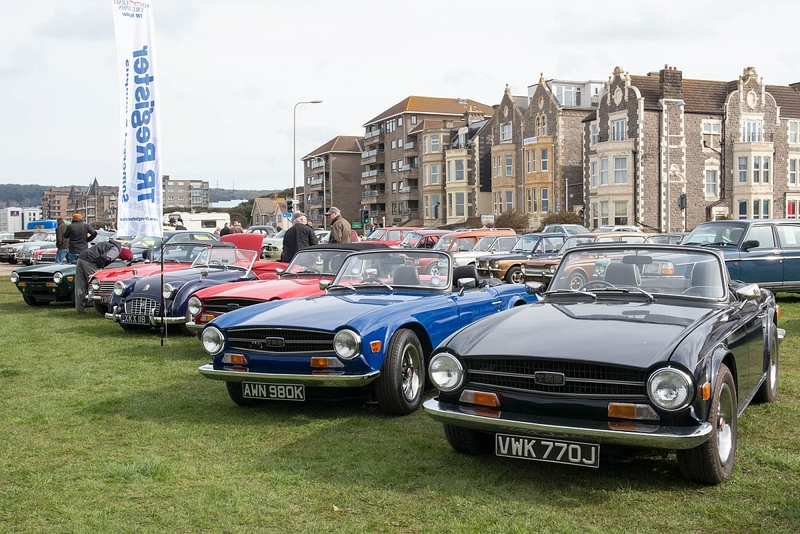 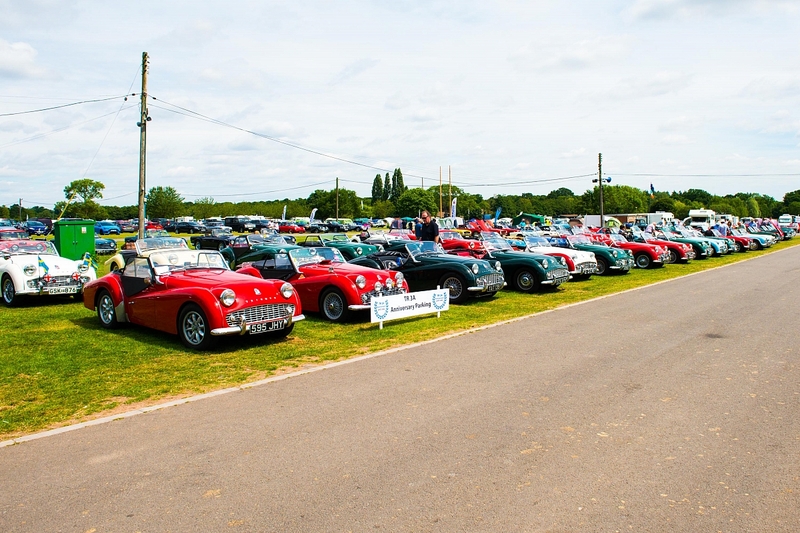 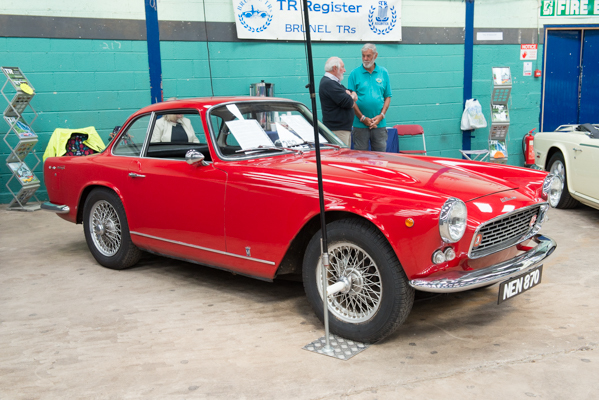 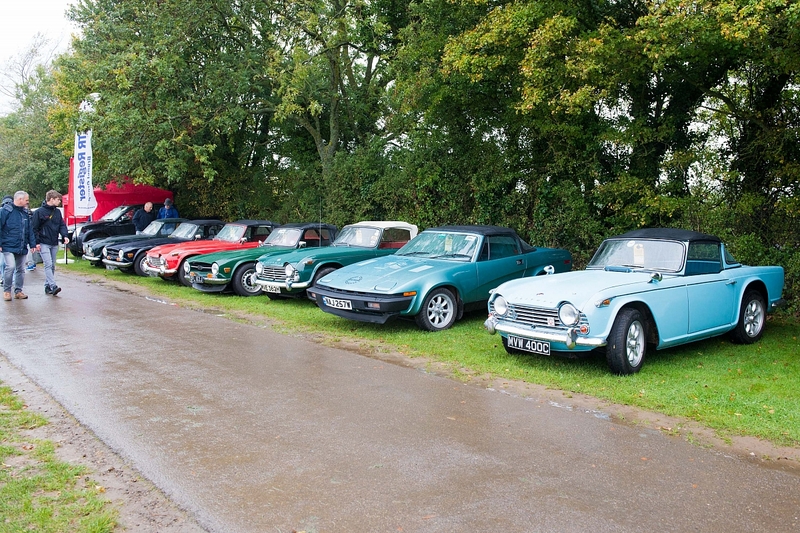 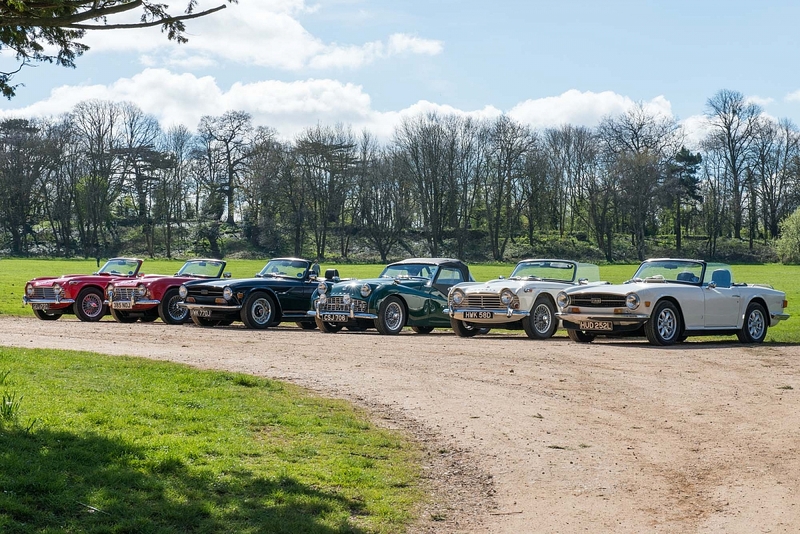 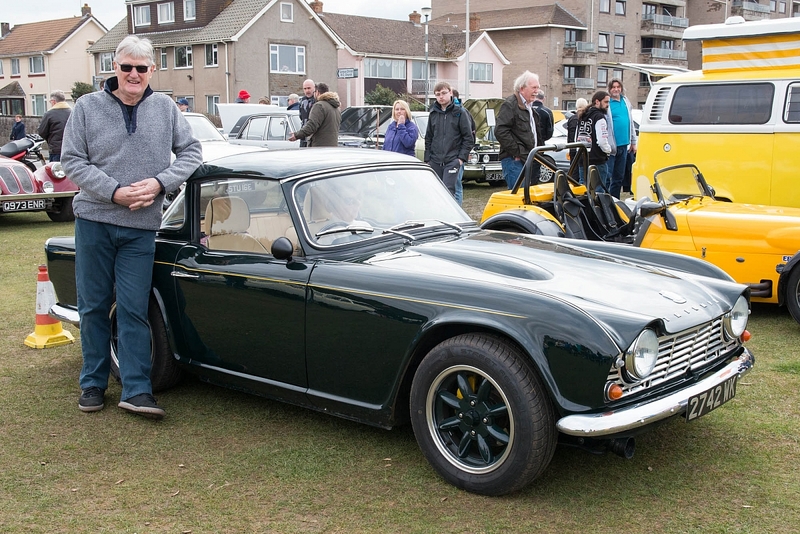 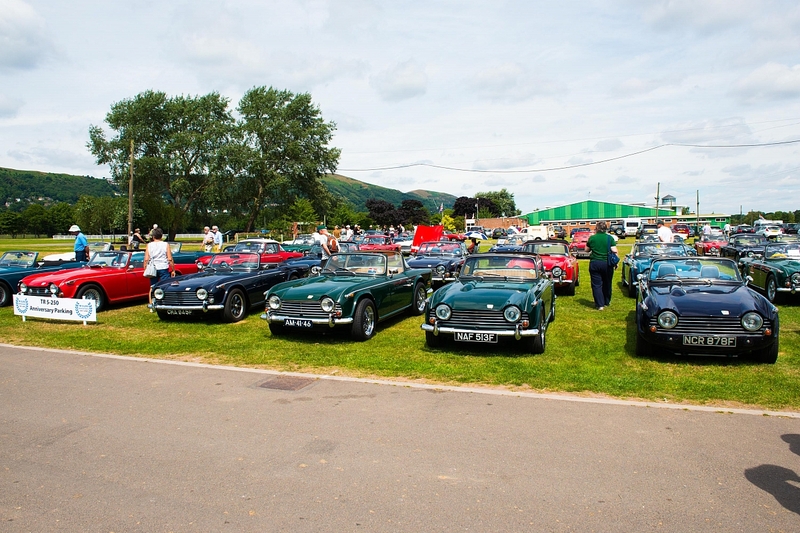 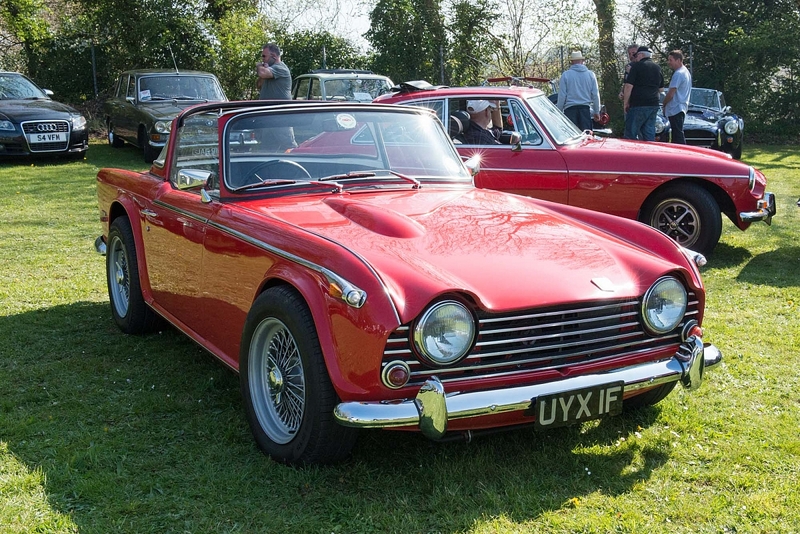 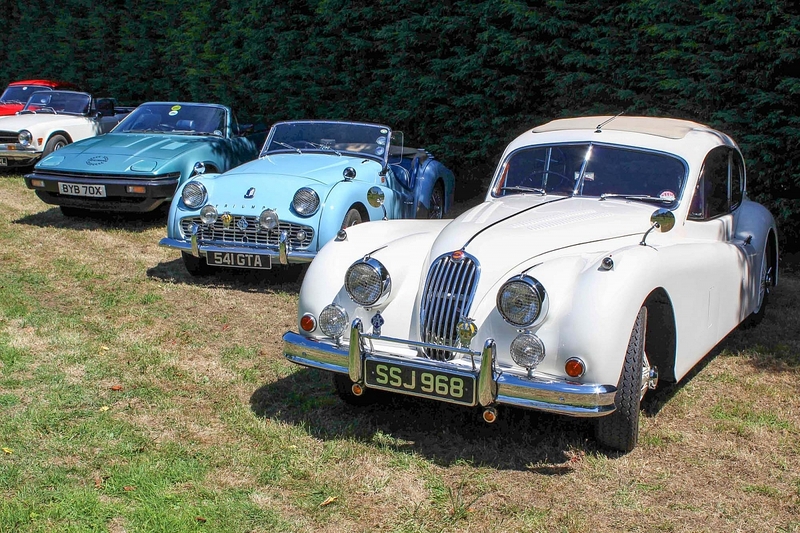 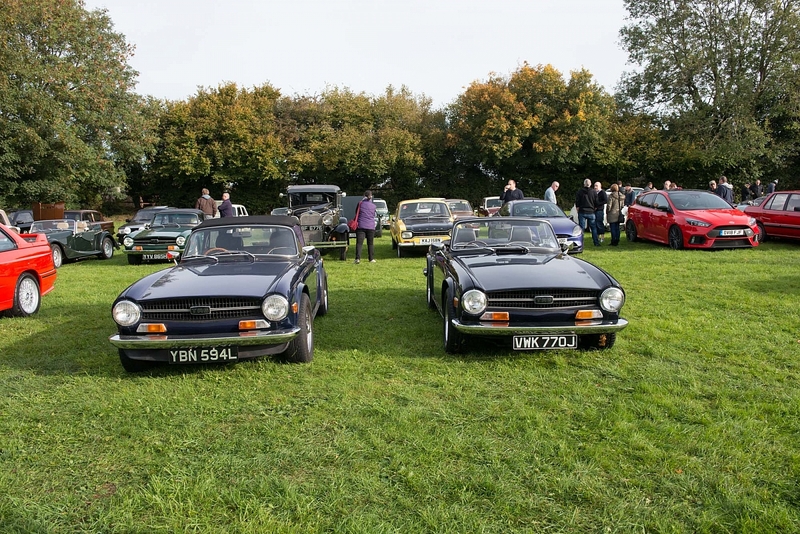 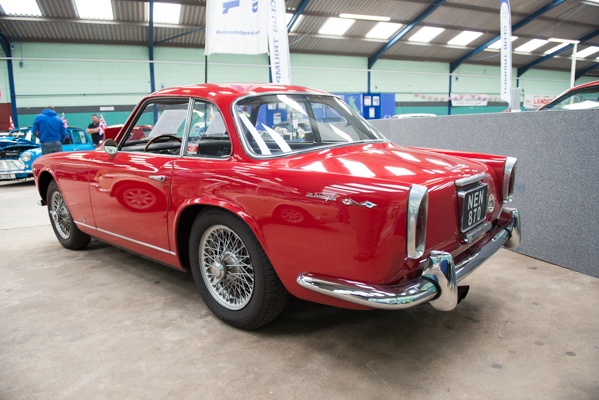 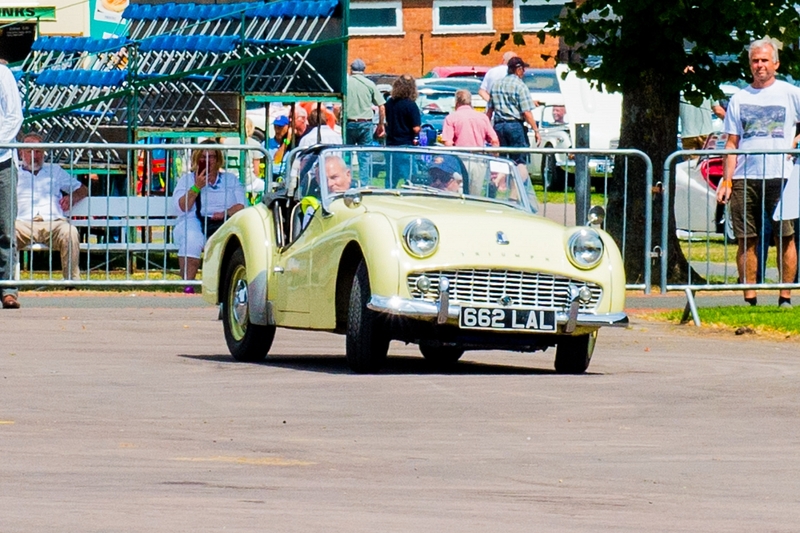 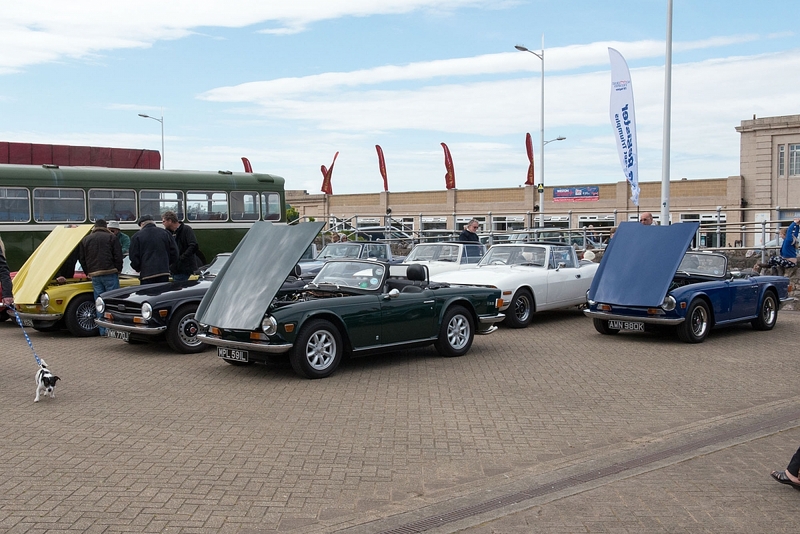 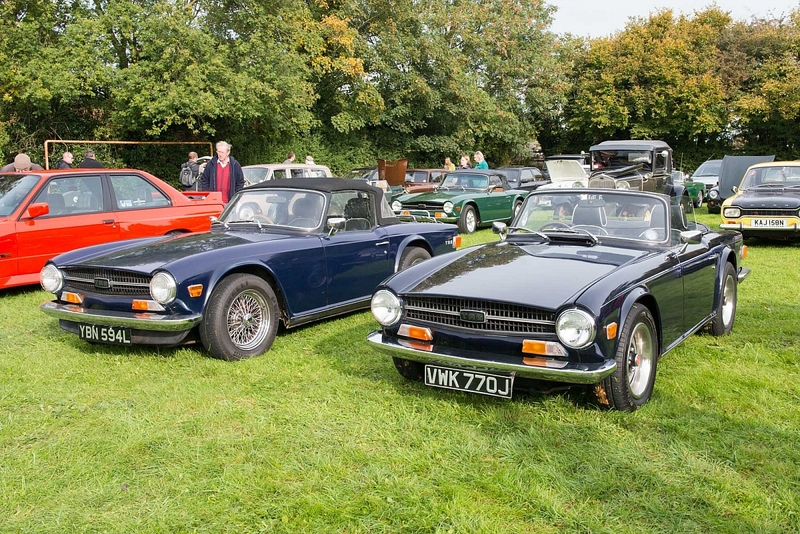 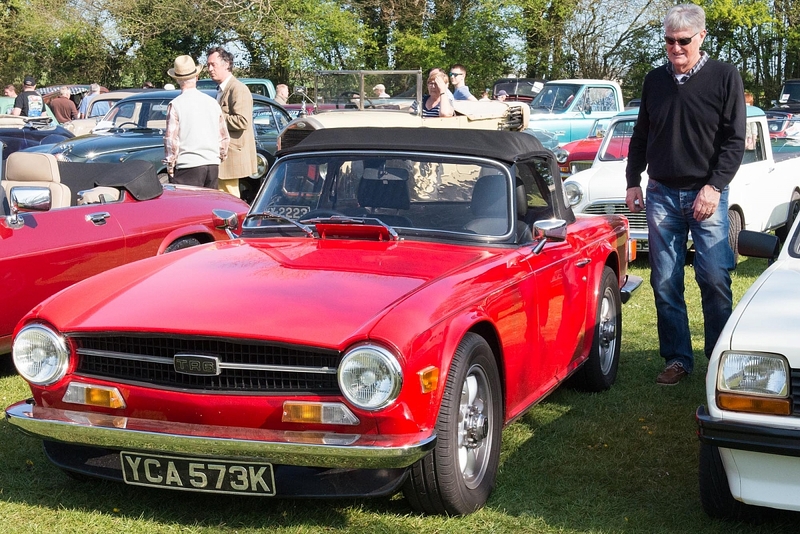 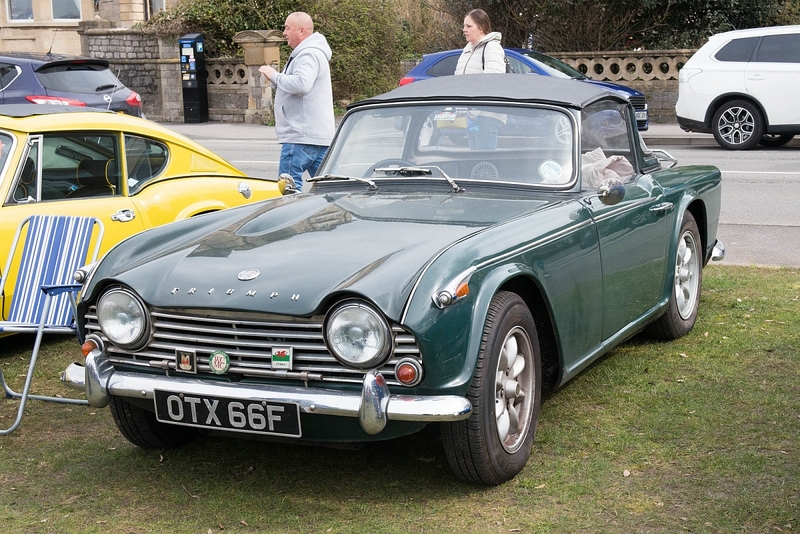 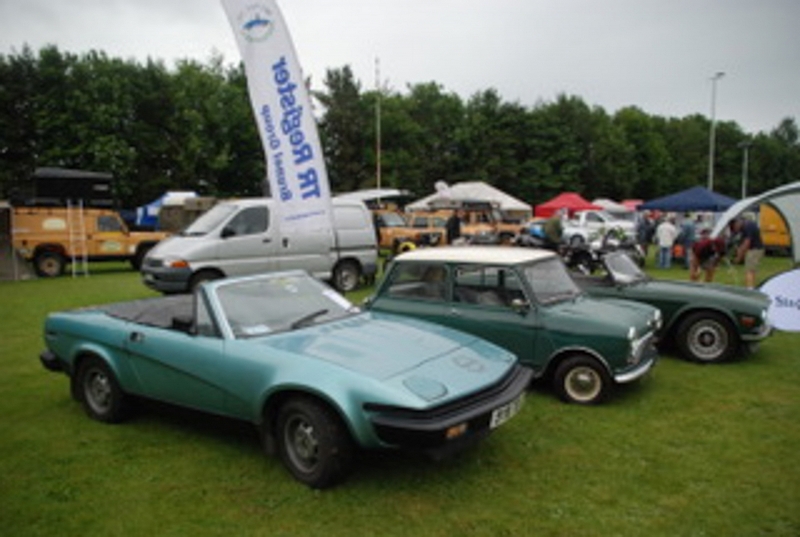 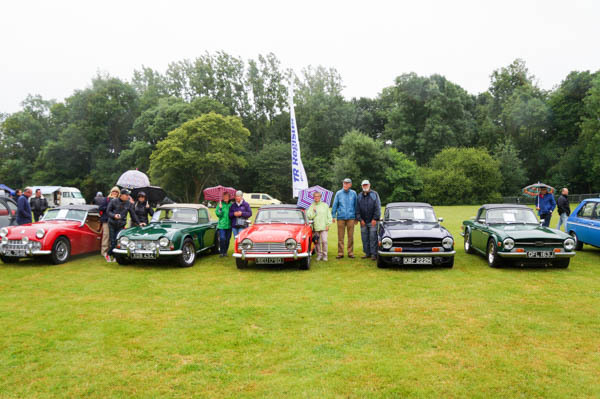 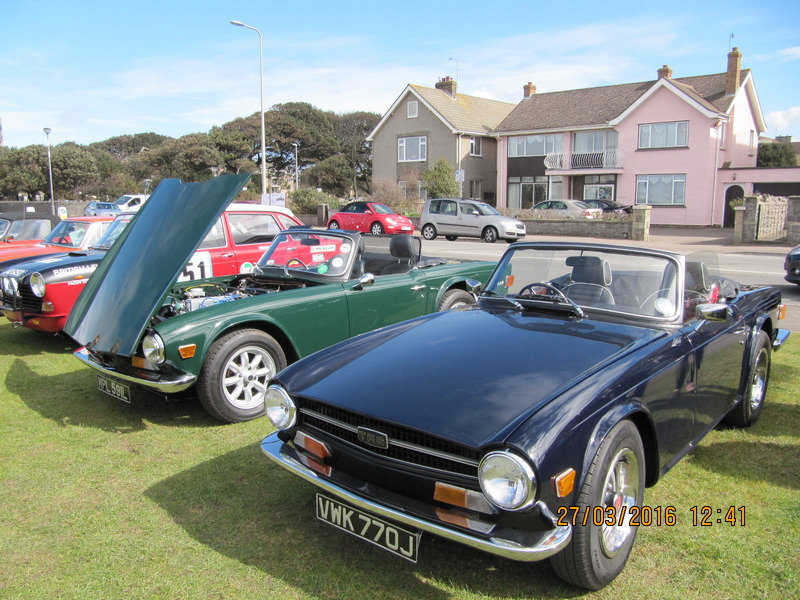 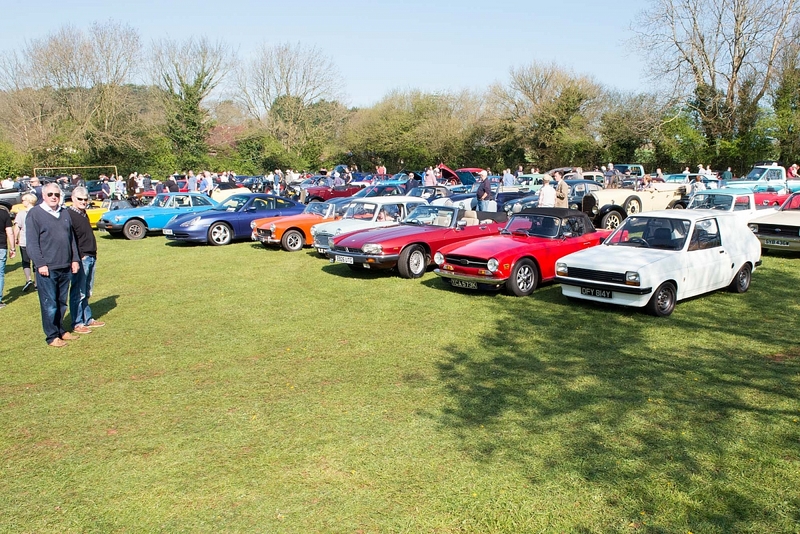 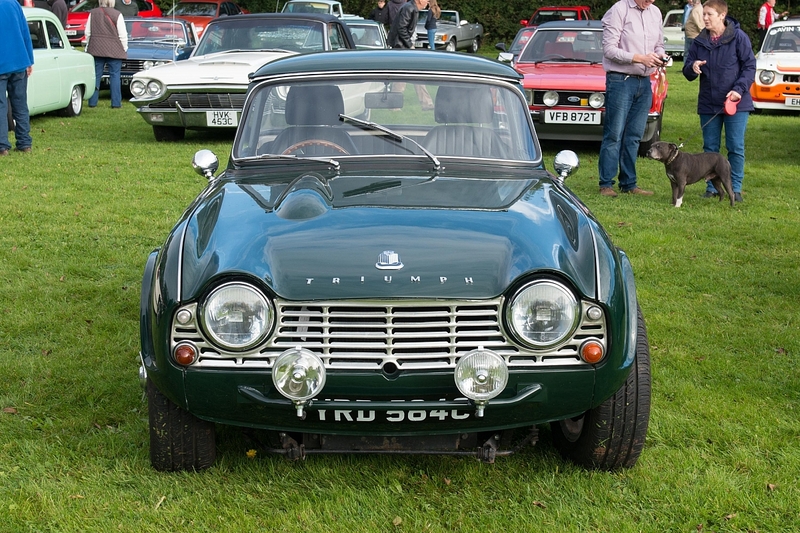 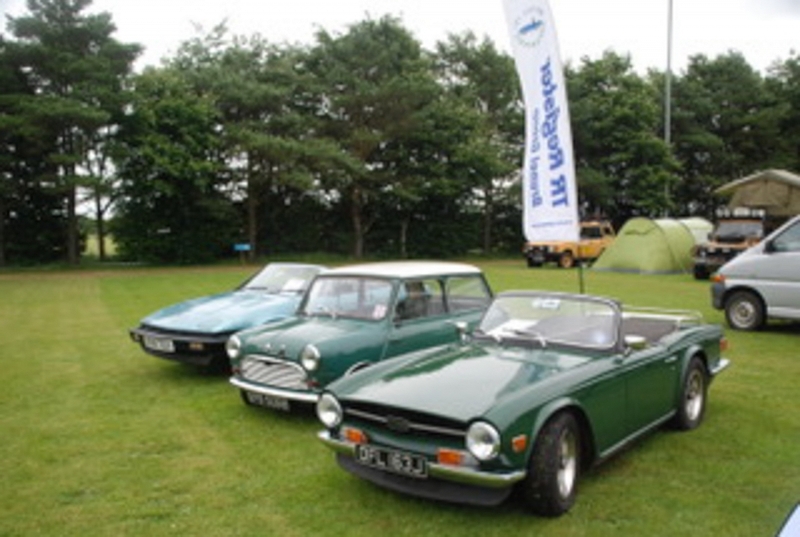 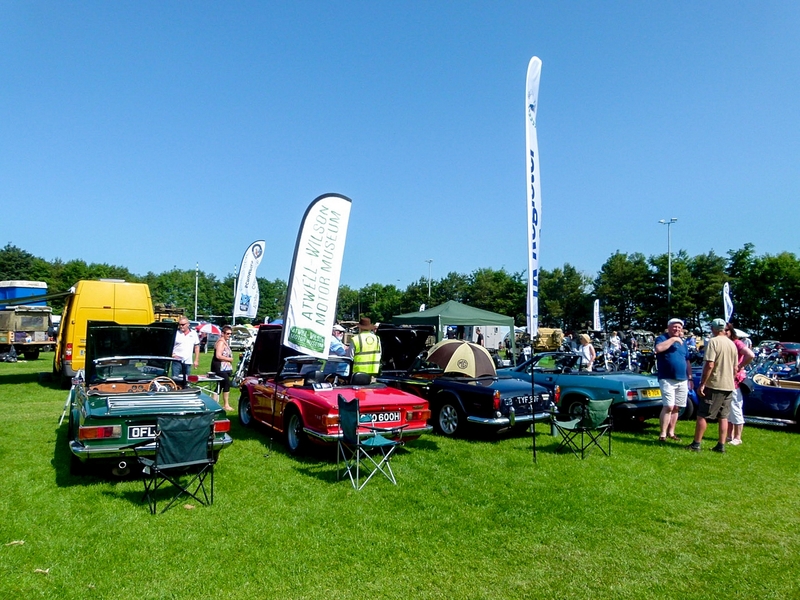 Brunel joined up with Somerset Triumphs again this year to put on a good show of the cars. 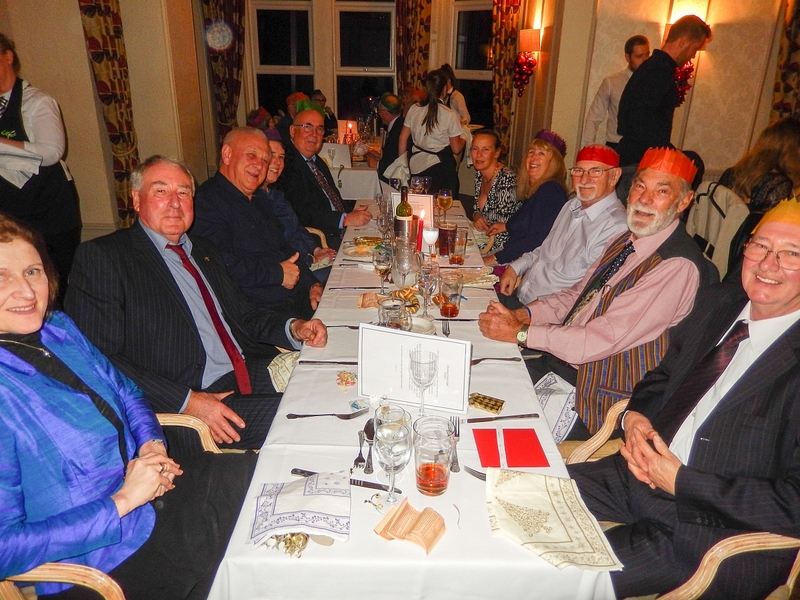 The last Redhill meeting of 2017. 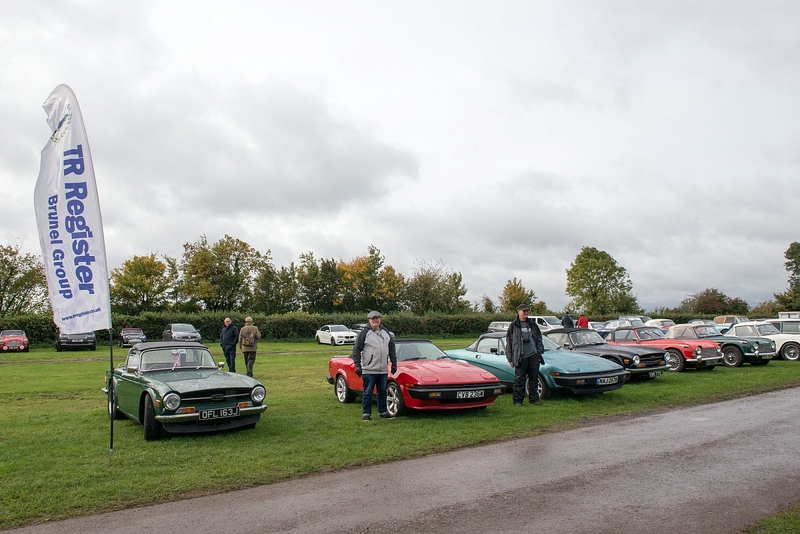 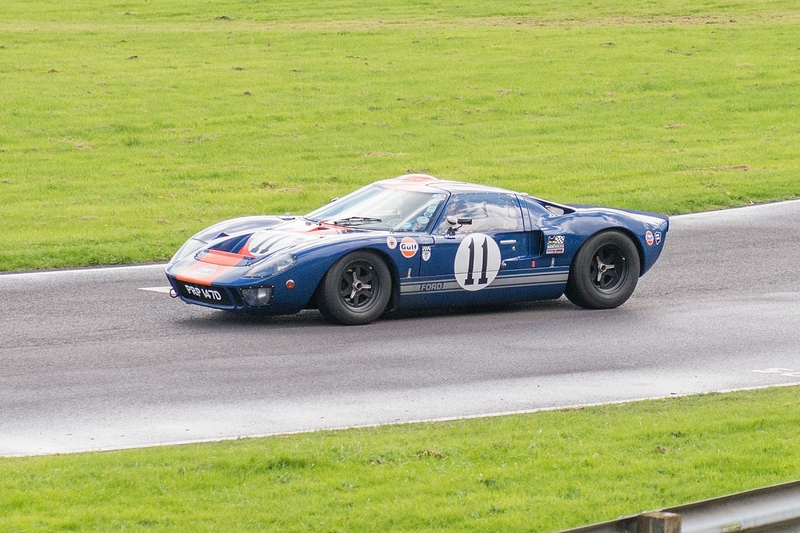 Photos from the 2017 Autumn Classic at Castle Combe. 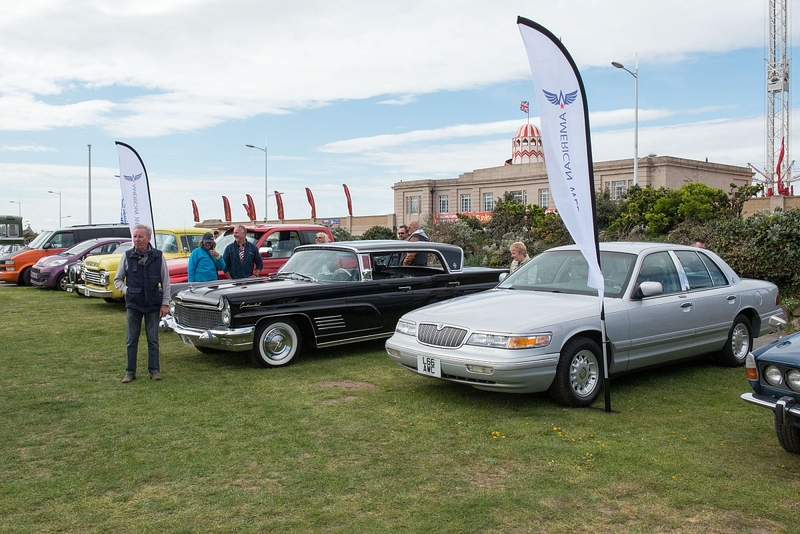 A small selection from the sunny 2017 IWE. 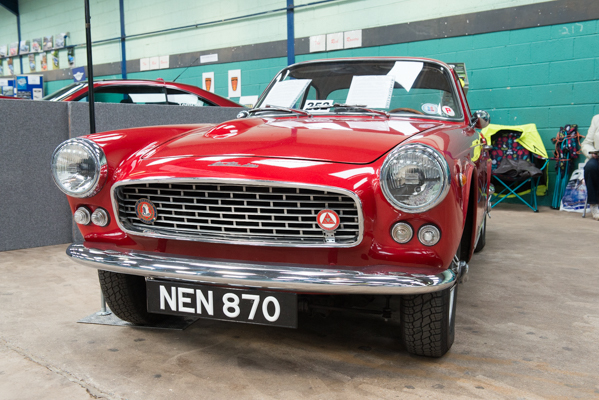 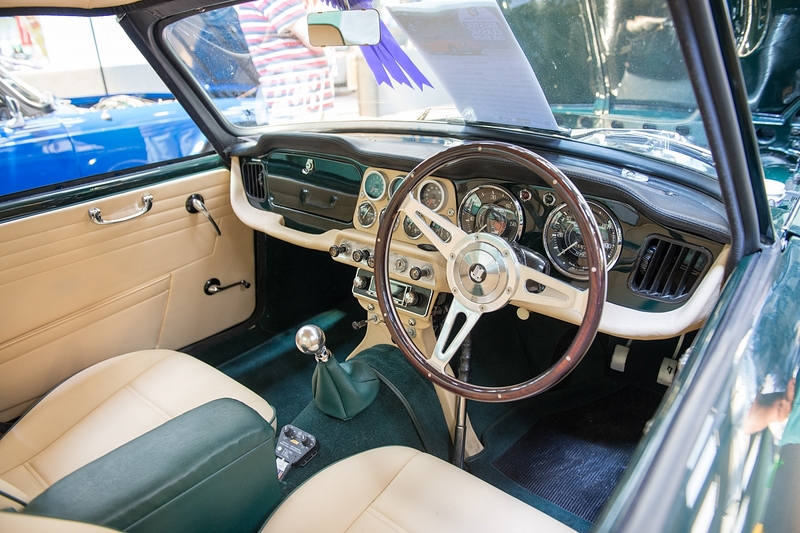 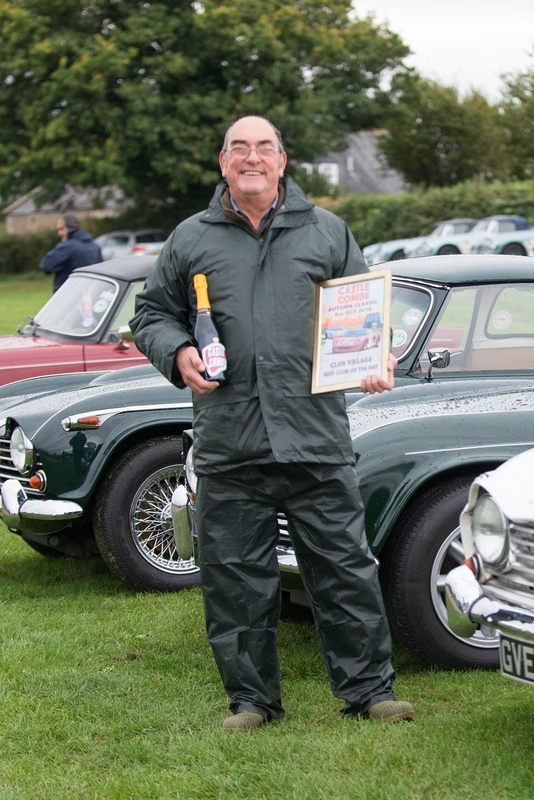 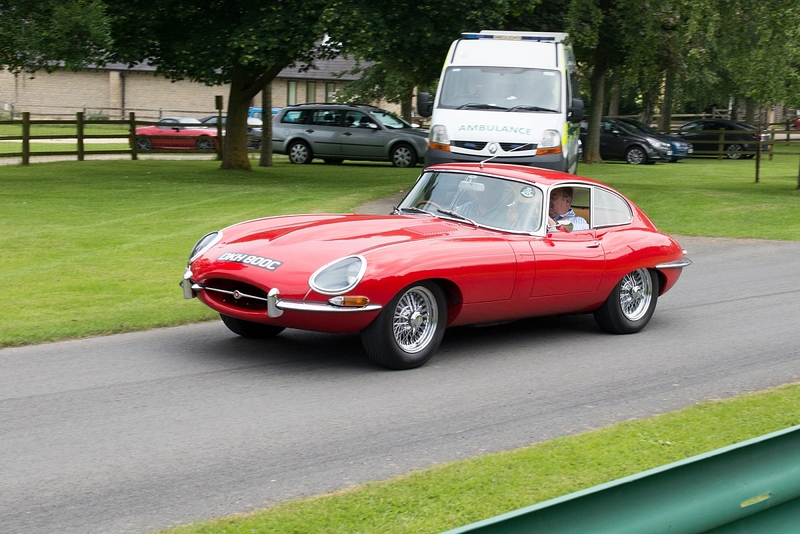 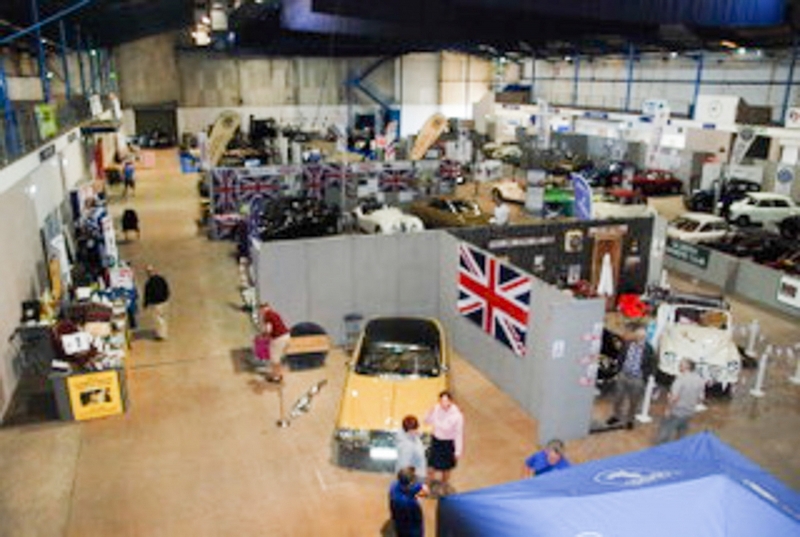 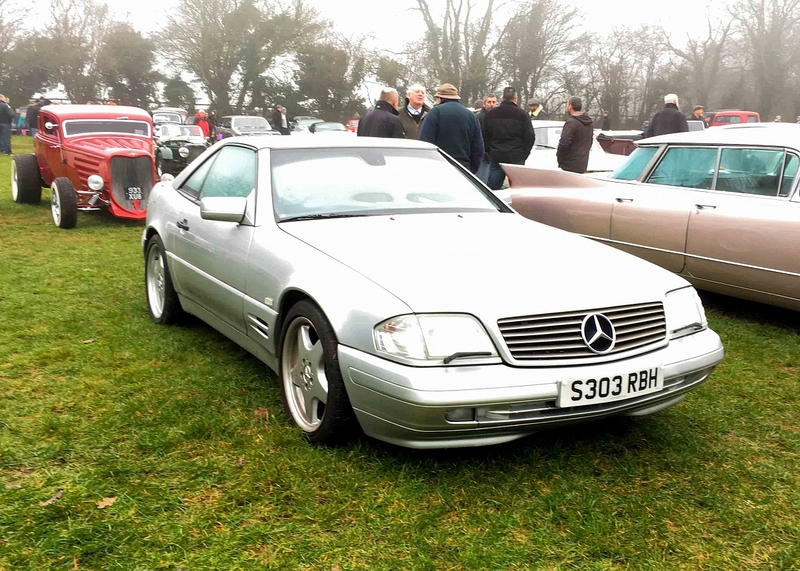 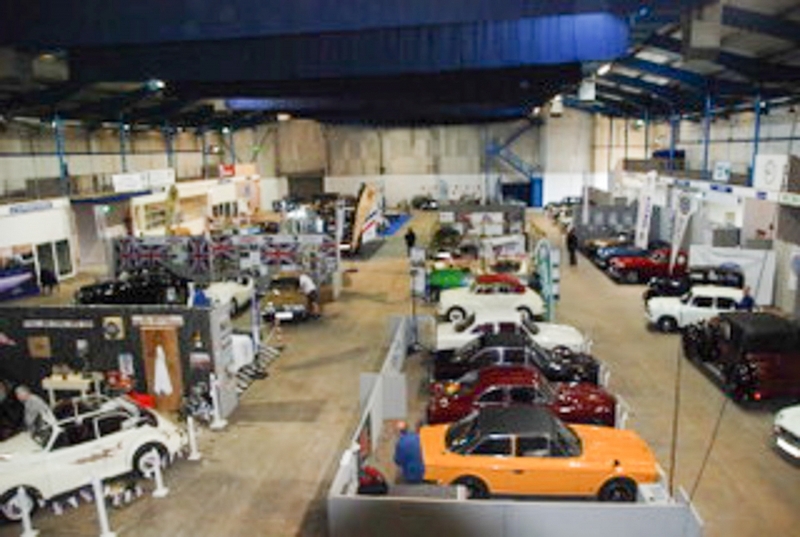 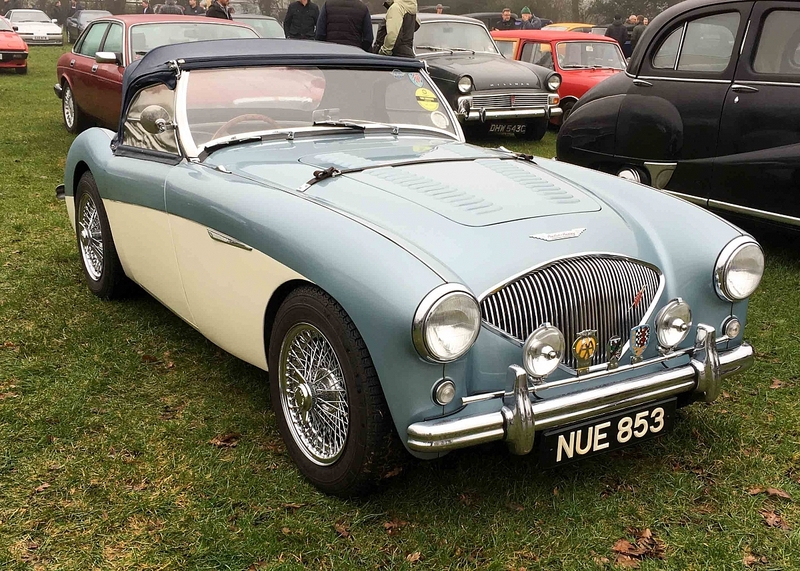 Two days of classic car heaven at Bath. 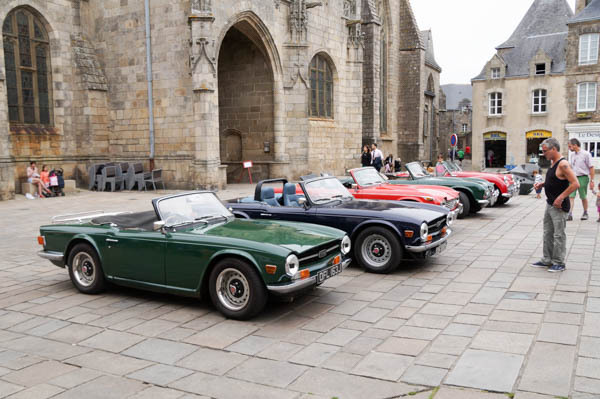 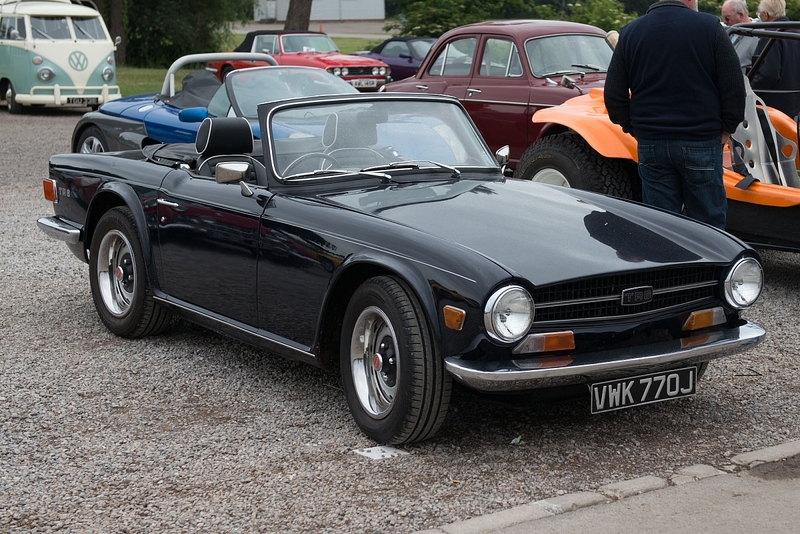 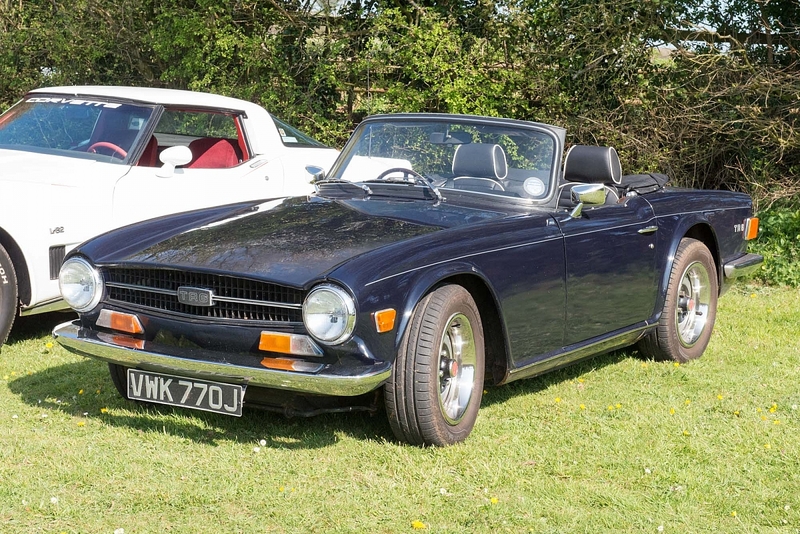 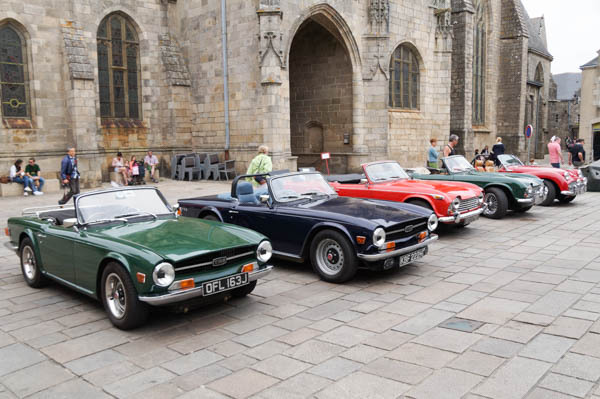 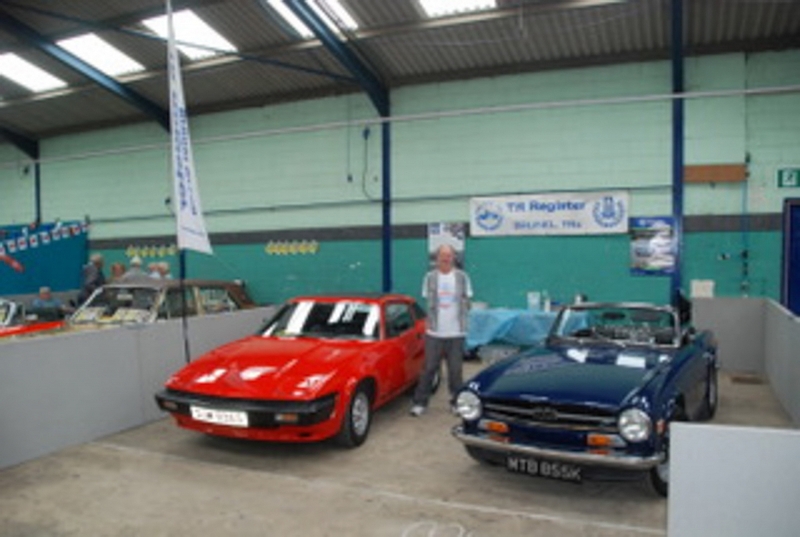 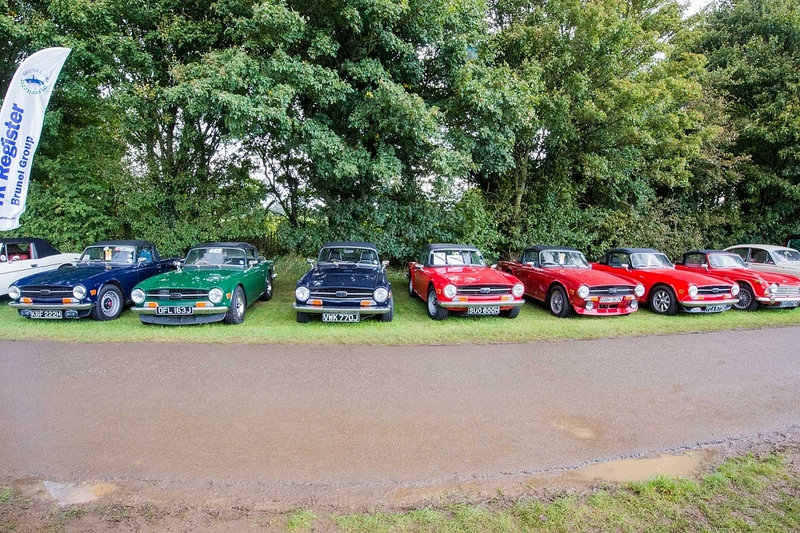 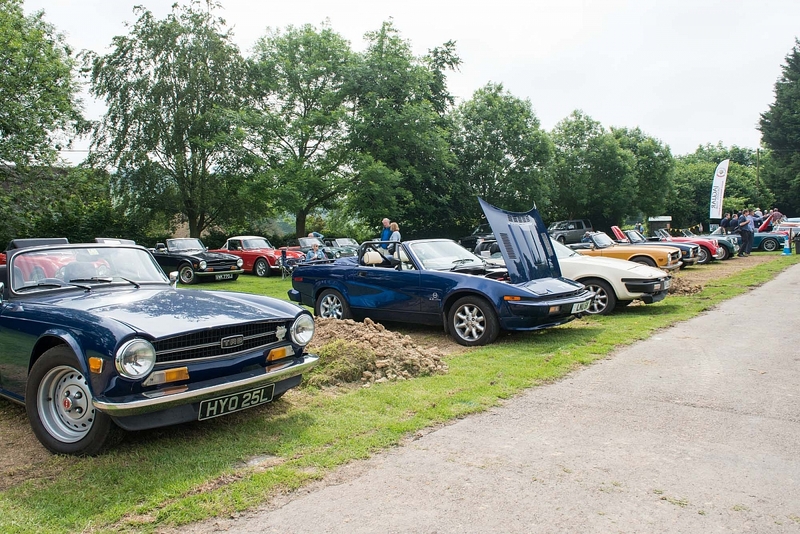 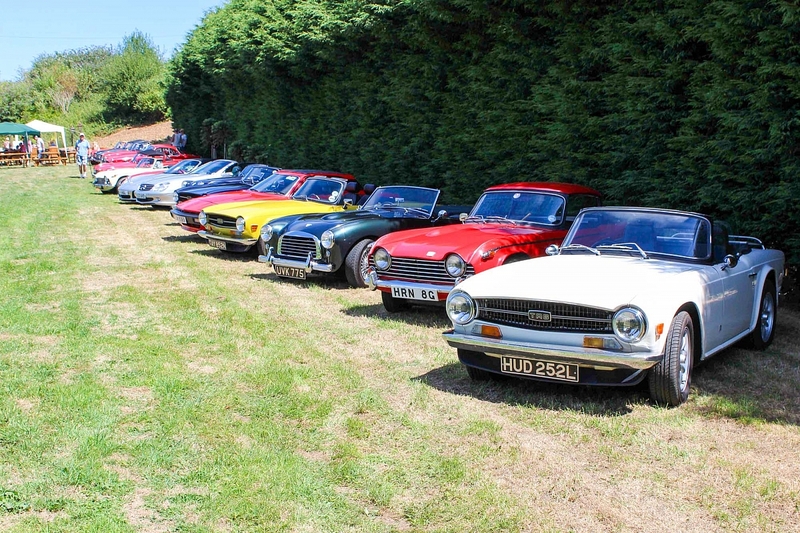 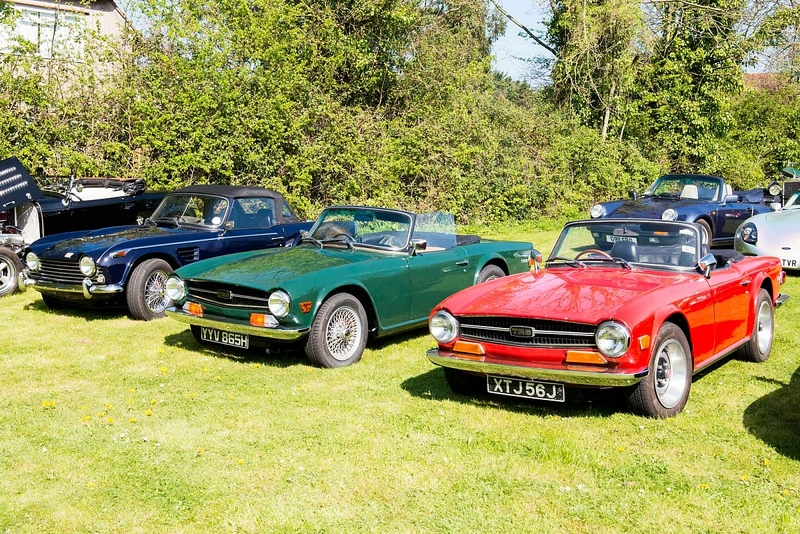 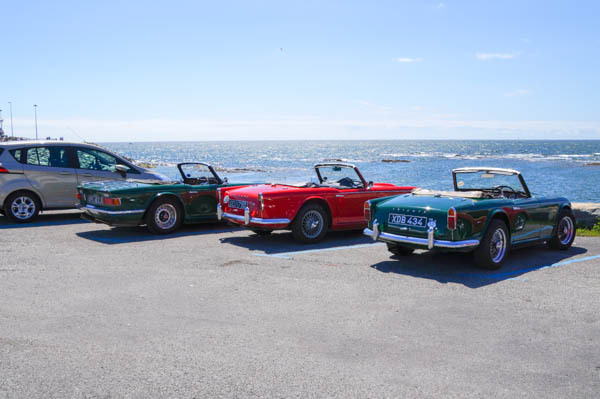 From the photos it looks like Roddy's TR6, Nick Rowe's TR6, Derek Robert's TR5, and Roger Strevens or Dave Walker's TR7. 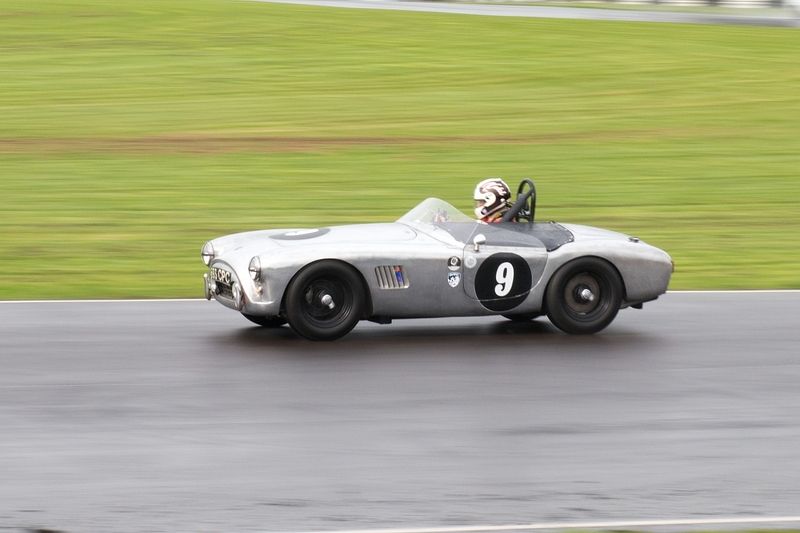 Photo credits to Nick Rowe. 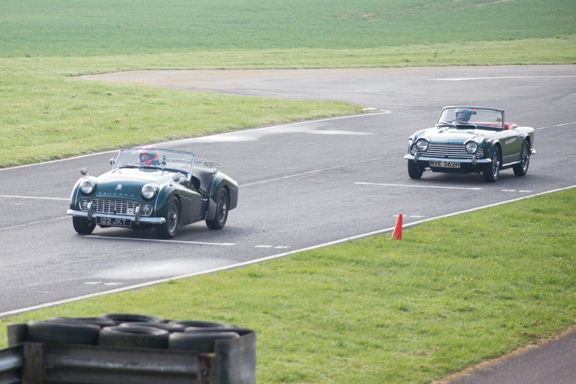 Tim and Dave out on the track again. 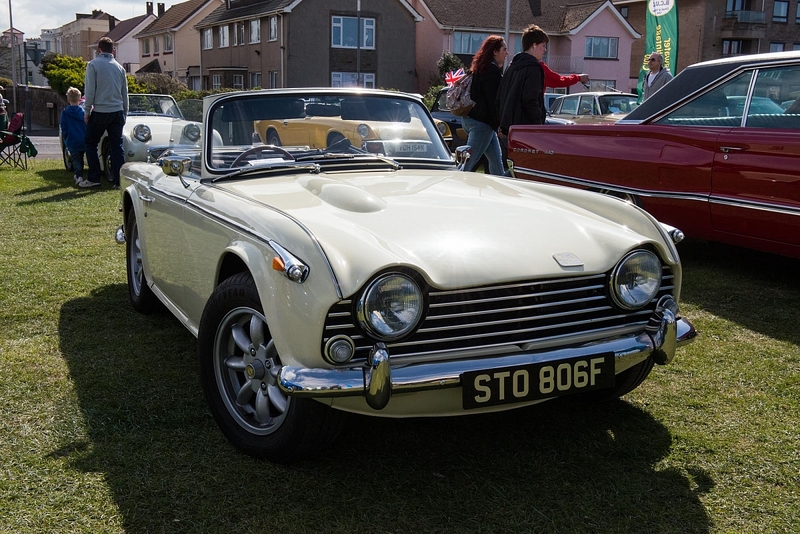 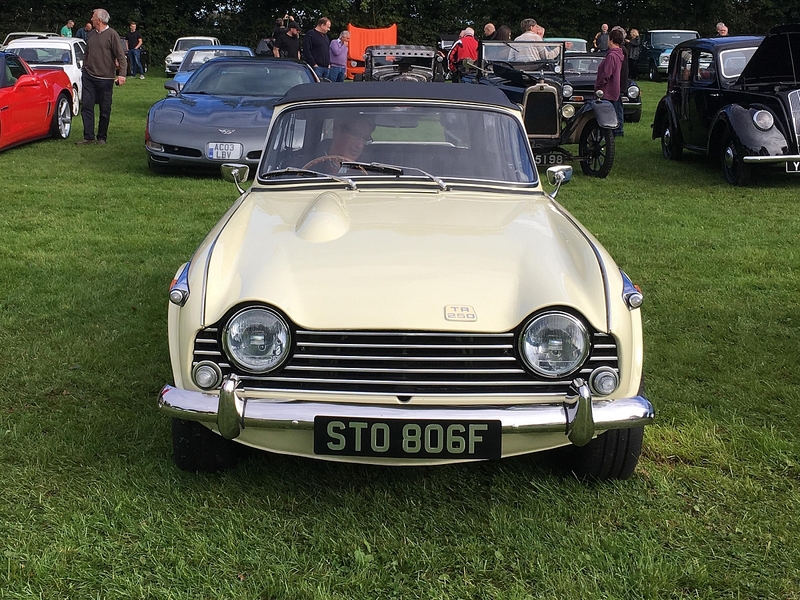 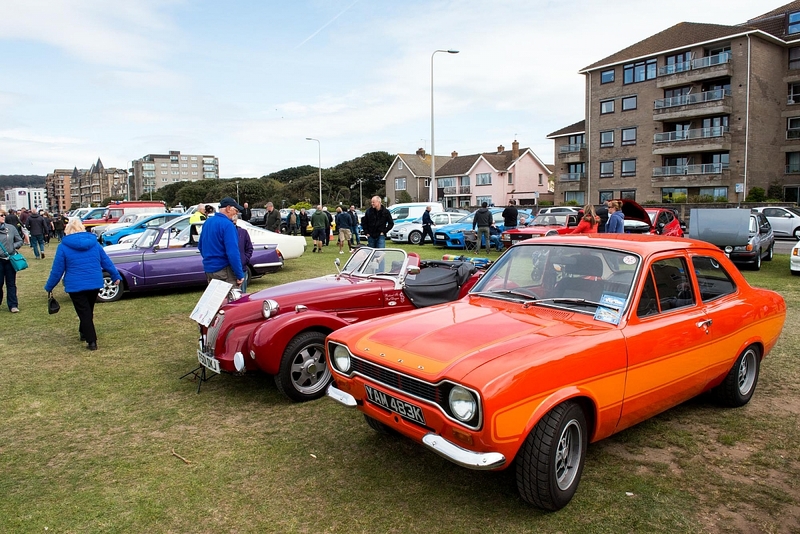 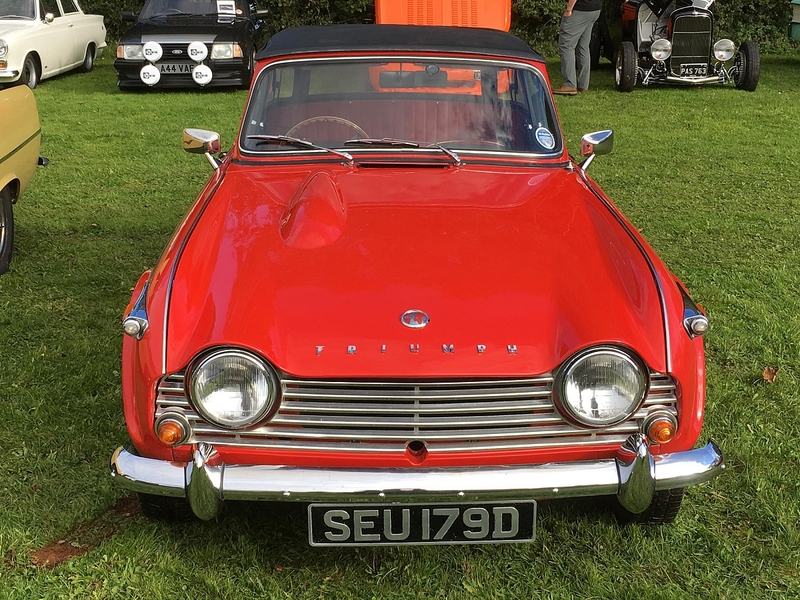 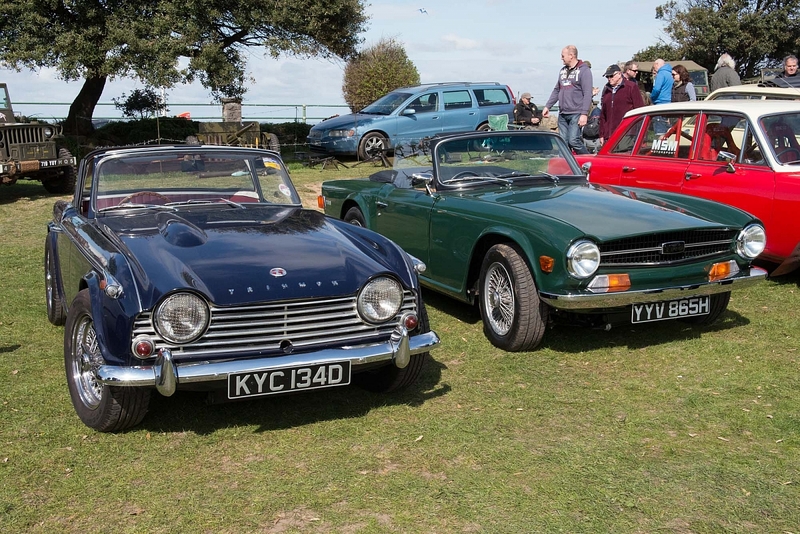 Another bright sunny day on Weston Sea Front, and the largest show of classic cars on the Beach Lawns I can remember, there were plenty of TRs, other Triumphs, other makes, and a few bikes including one of the earliest Triumph motorbikes from the 1920's. 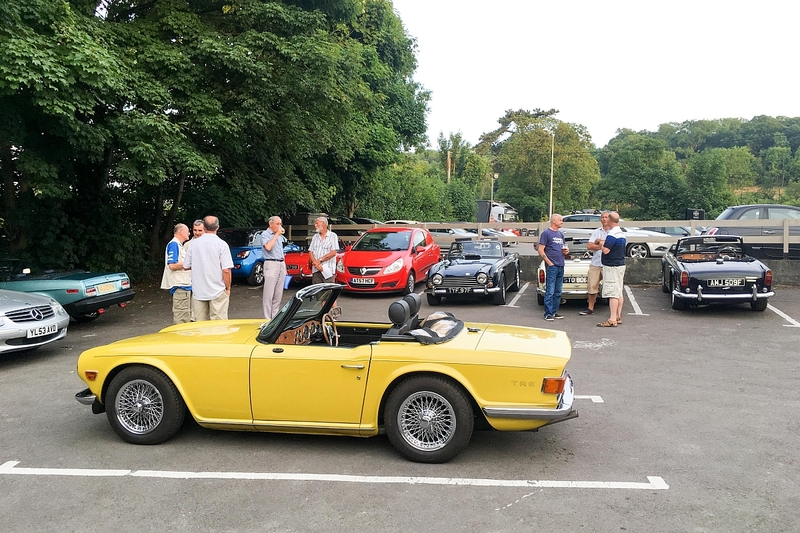 This was a joint event with Somerset Triumphs meeting up at Mark and Di Insley's for coffee and bacon rolls, then a convoy to the seafront where we parked up together. 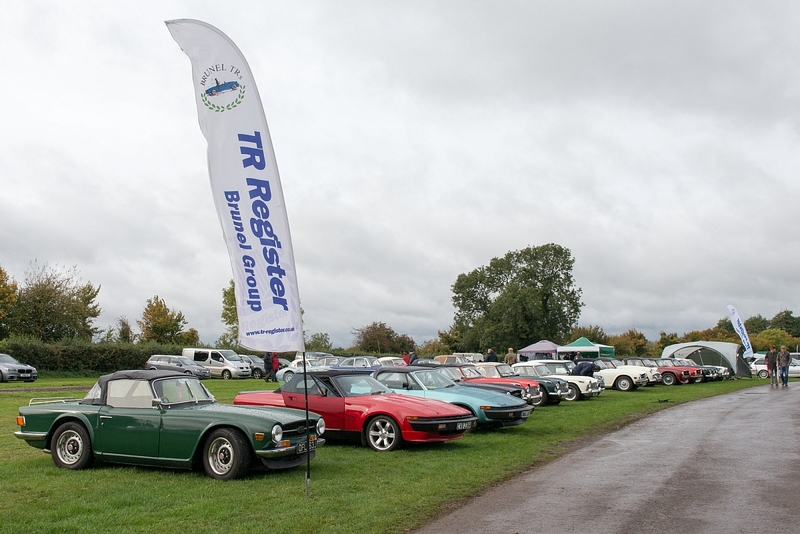 It was good to see a number of other TRs on the lawns as well, some from Brunel, some from wider afield. 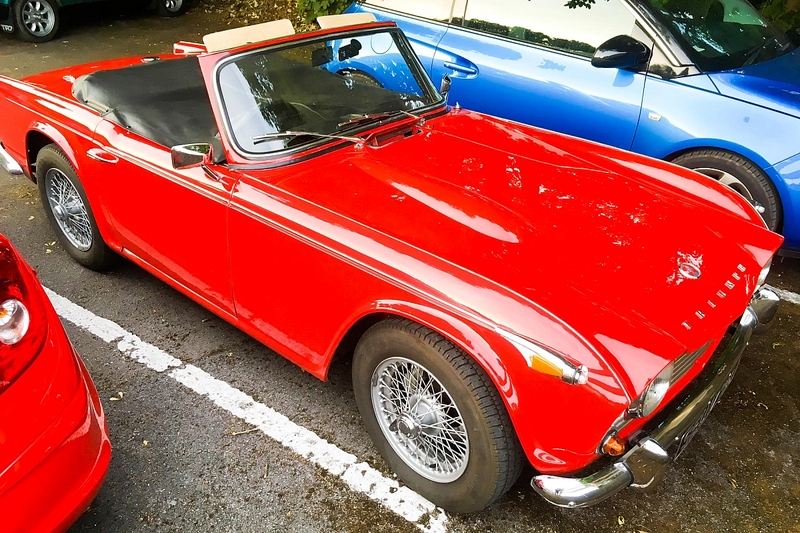 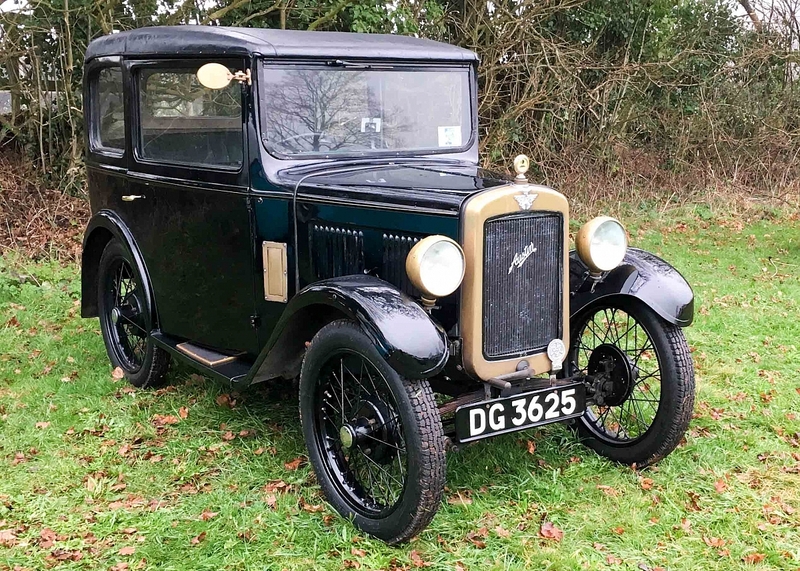 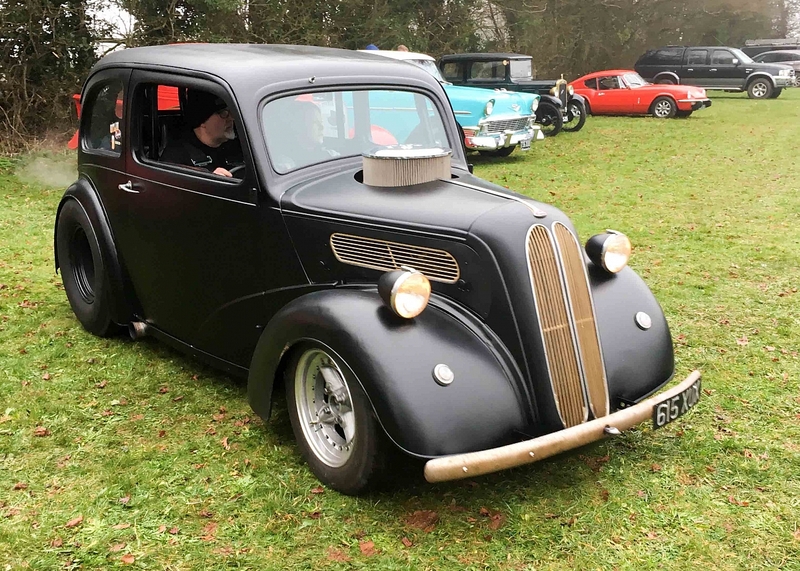 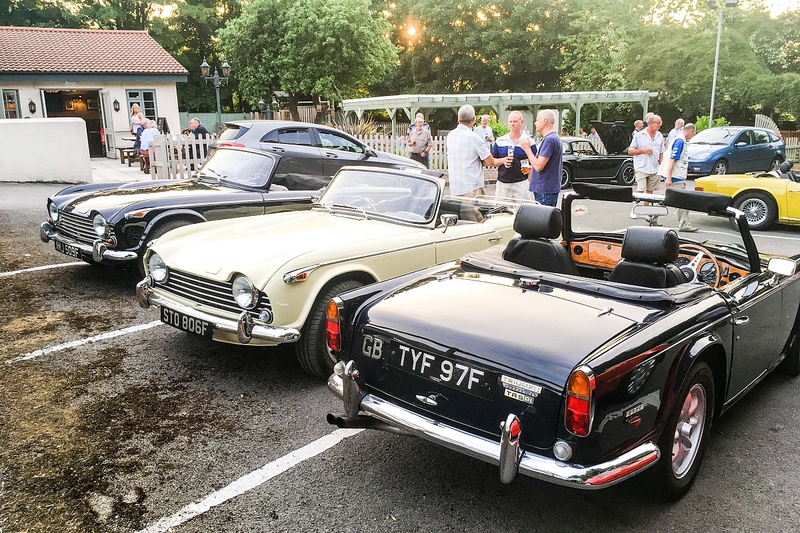 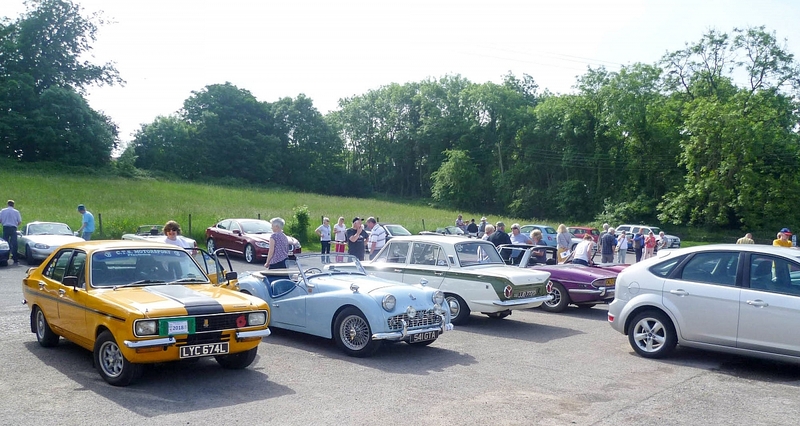 A really good morning at Redhill with the attraction of a good full English Breakfast, raising funds for charity, and a good variety of classic cars including a good number of TRs. 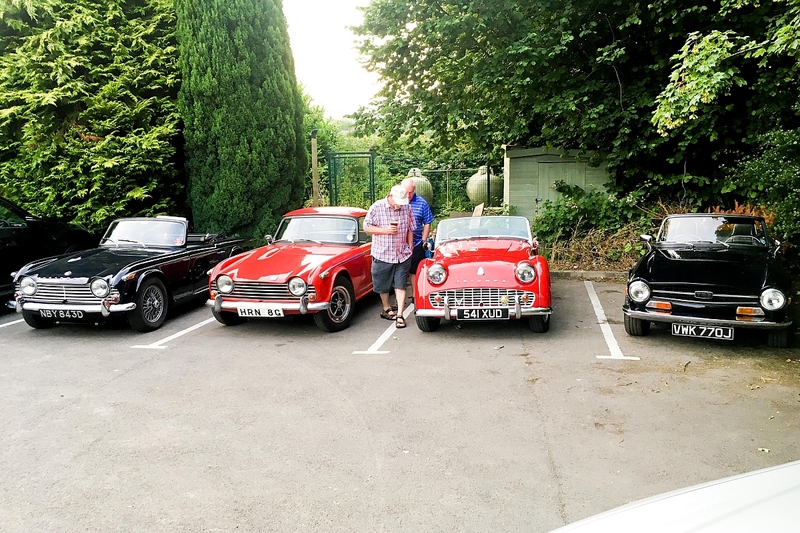 Includes a spot the difference quiz. 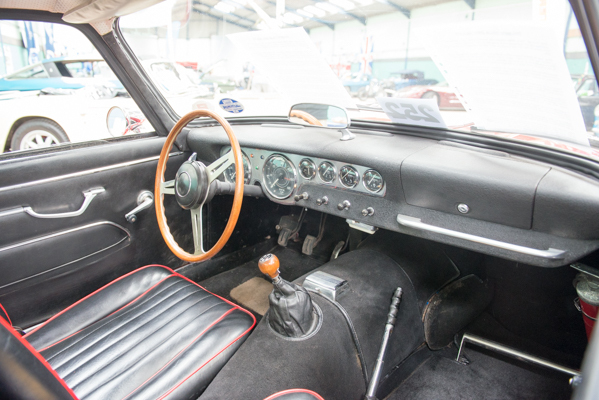 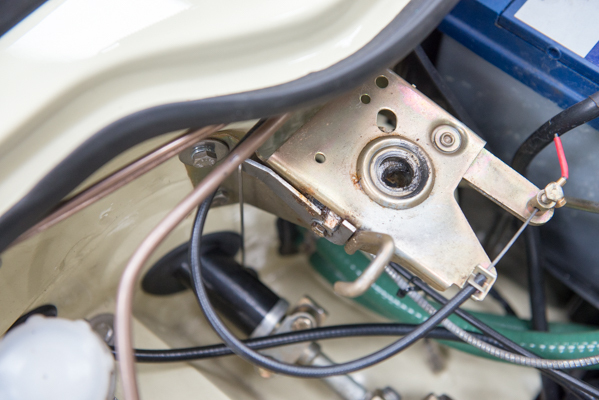 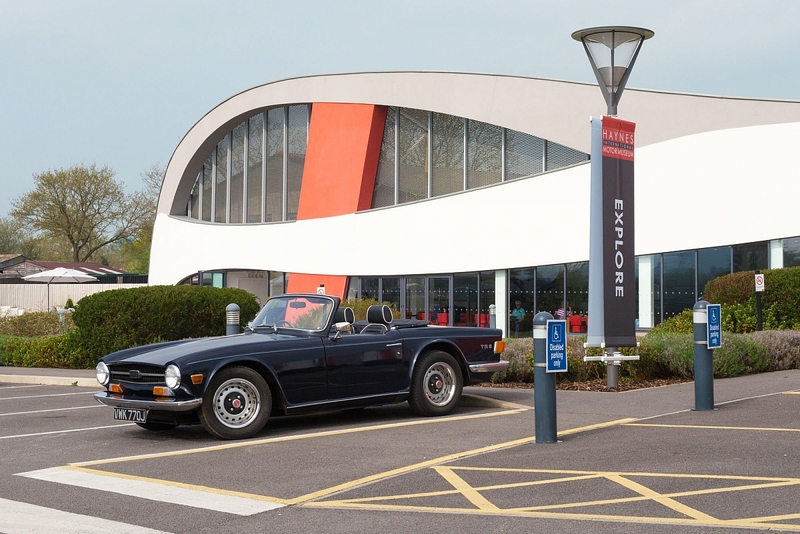 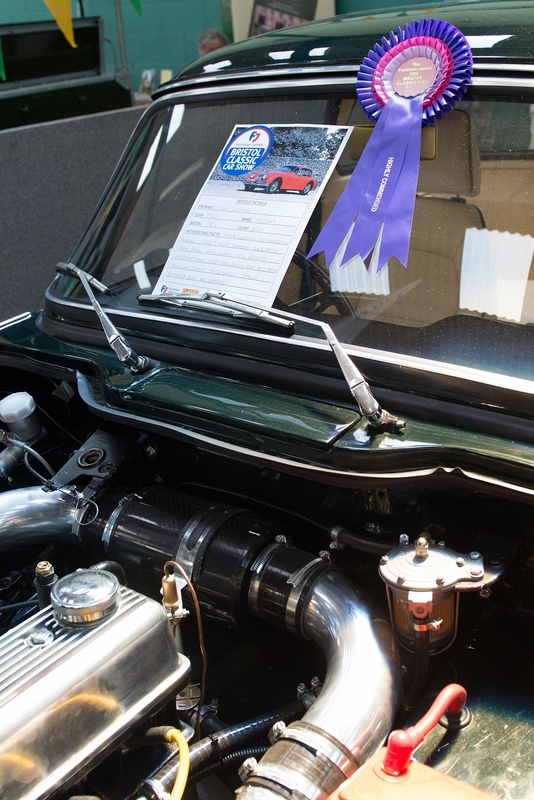 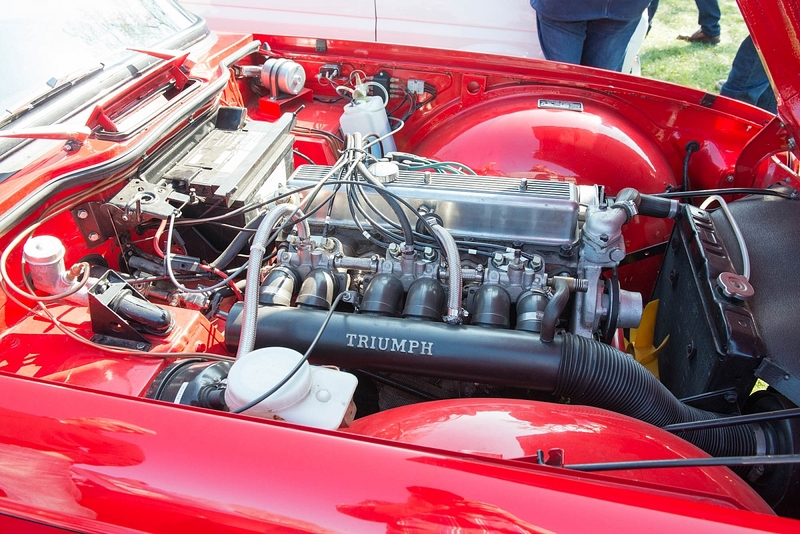 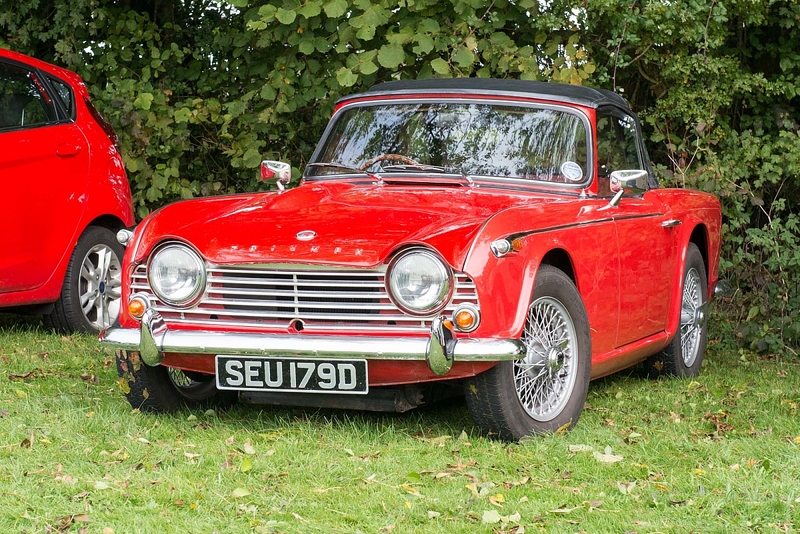 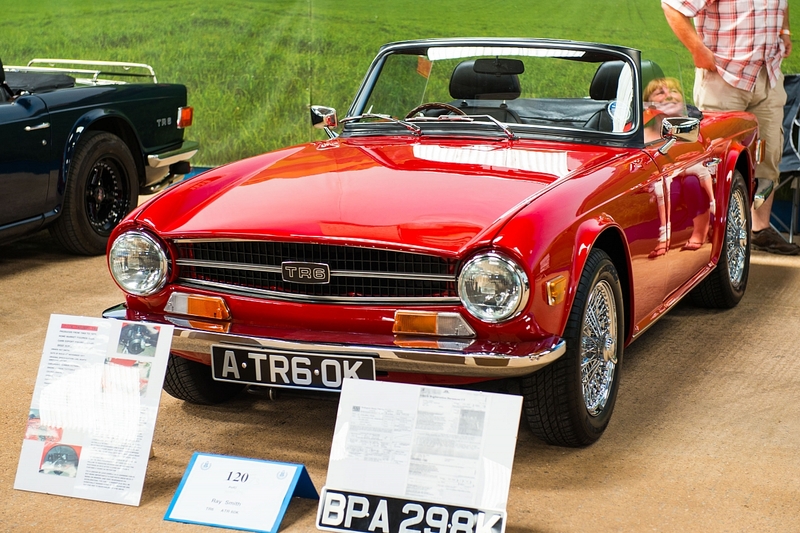 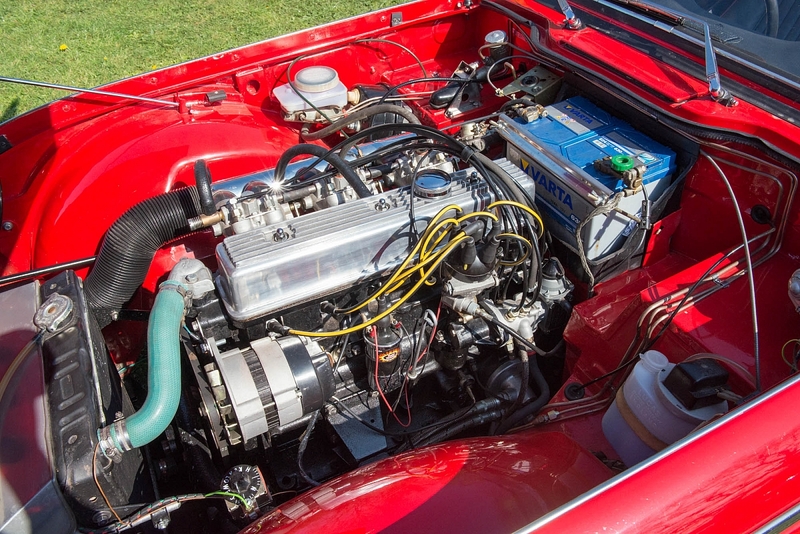 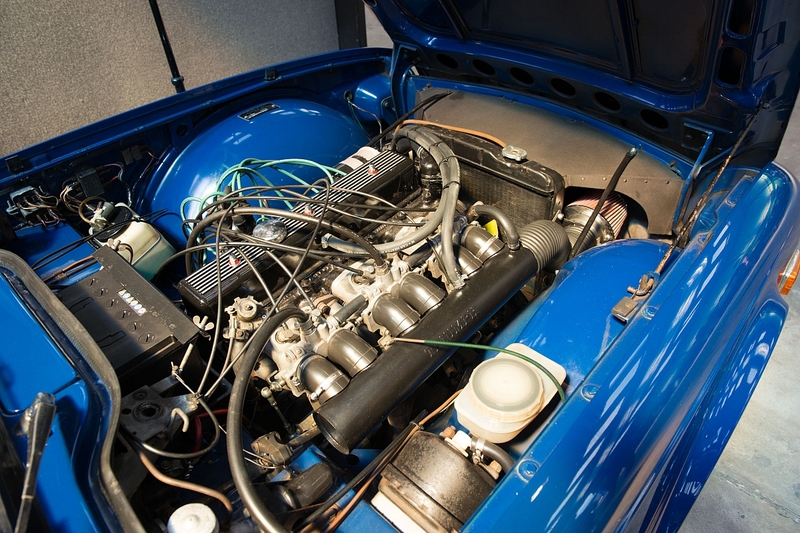 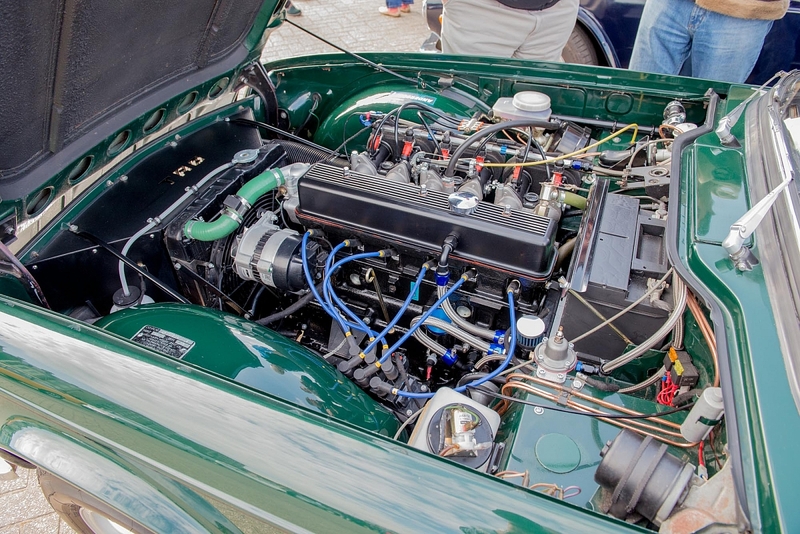 There are two red engine bays in the album, a TR5 and a TR6, both belonging to Brunel members. 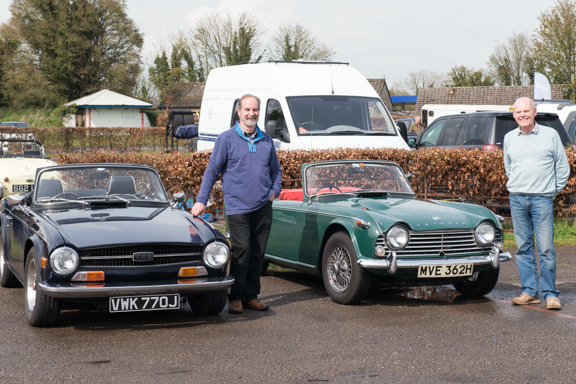 Spot the difference, and which is which? 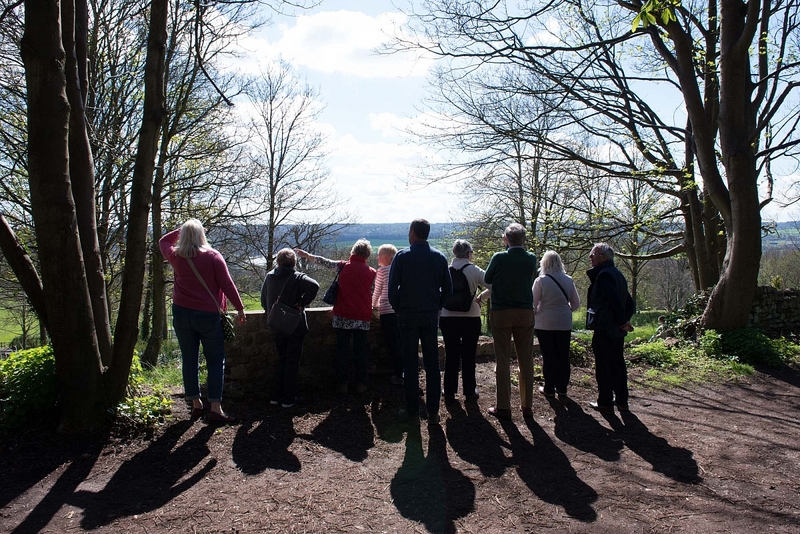 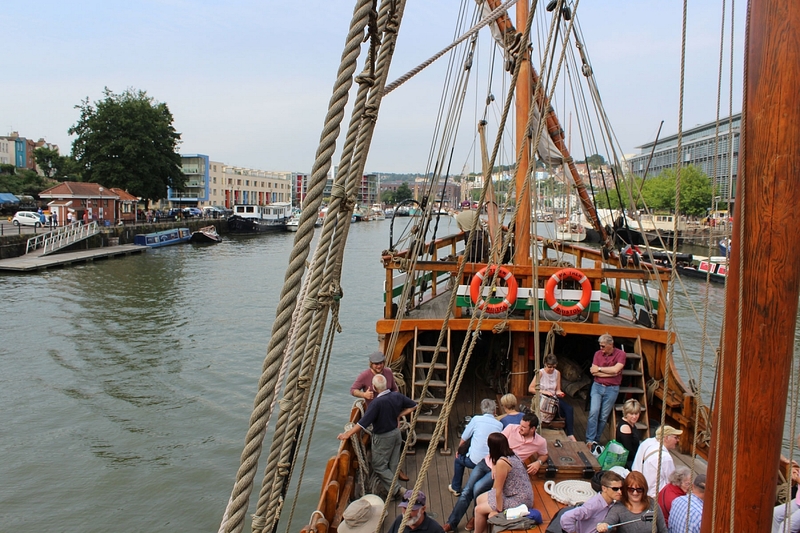 A lovely trip on a warm bright sunny day to one of Bristol's hidden gems. 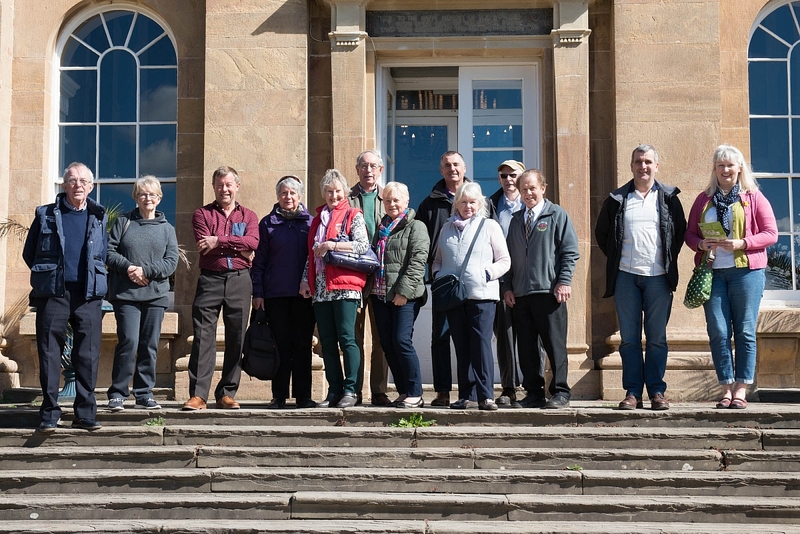 We met for coffee, had a guided tour of the house, took a walk around the estate, and finished up with lunch in the bistro. 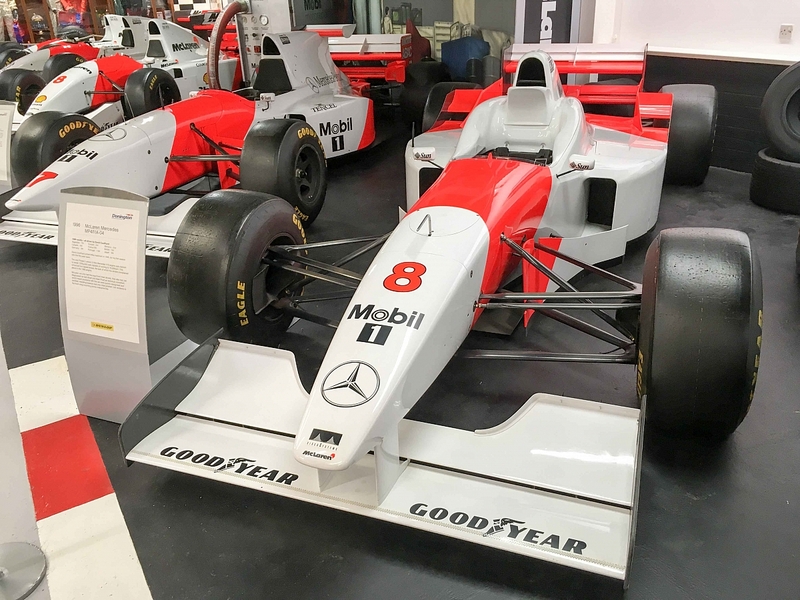 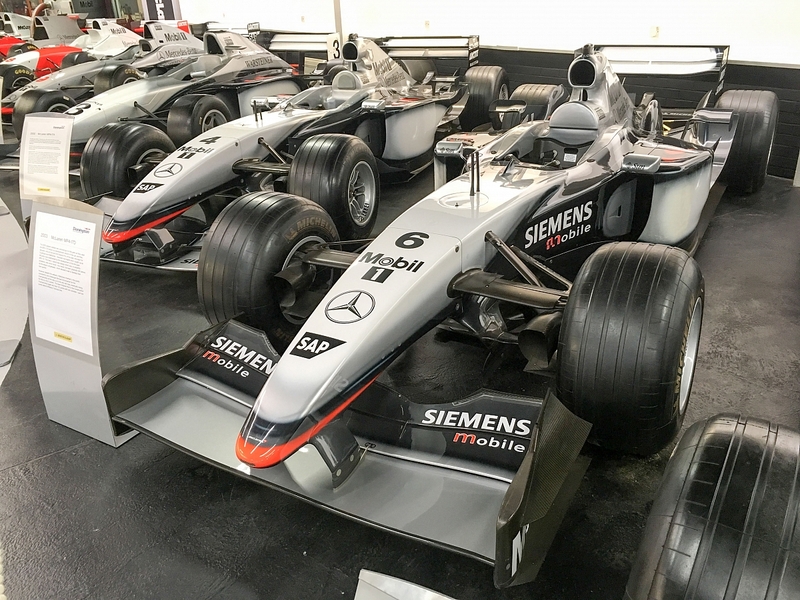 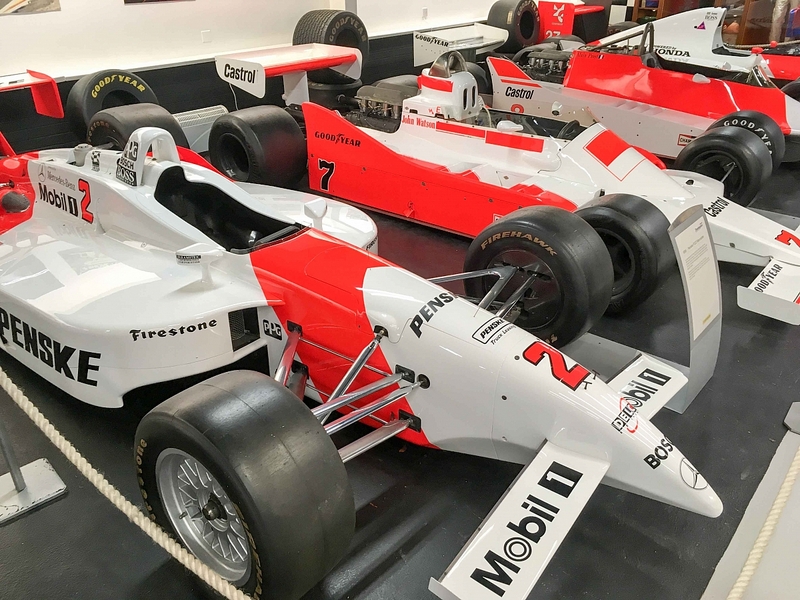 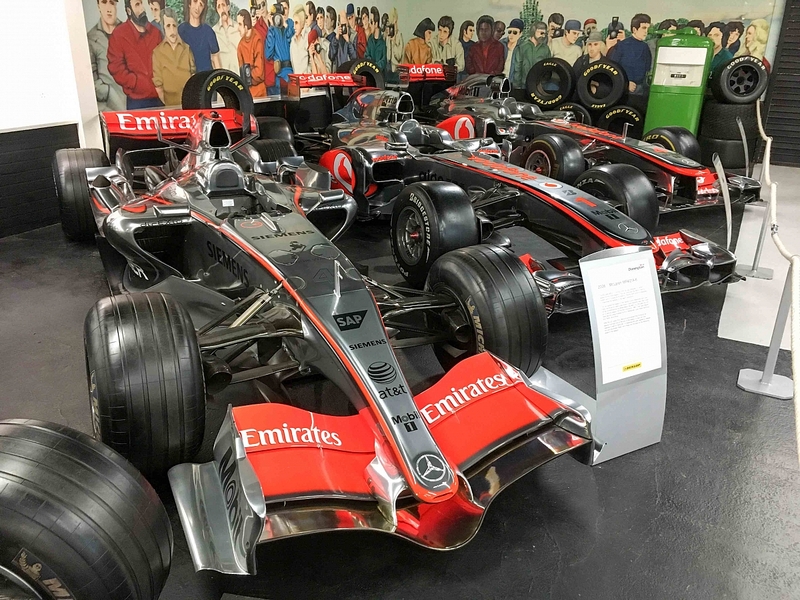 Not a gallery of the Group Leaders meeting itself, but a few photos of the F1 museum to give a flavour of the place. 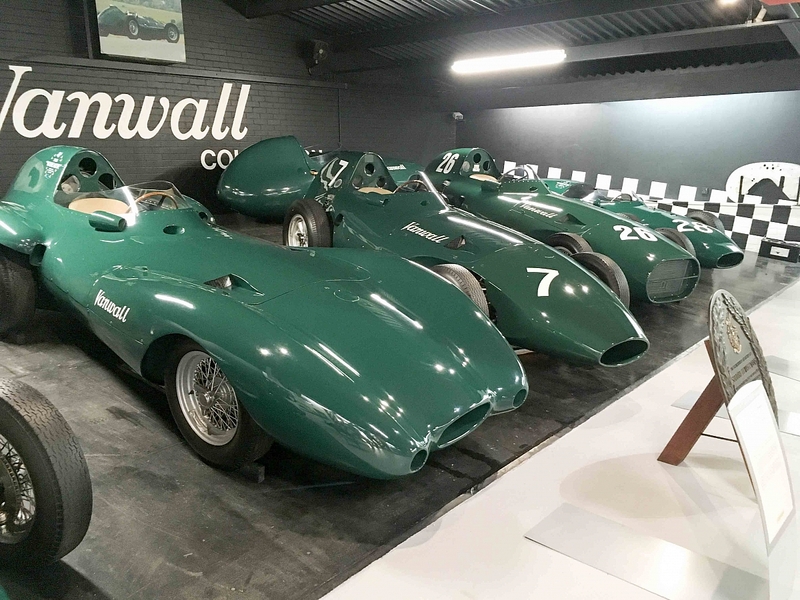 Worth a visit if you are passing. 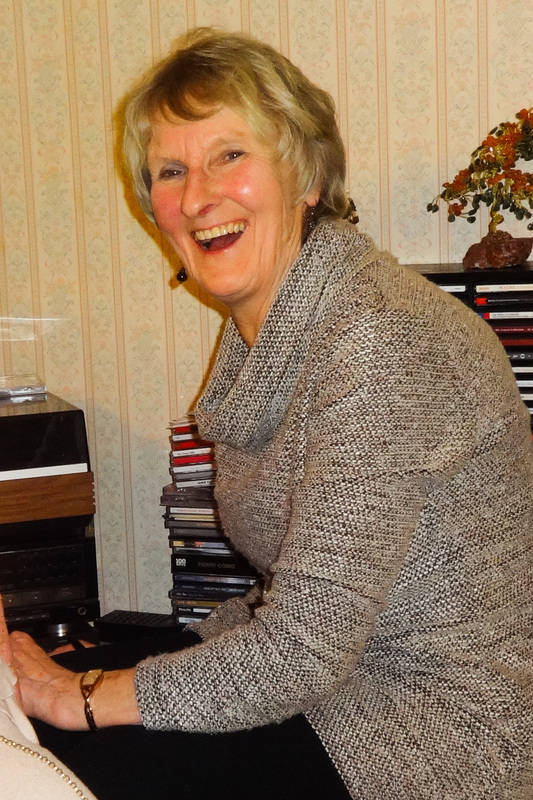 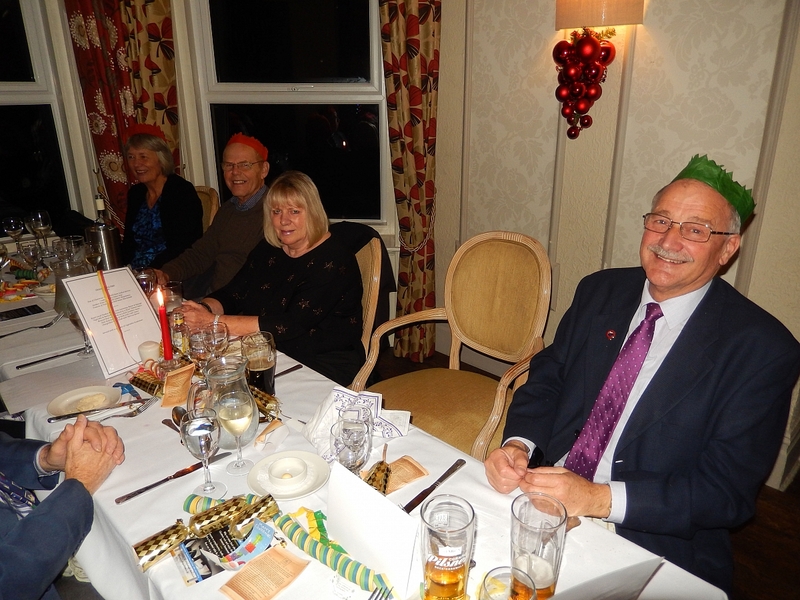 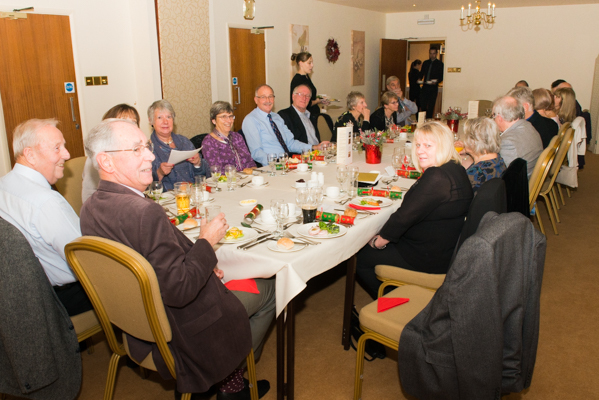 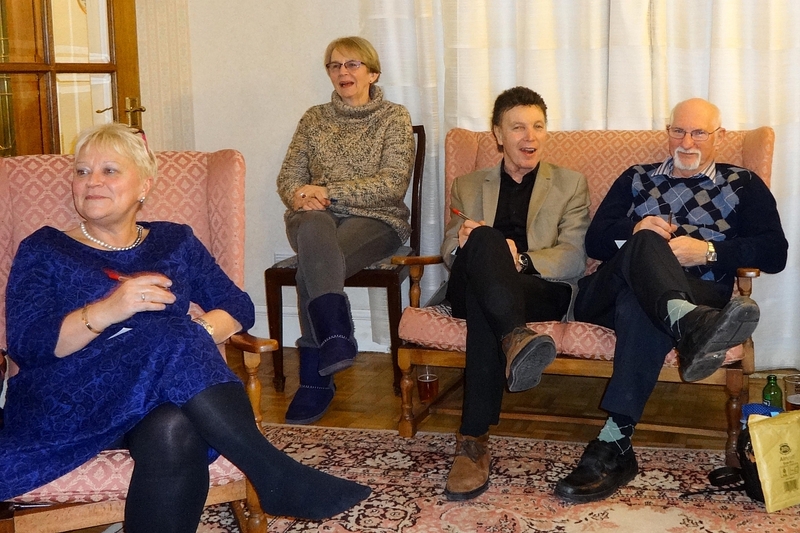 Brunel TRs were entertained to a soiree by our social secretary Elf Harris, with supper followed by a musical quiz. 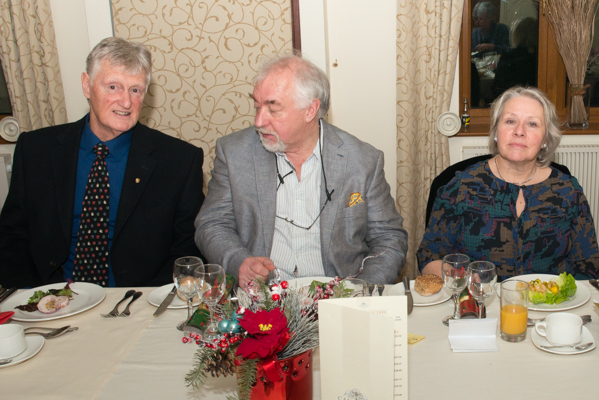 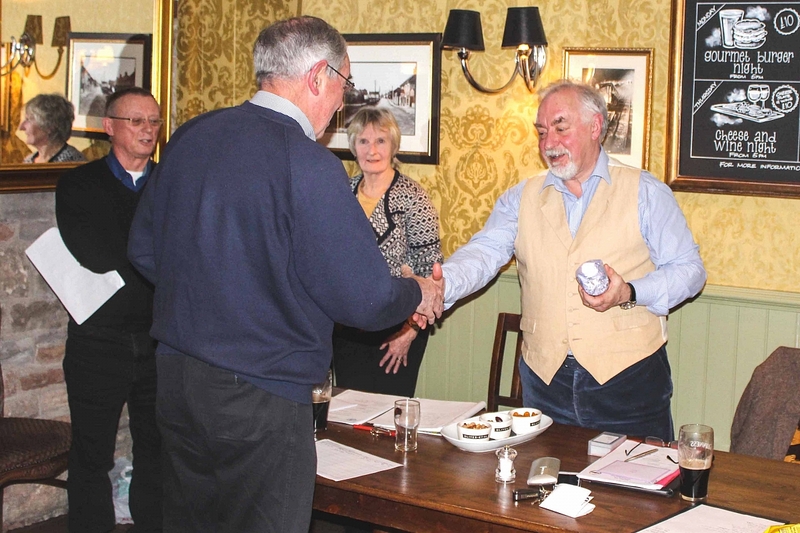 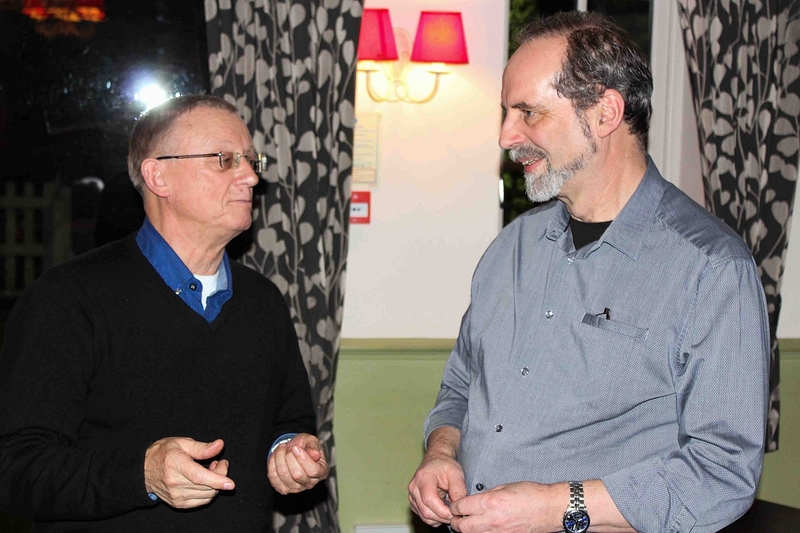 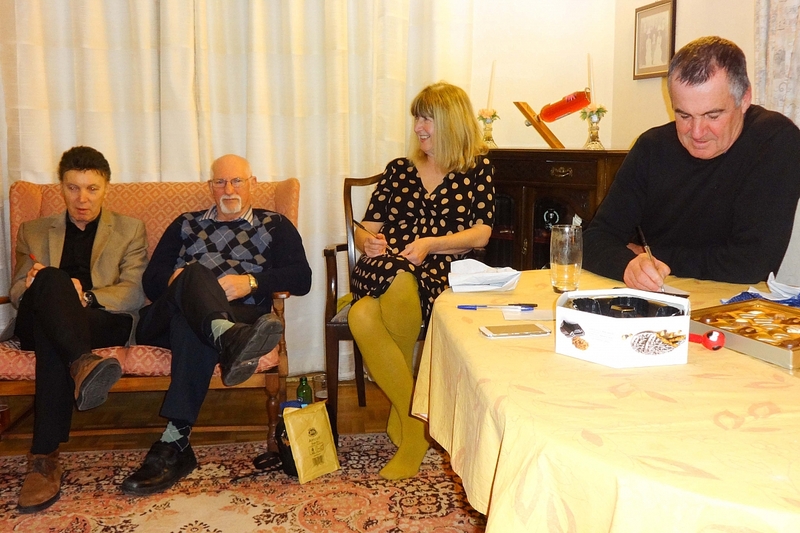 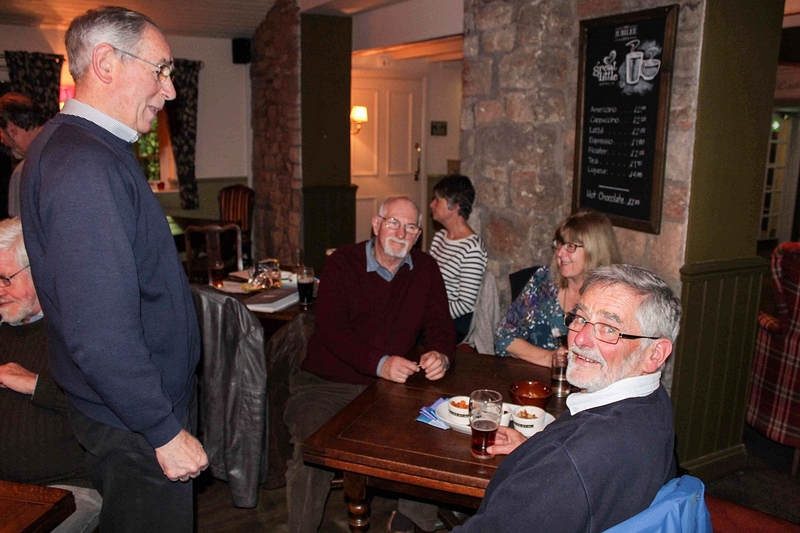 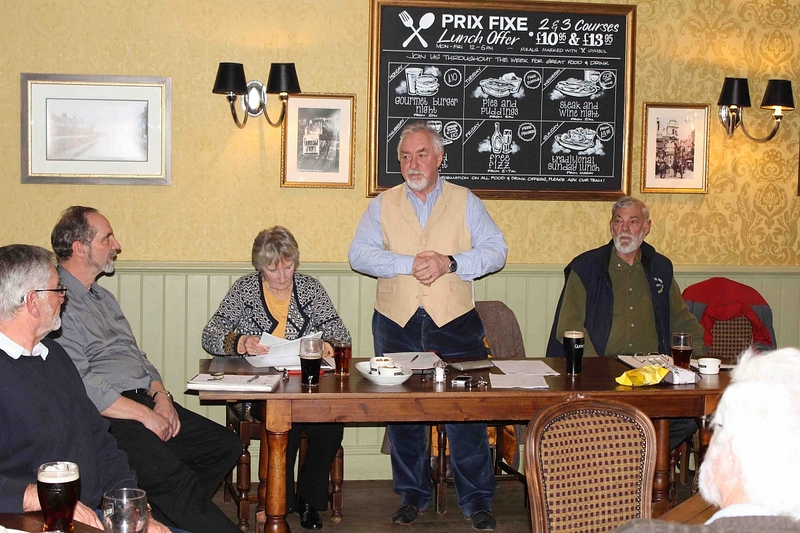 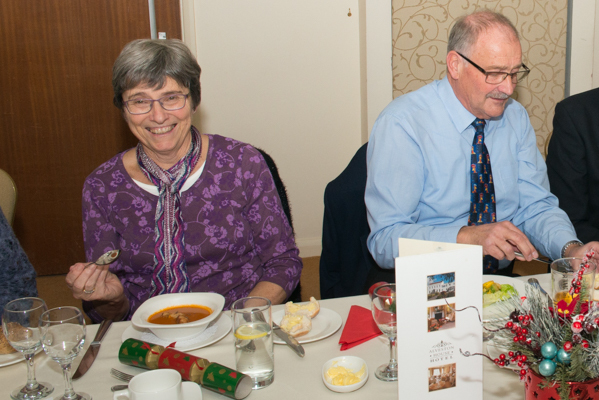 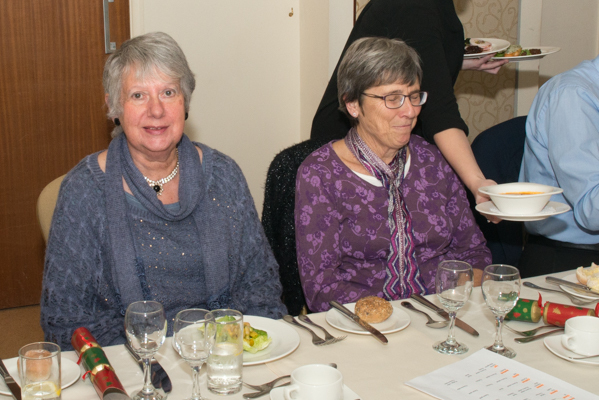 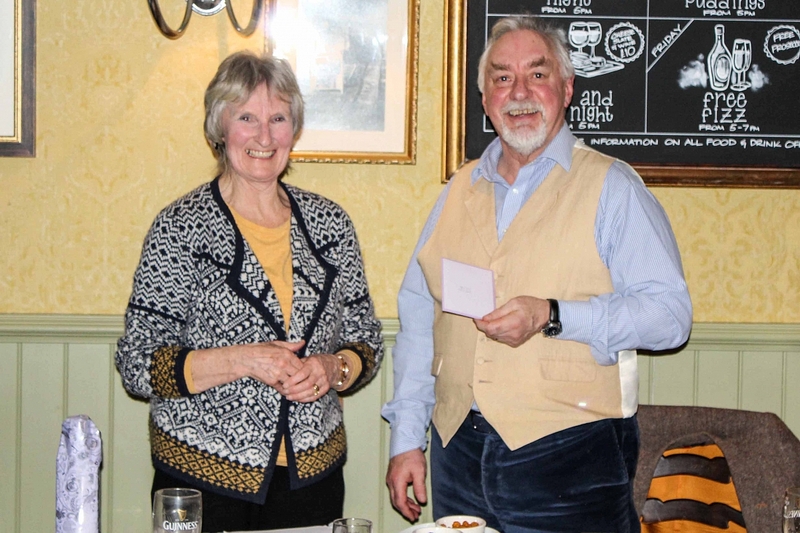 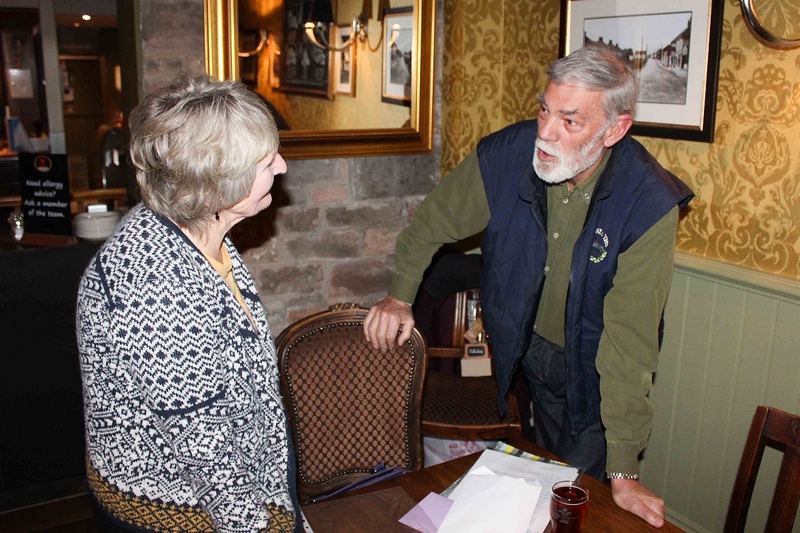 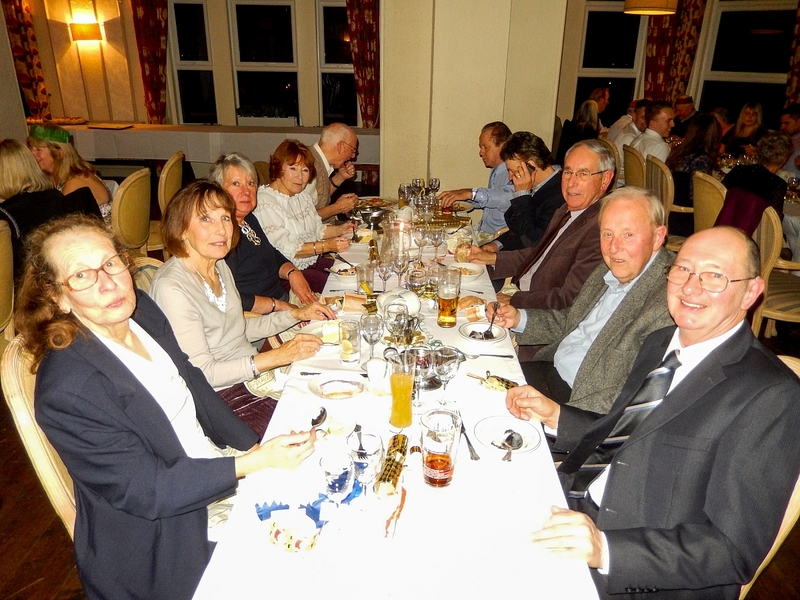 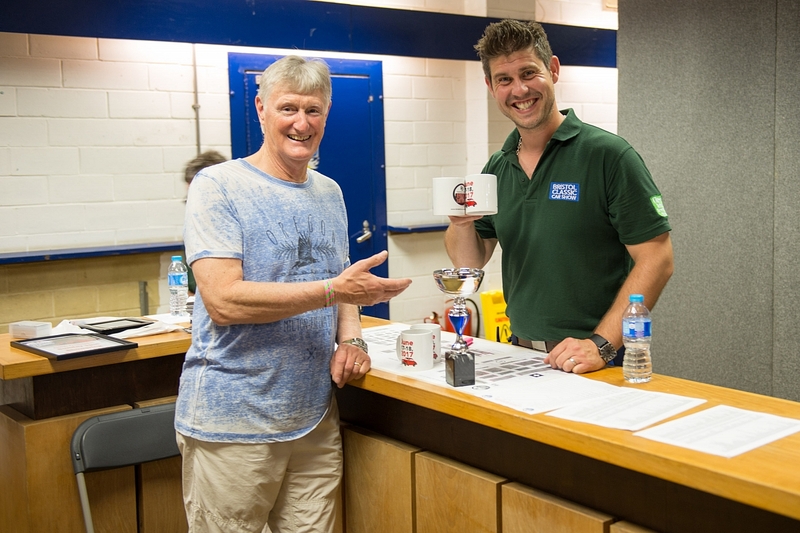 Photo gallery for the Brunel Group AGM - kindly provided by Derek Lee. 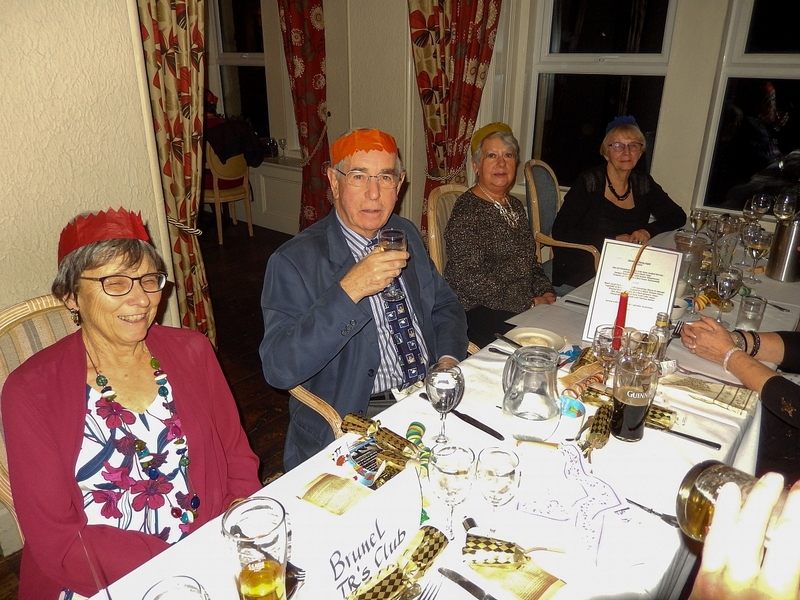 Brunel Christmas Dinner - 10 December 2016. 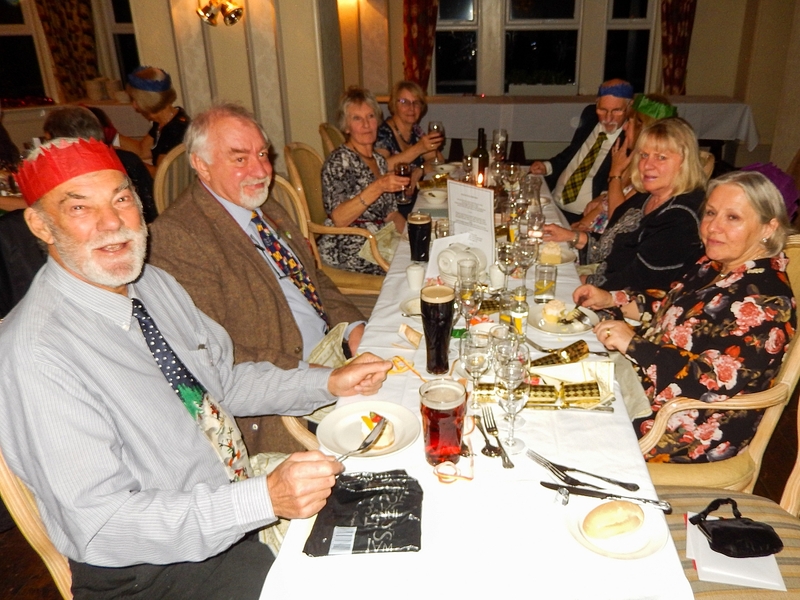 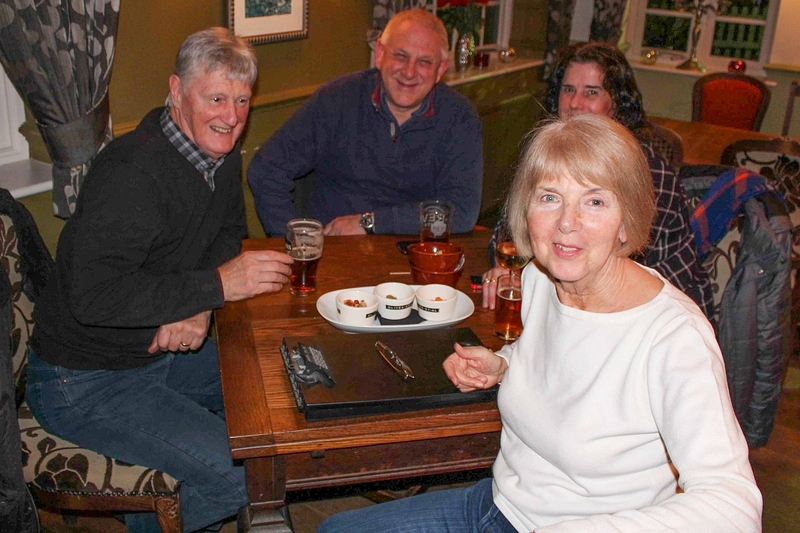 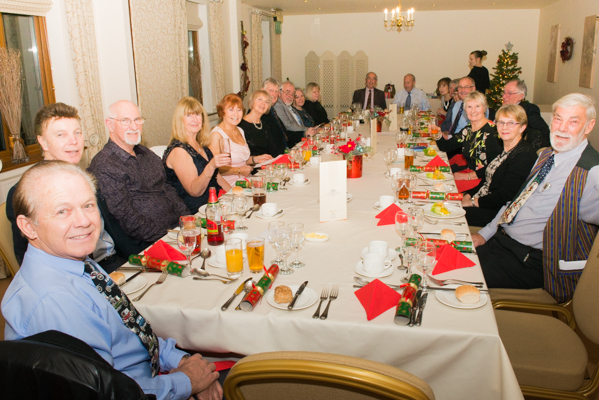 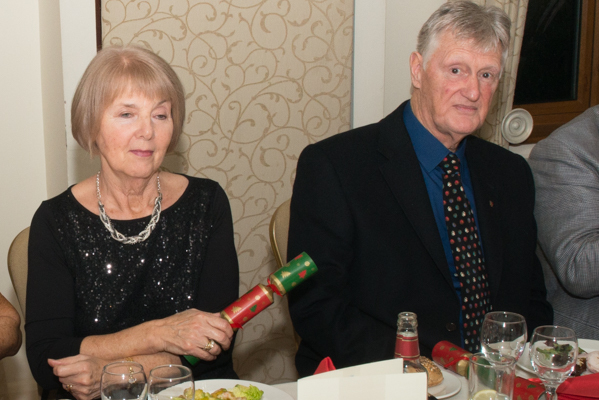 Our annual Christmas night out, a great time was had by all. 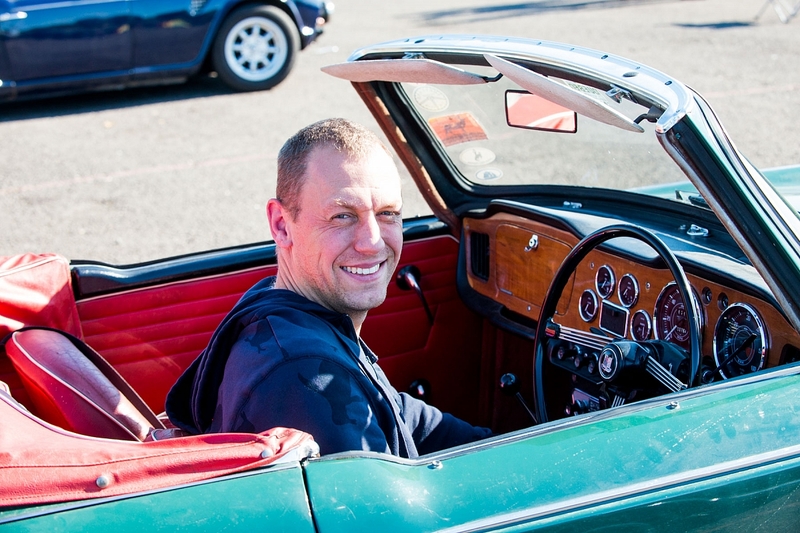 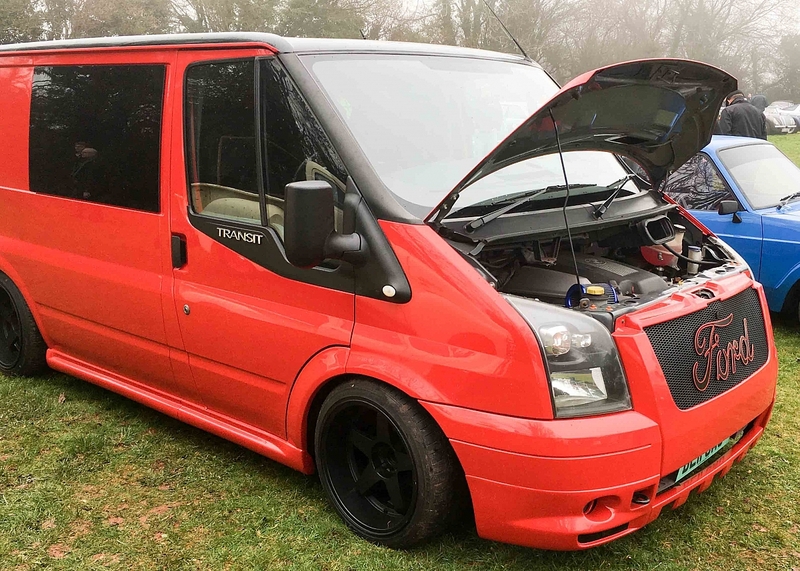 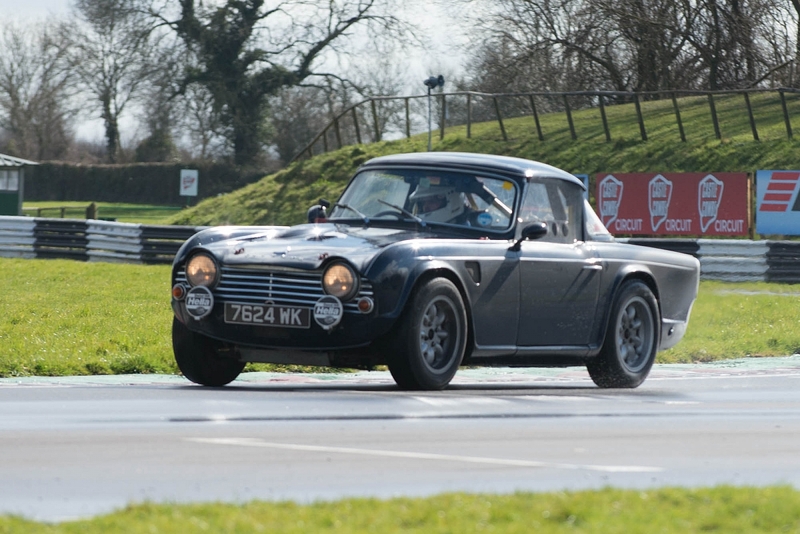 Dave Green is one of a few in the group who quite enjoy taking their TR to the track. 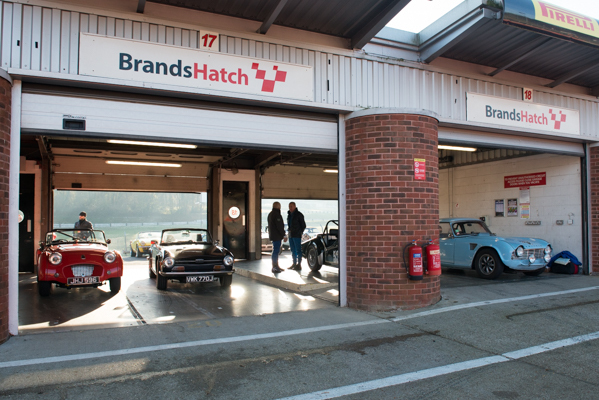 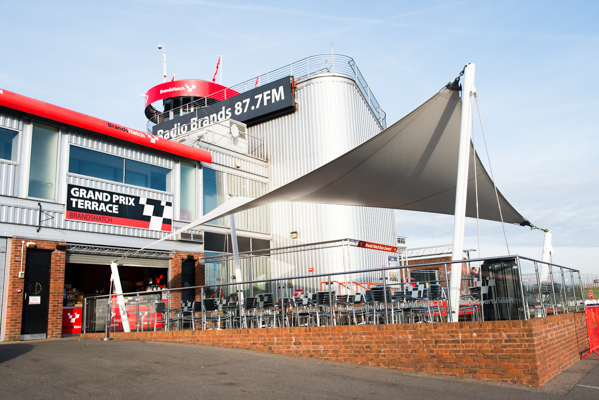 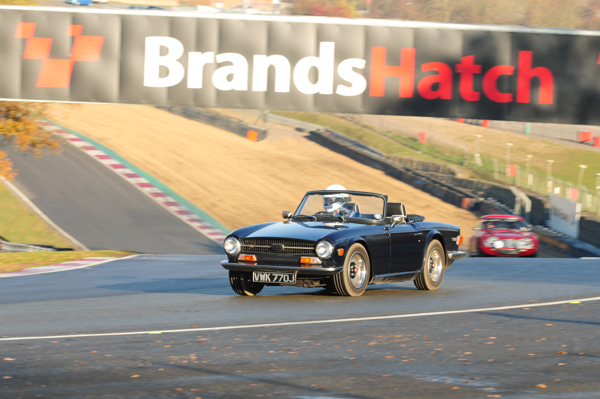 This time Brands Hatch. 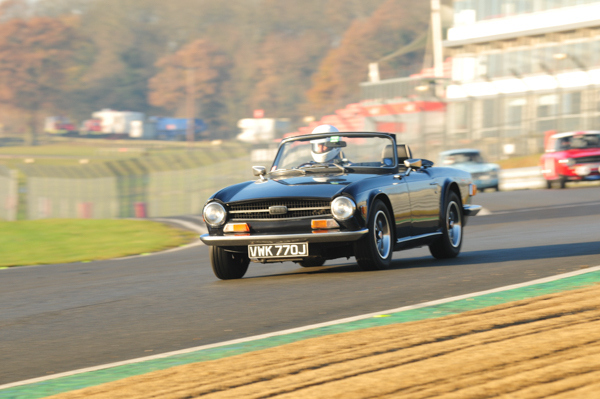 Here are some photos of the joint TR Register and MG On Track day 5 December 2016. 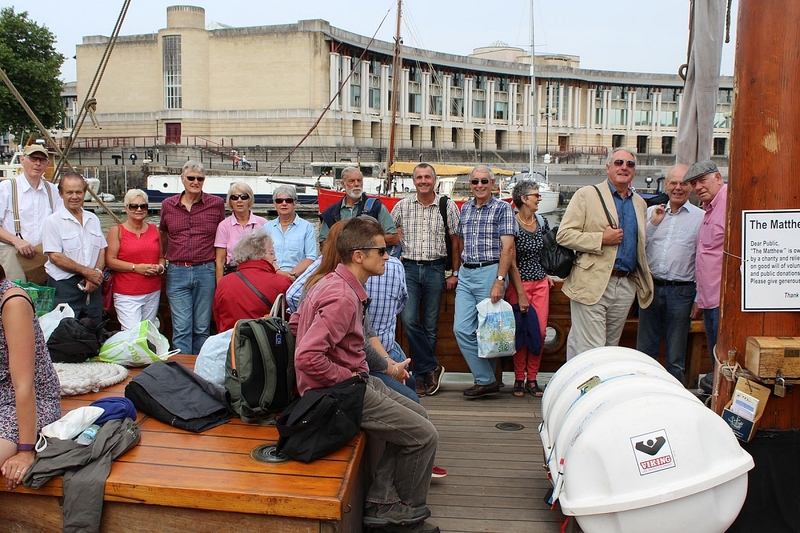 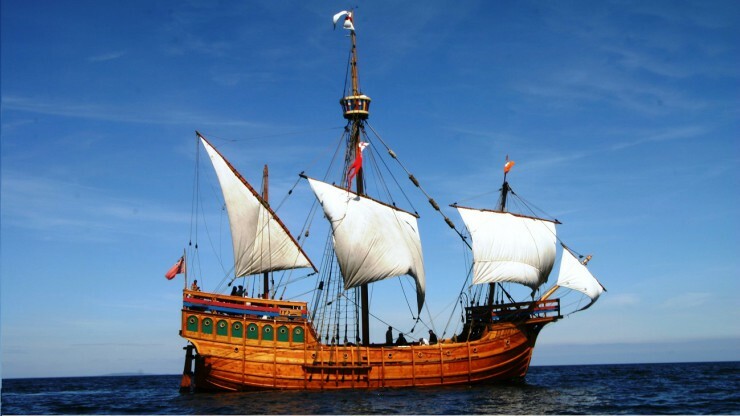 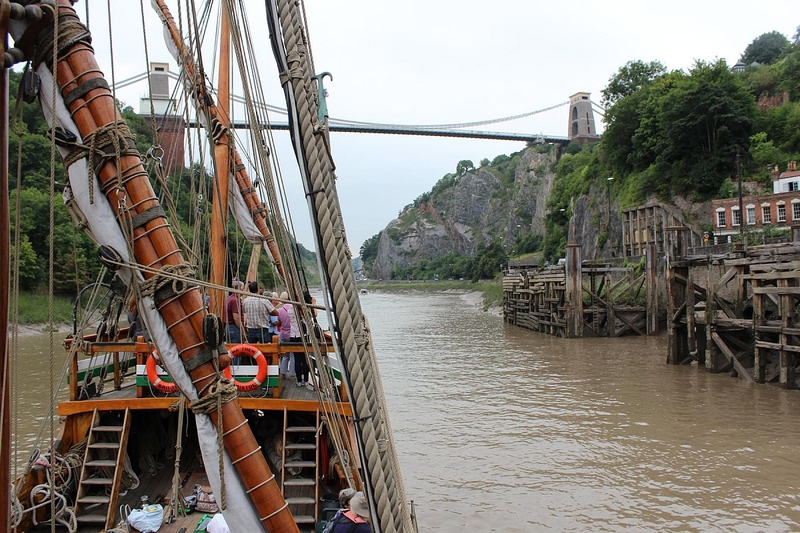 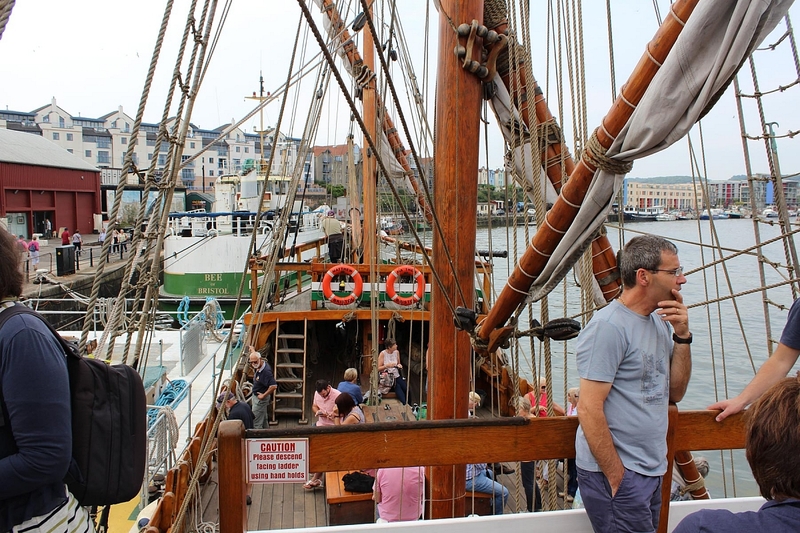 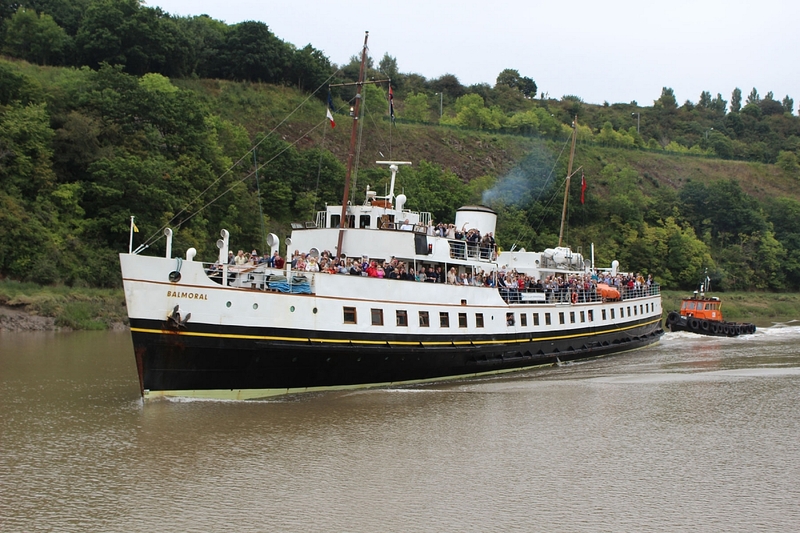 Brunel members boarded The Matthew a reproduction of John Cabot’s vessel that sailed to discover Newfoundland some 400 years ago. 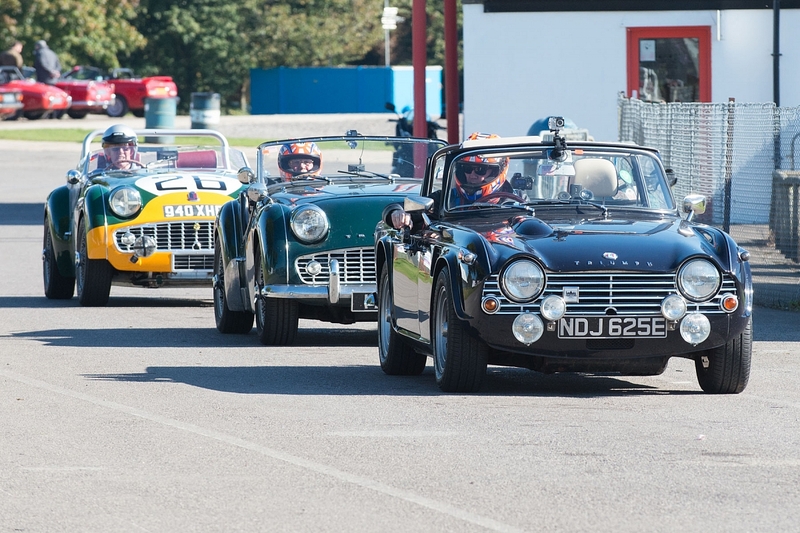 This was the third of four TR Register Track Days for 2016 - a bumper year. 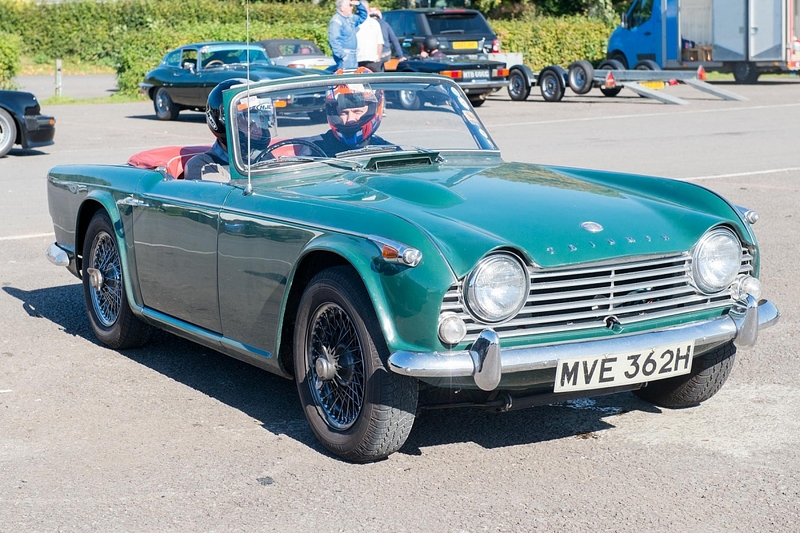 This one was slightly different in that TR Register members were offered the chance to bring a non TR classic. 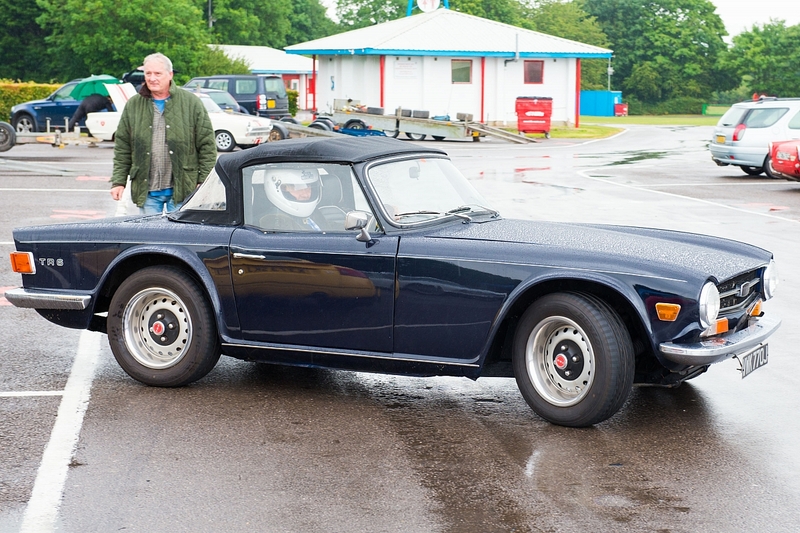 The organiser, Kev Bryant, brought his Porsche 930 as well as his TR3A, more on the 930 on the Social page. 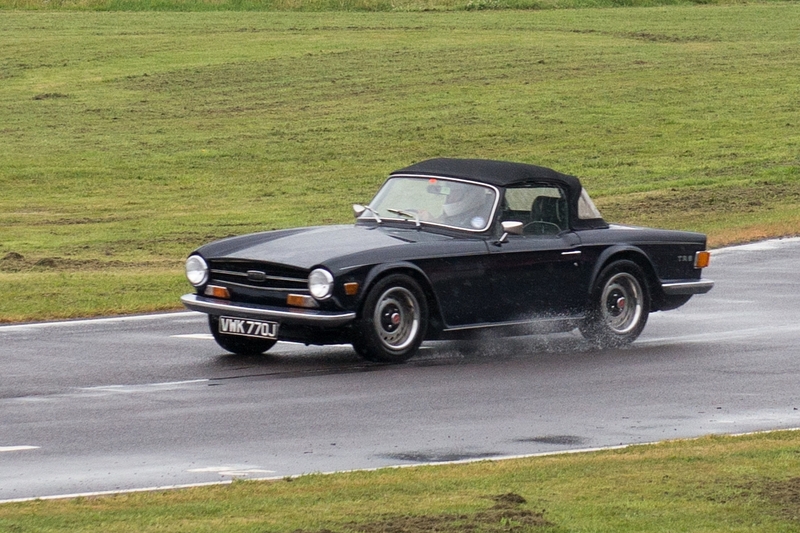 Tim and Dave took to the track as usual in their TR4A and TR6 respectively, and Tim invited his son to have a go, he seemed to quite enjoy it. 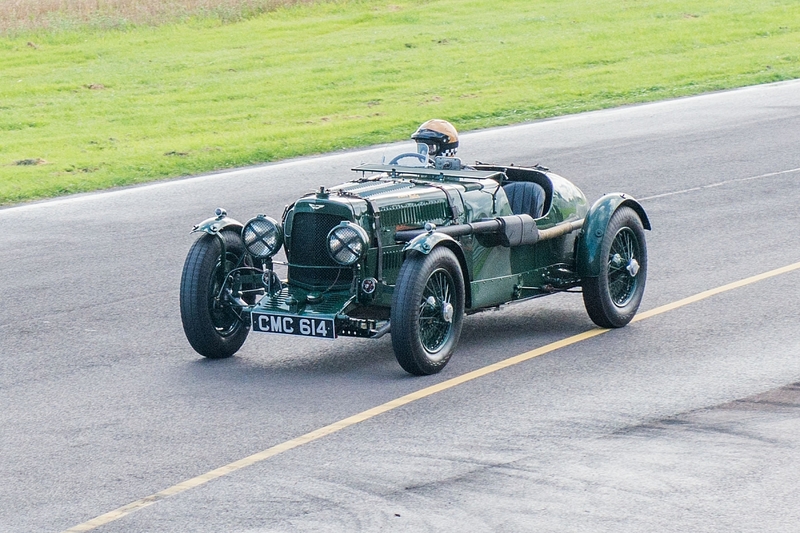 The Vintage Sports Car Club's race for Pre-war sports cars kicked off the nine race schedule, enjoying a window of sunshine and drying track. 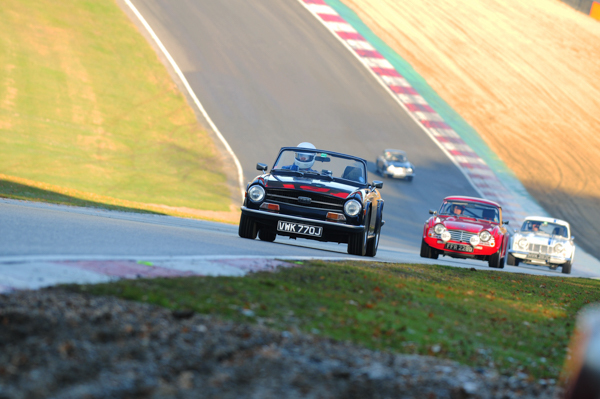 Minis were the cars to have for the first visit to the 'Classic' of the HRDC's 'Coys Trophy' race for Touring Cars built between 1958 and 1966, being more suited to the treacherous conditions than bigger and normally quicker machinery. 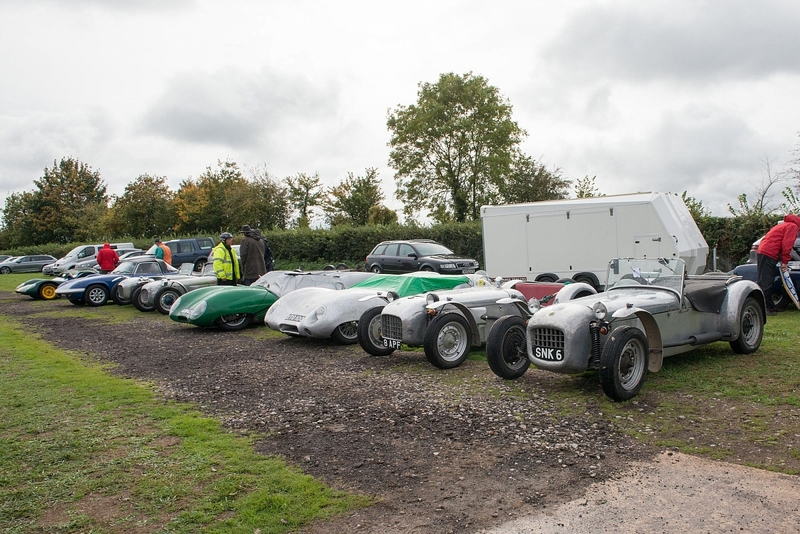 A selection of those racing and some on parade are included to show what this event is all about. 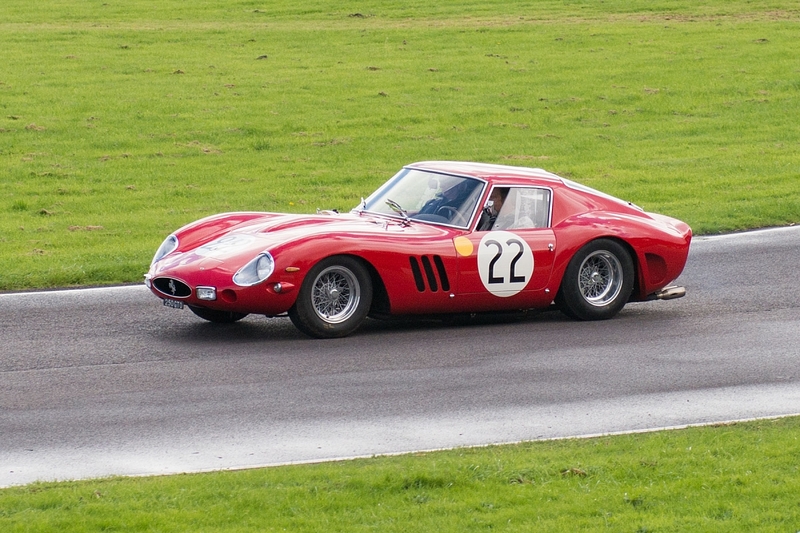 For those who are interested, the last Ferrari 250 GTO like Nick Mason's at the event sold for £23,000,000. 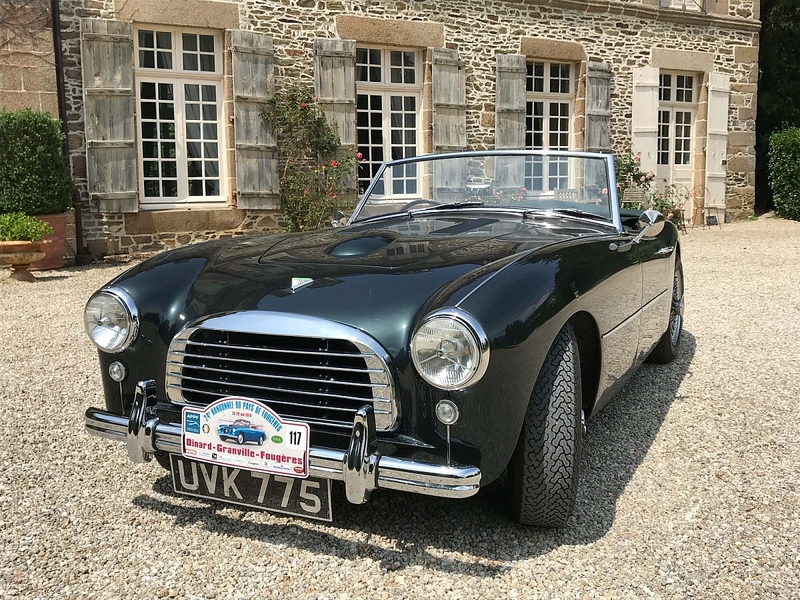 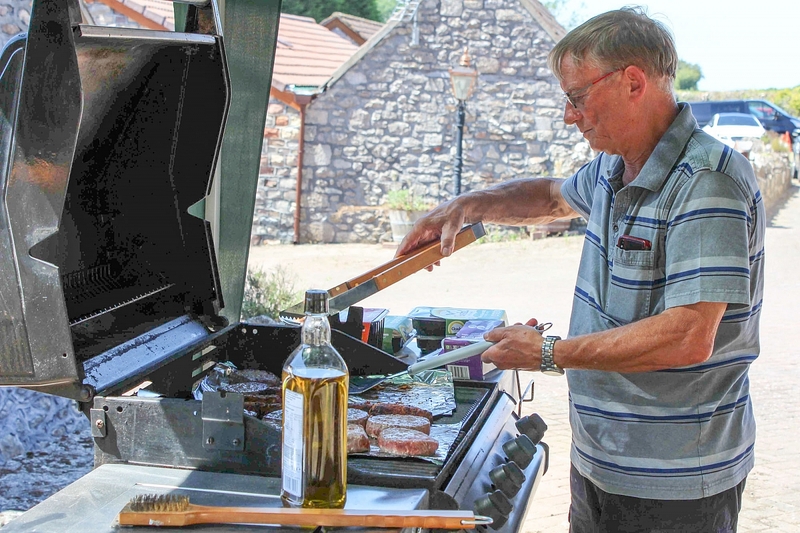 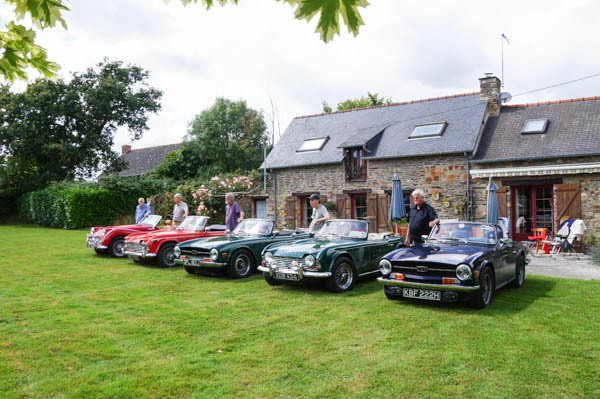 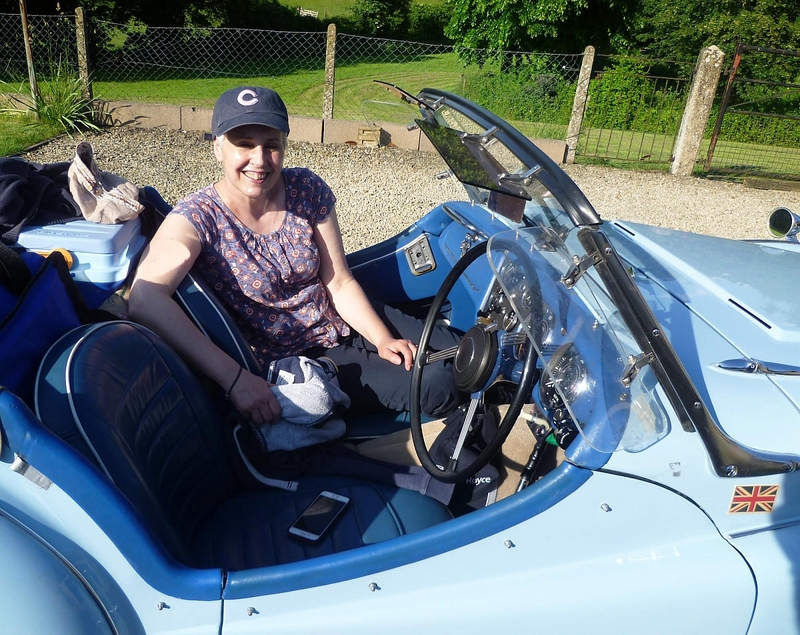 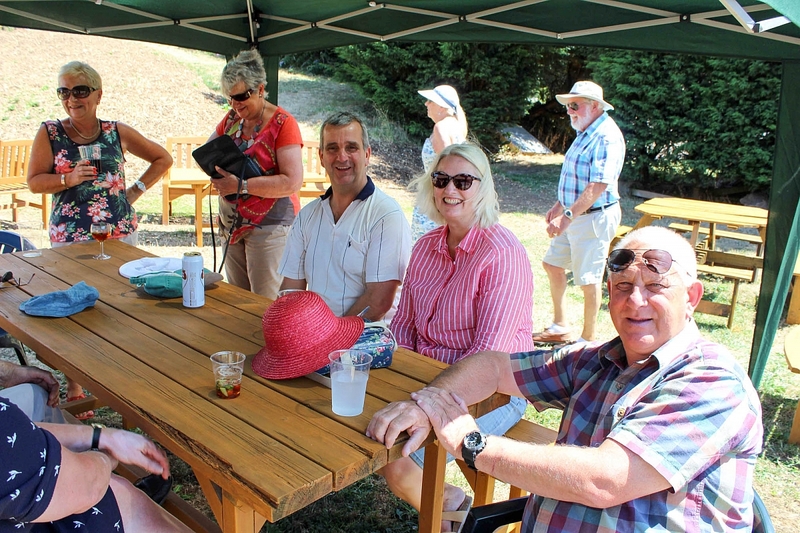 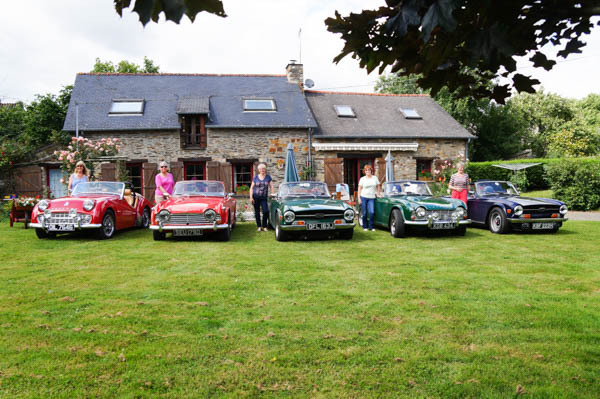 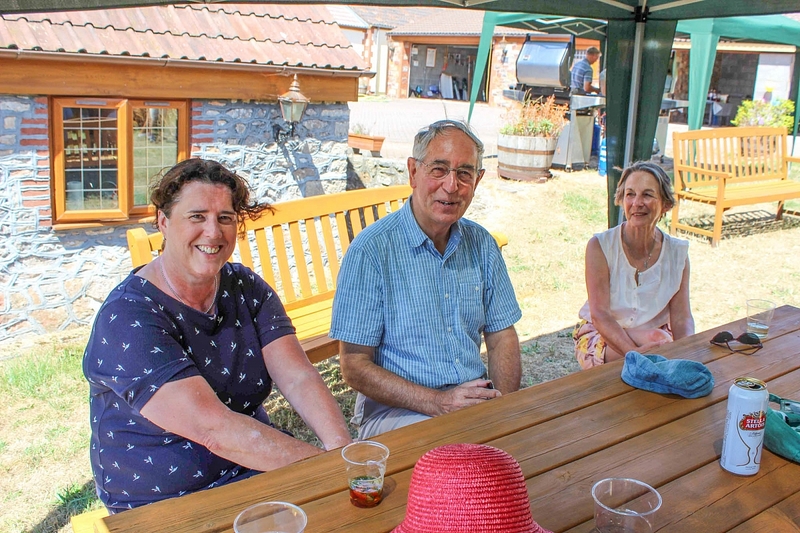 Brunel Group enjoyed a lovely few days at the end of July at at Jean and Eric's house at La Bossardais, St Aubin des Chateaux, near Chateaubriant, Loire Atlantique. 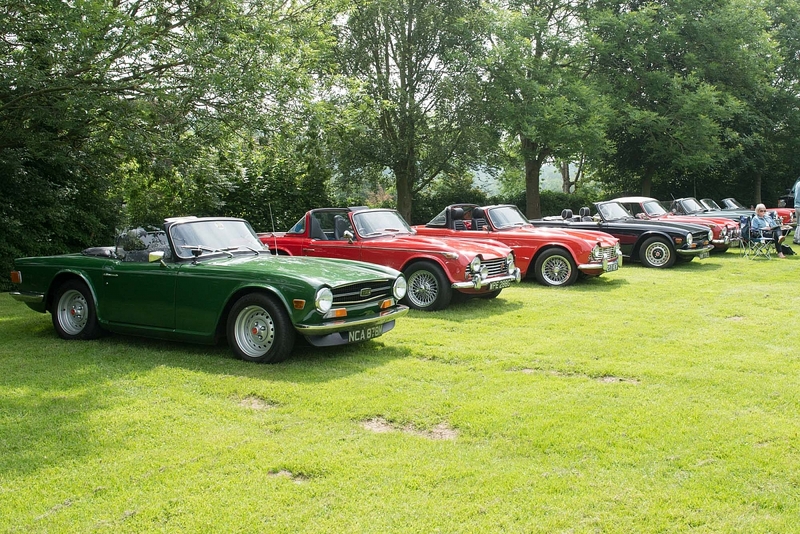 The house is set in an acre of land so plenty of room for all the cars. 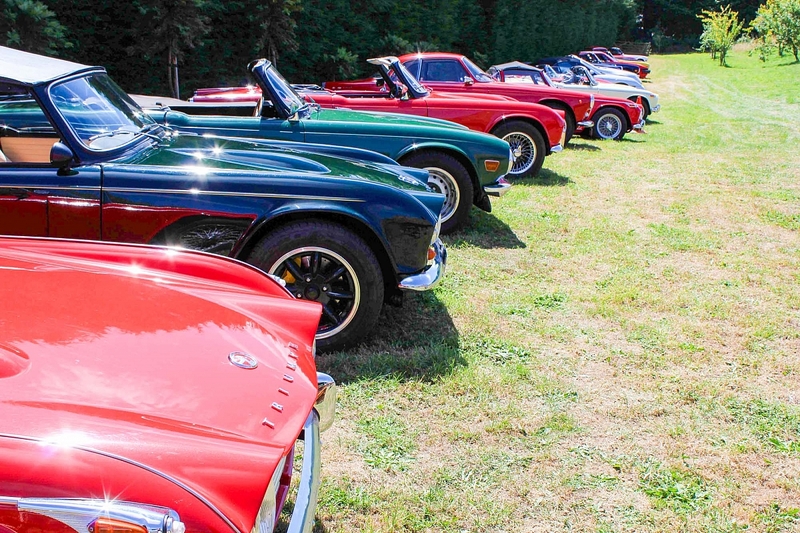 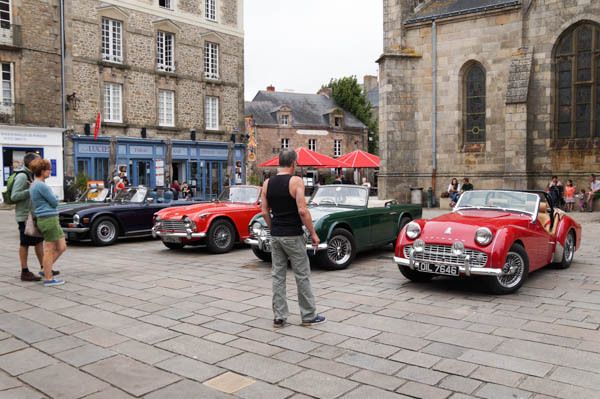 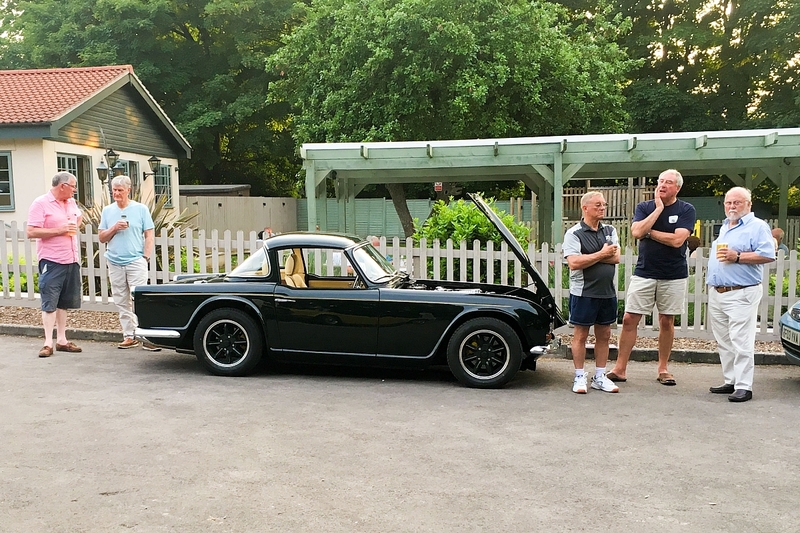 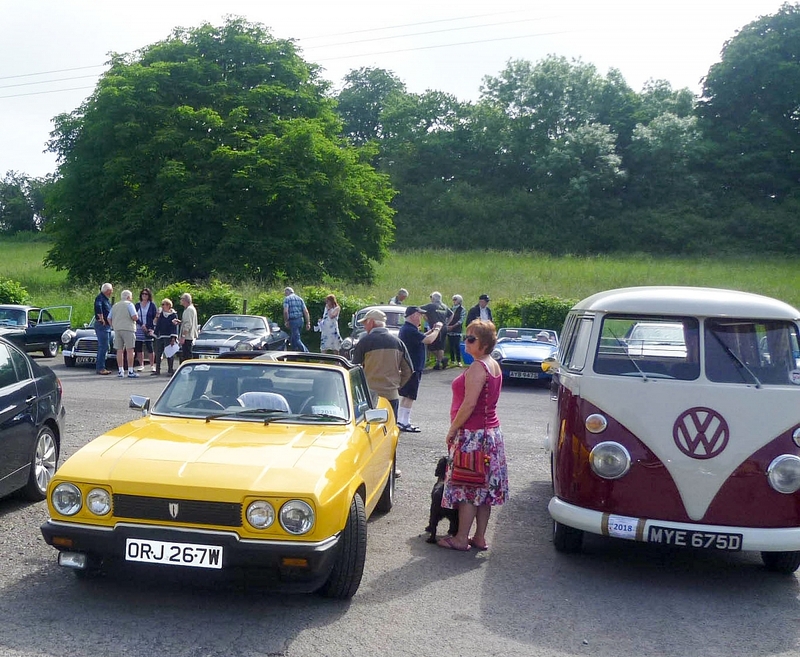 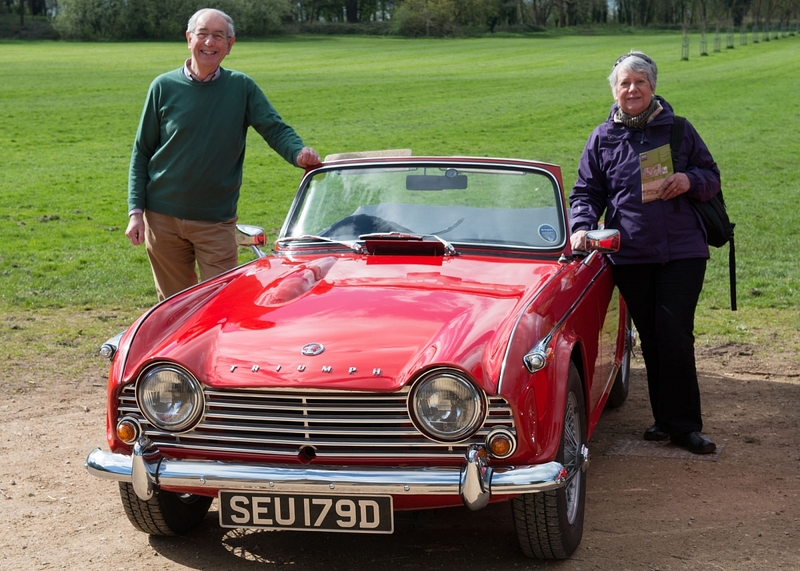 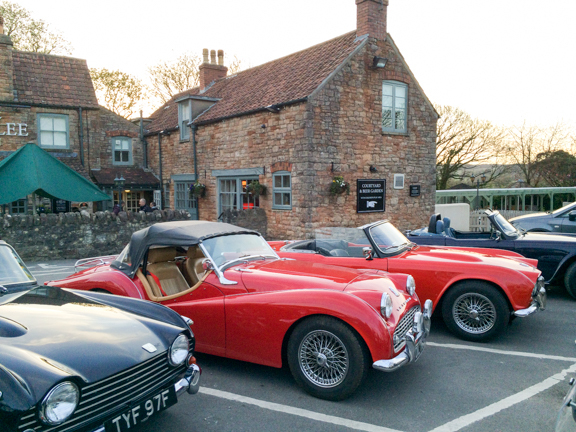 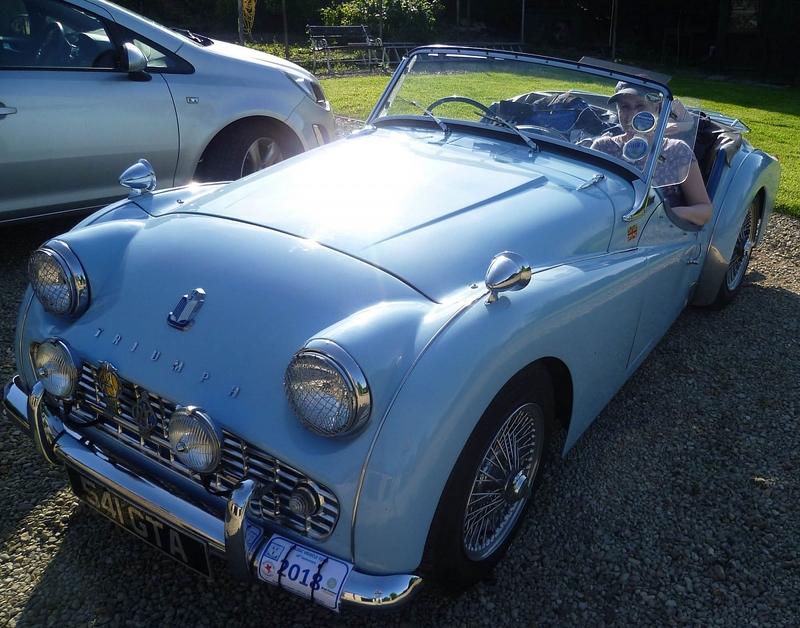 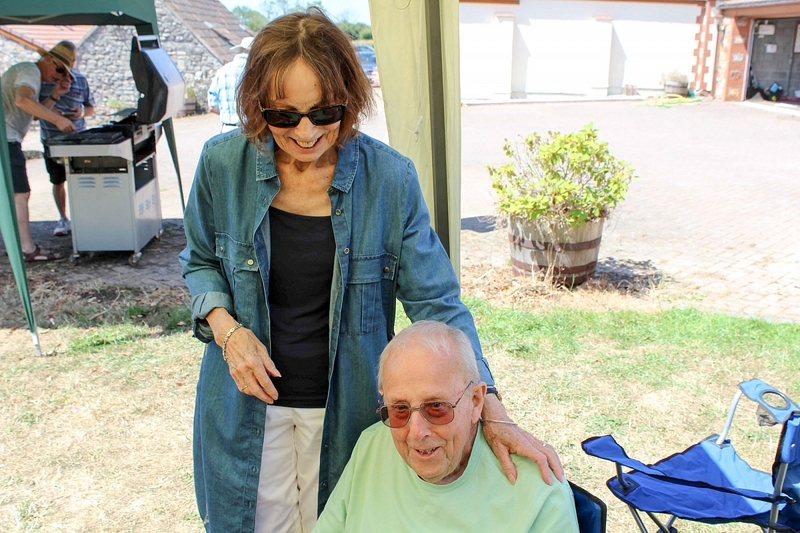 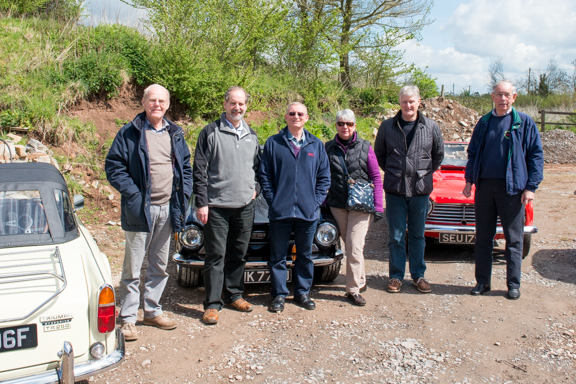 The group visited the local attractions and were even invited to join the local car club for a car show on one day. 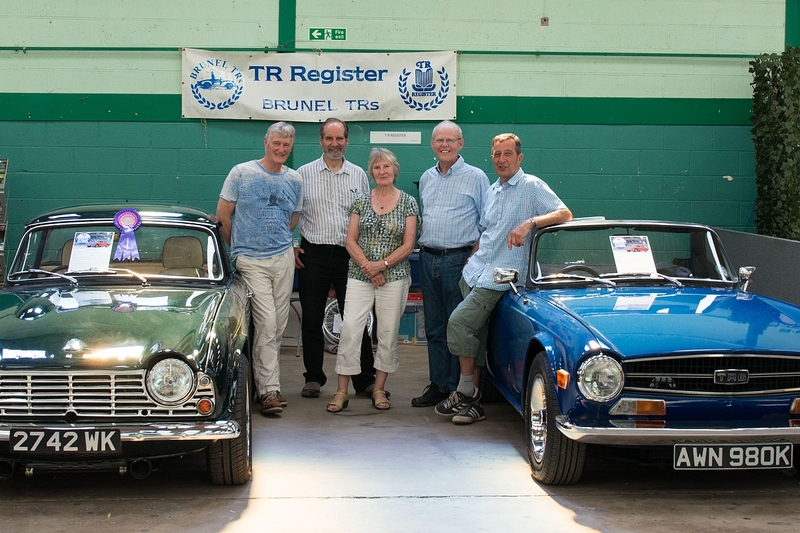 Rare TRs draw a lot of interest to the Brunel TR stand. 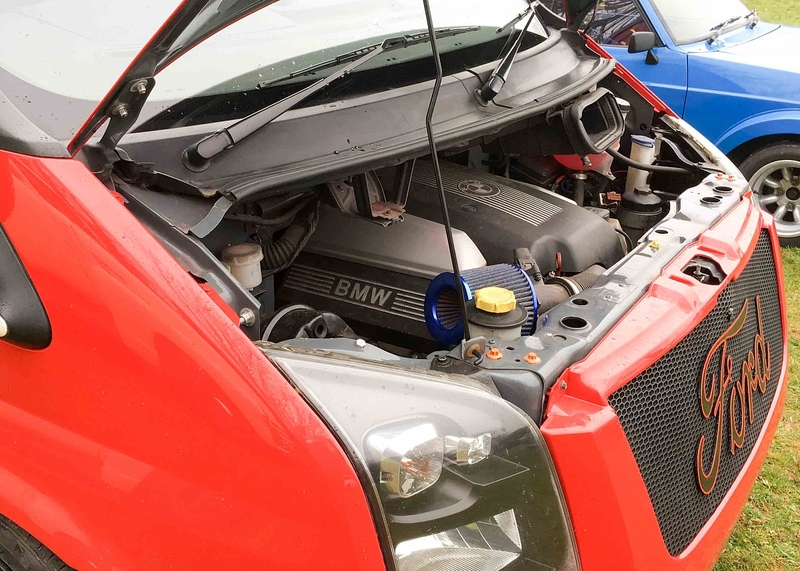 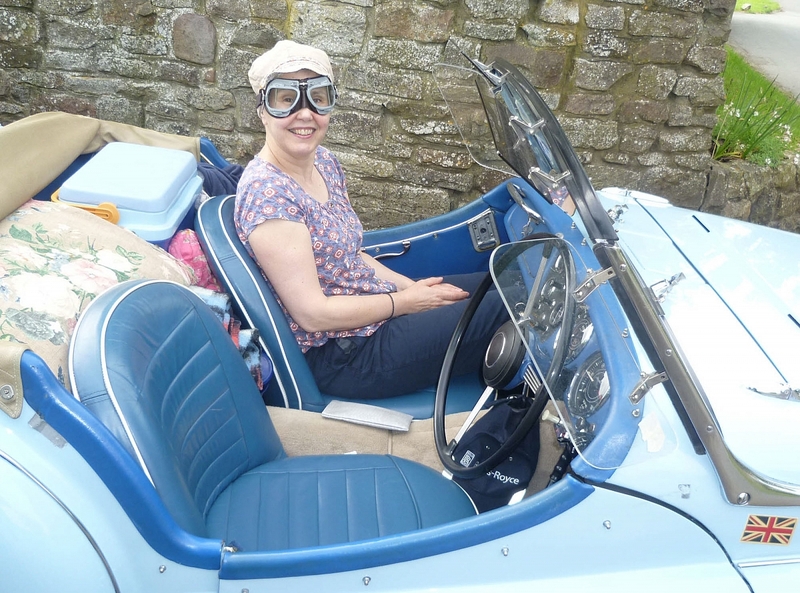 Please note the close up of the emergency bonnet release in the first photo - £10 from Moss! 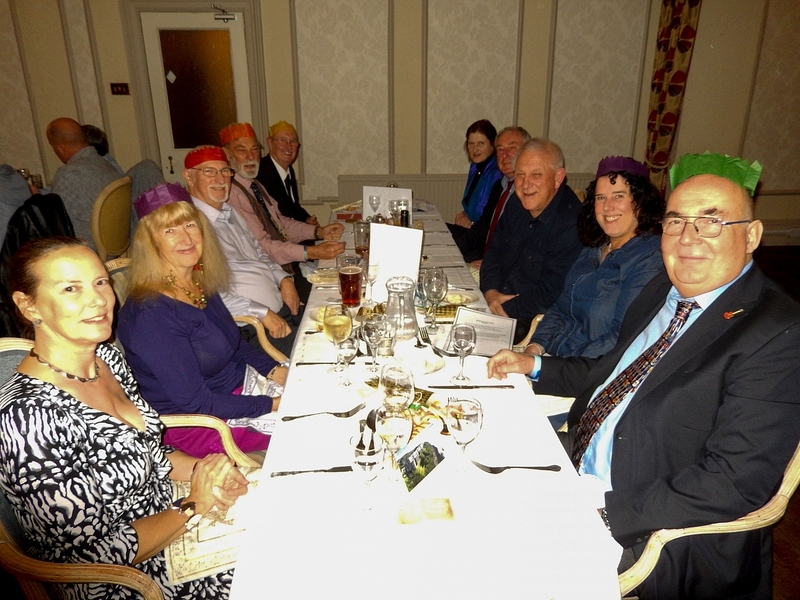 A number of Brunel TR members support our local TR specialist. 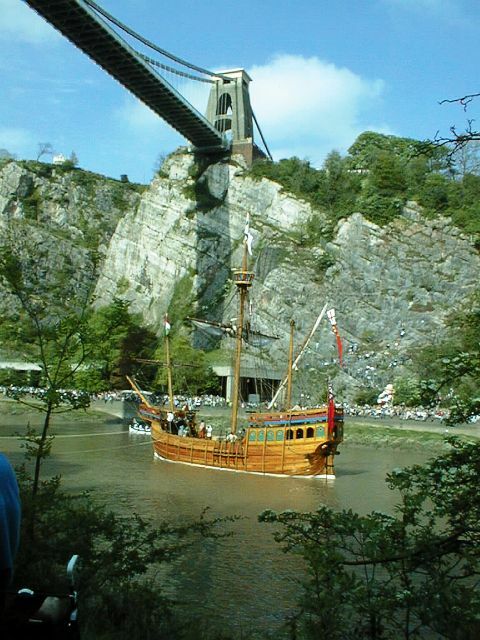 Presentation about The Matthew at the Brunel Monthly Meeting. 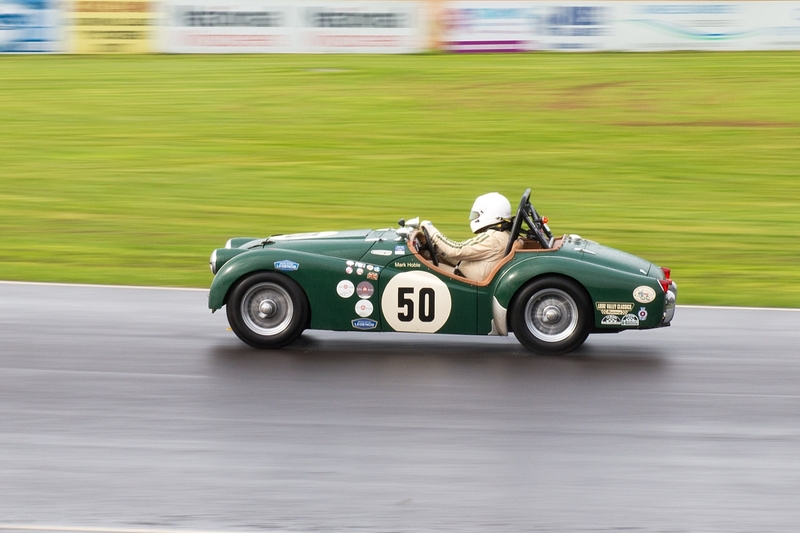 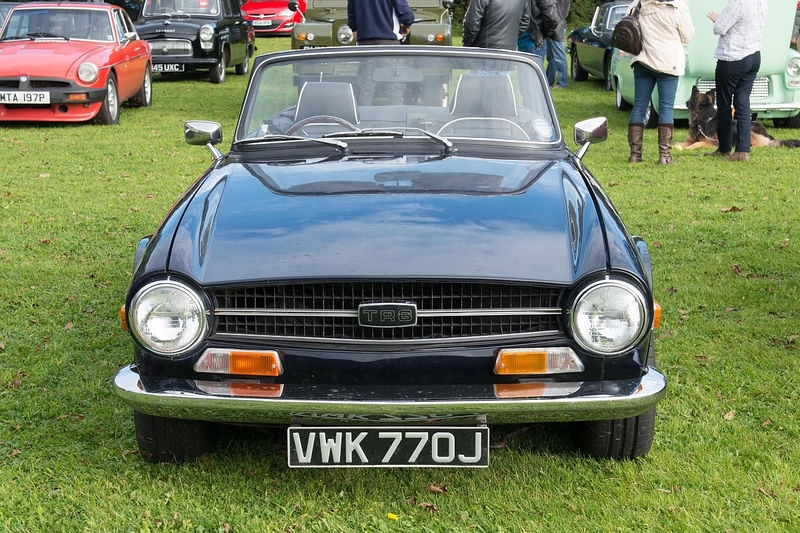 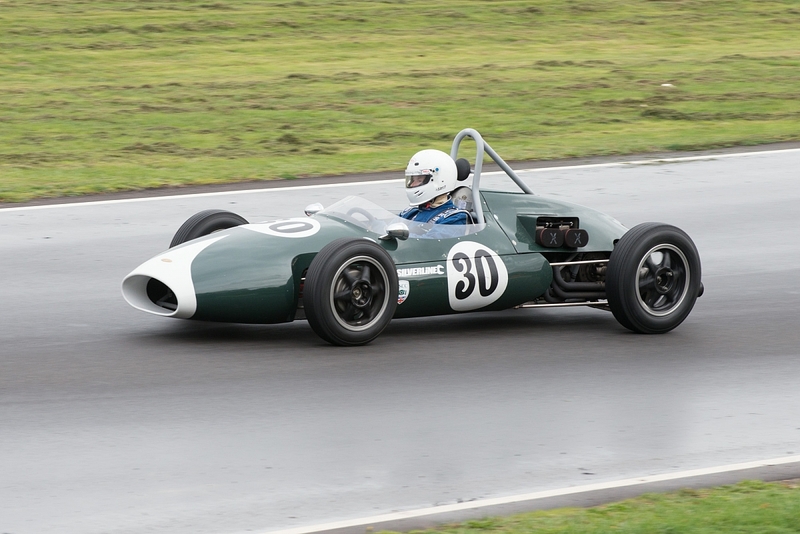 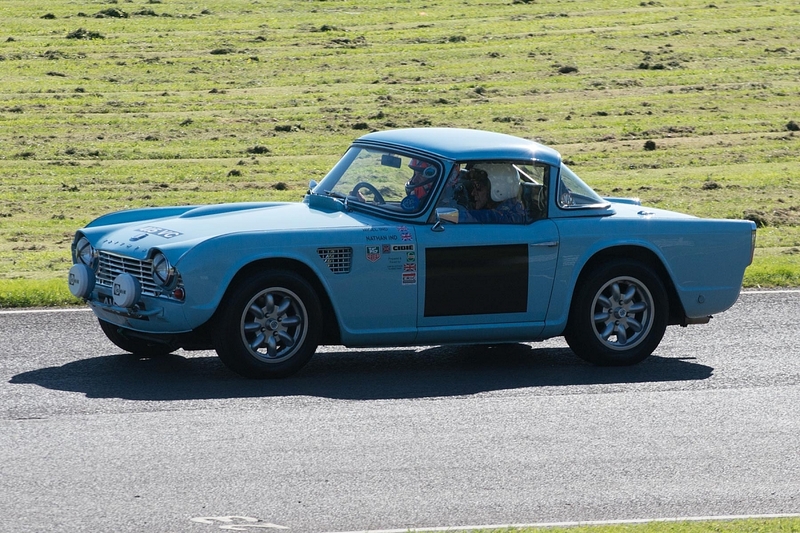 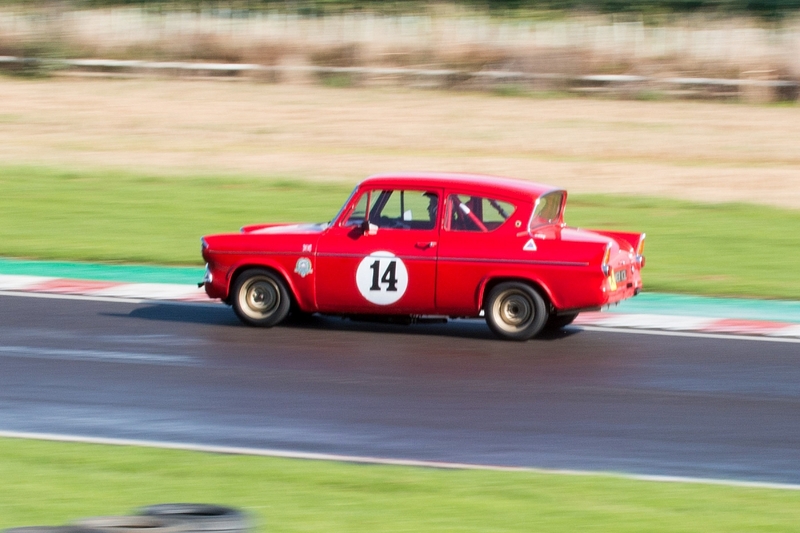 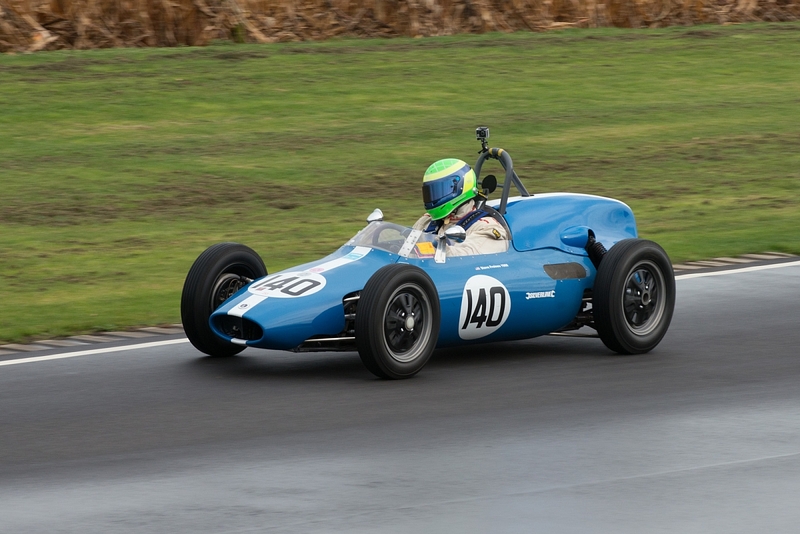 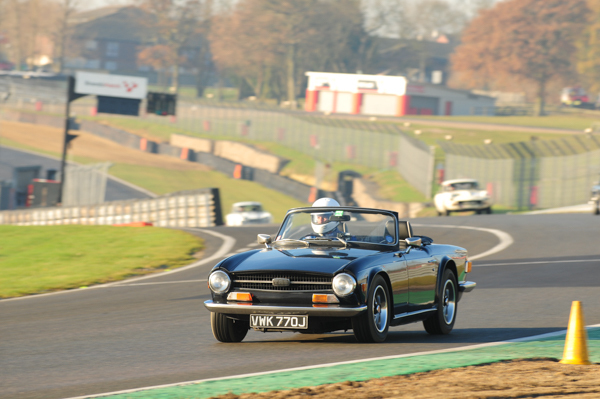 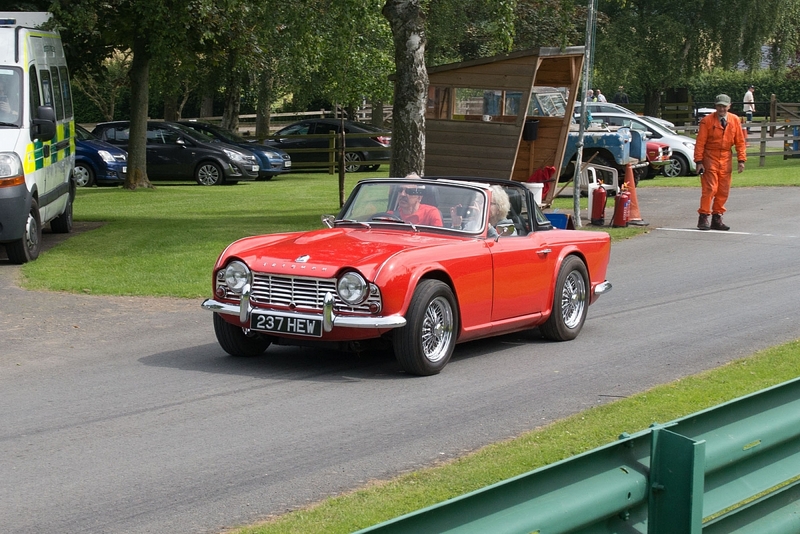 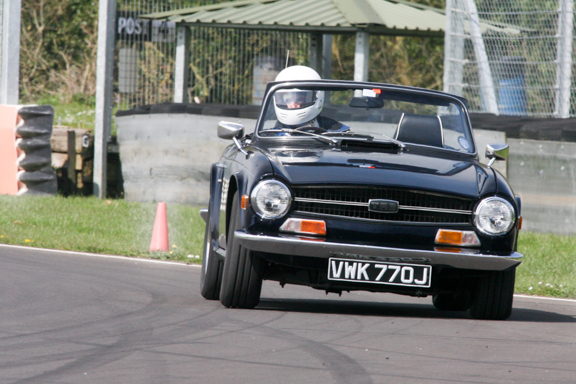 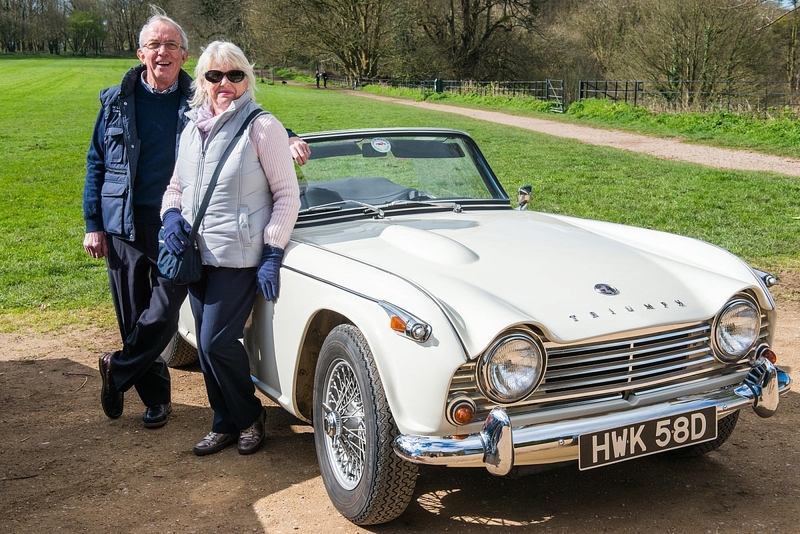 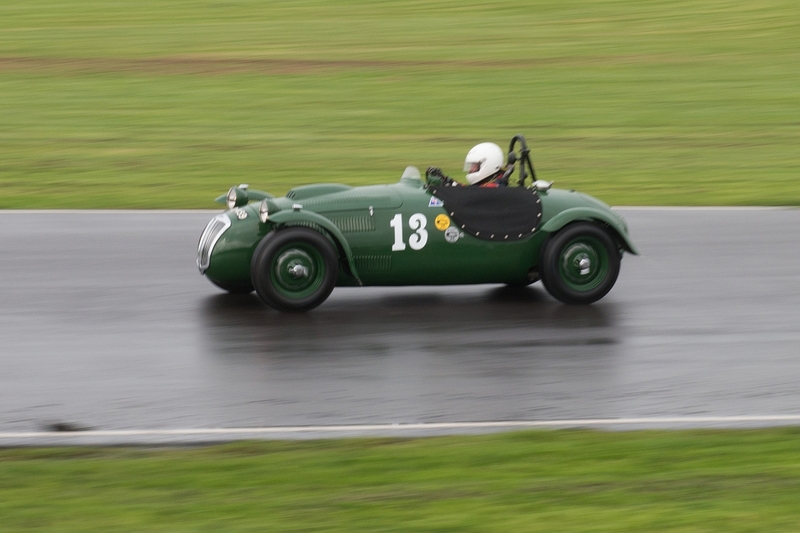 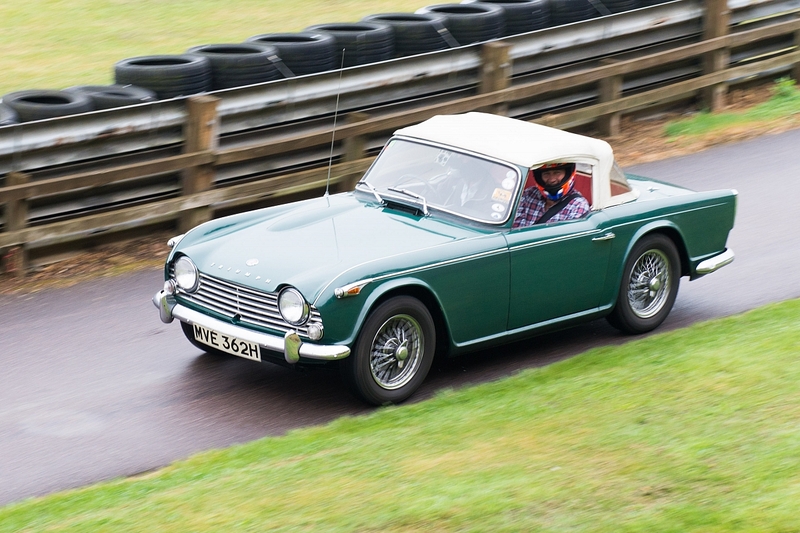 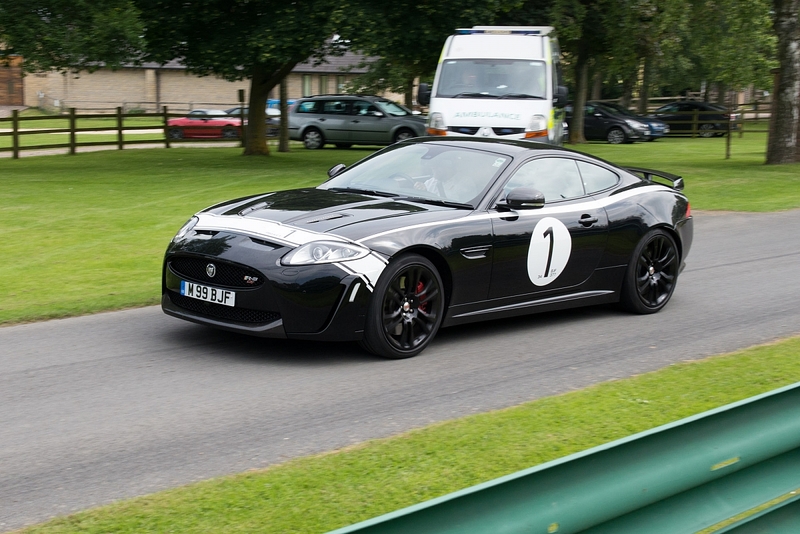 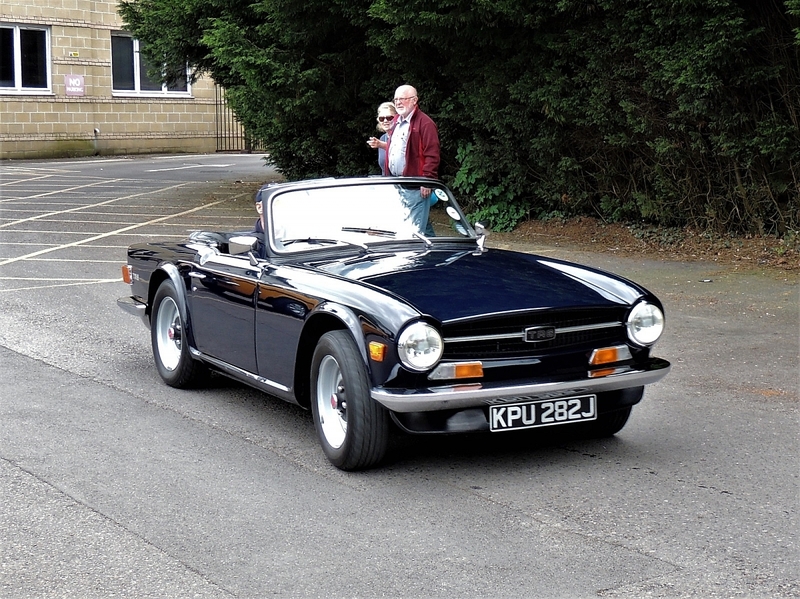 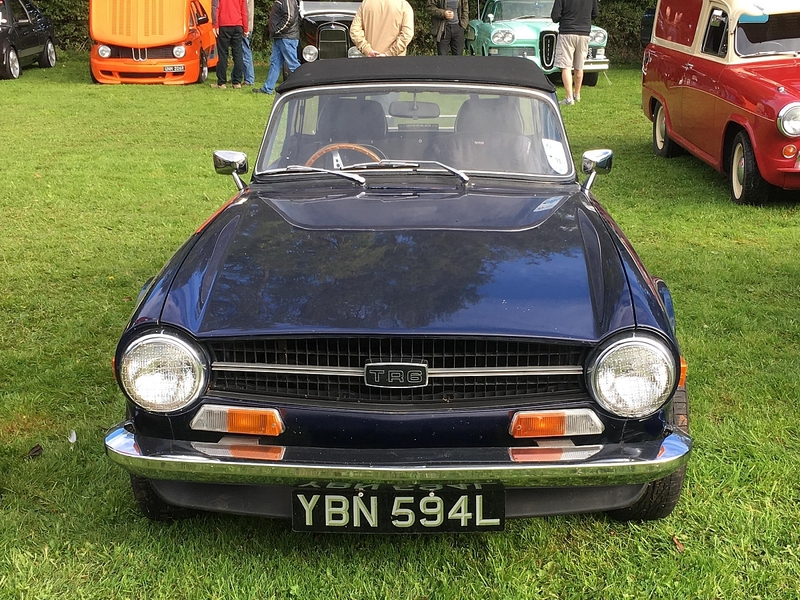 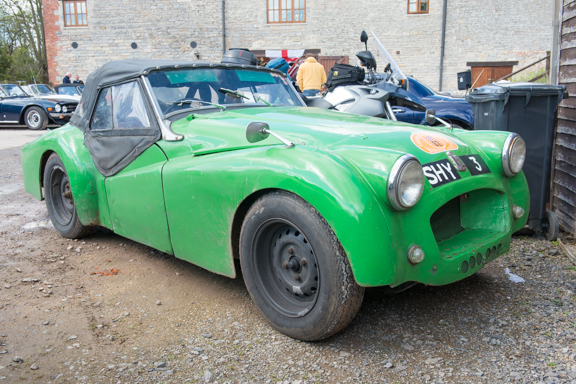 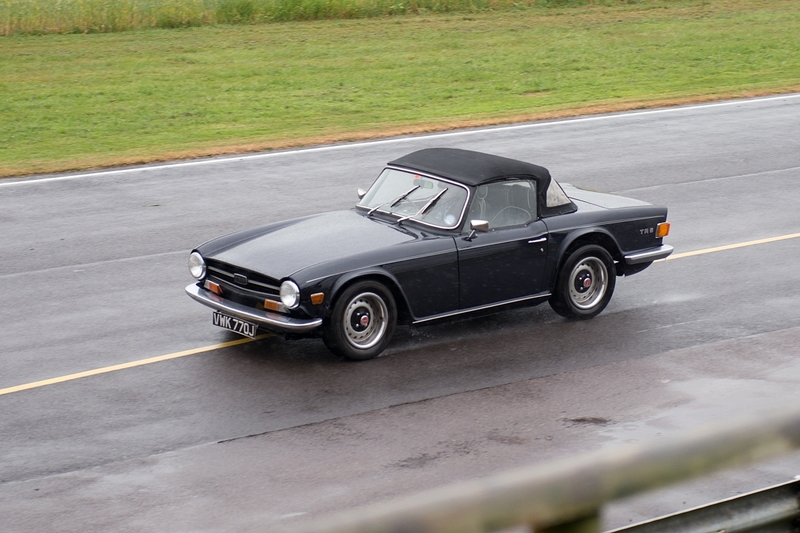 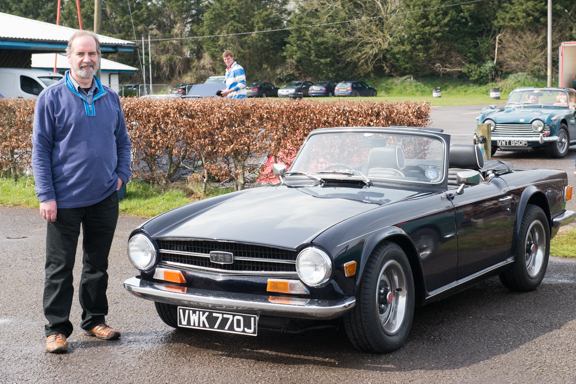 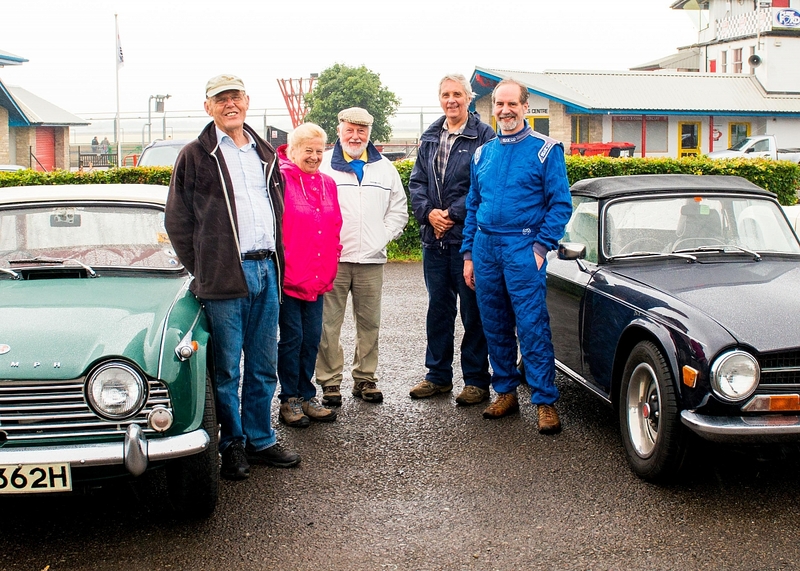 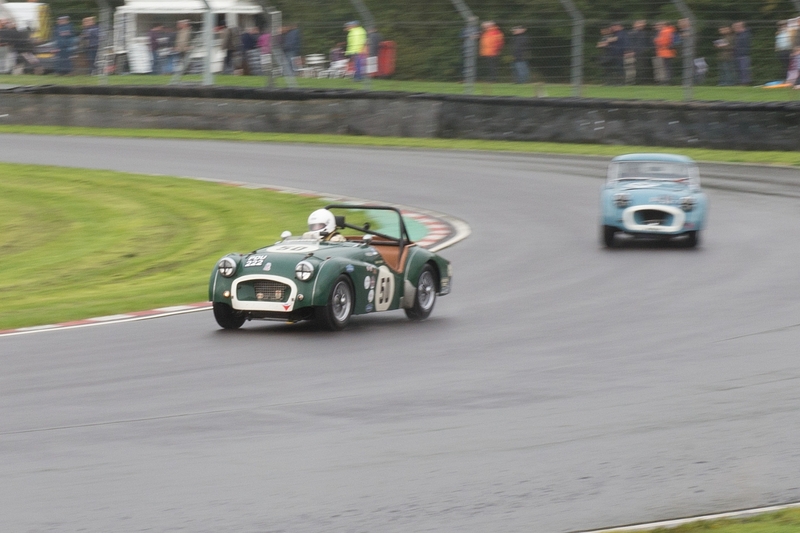 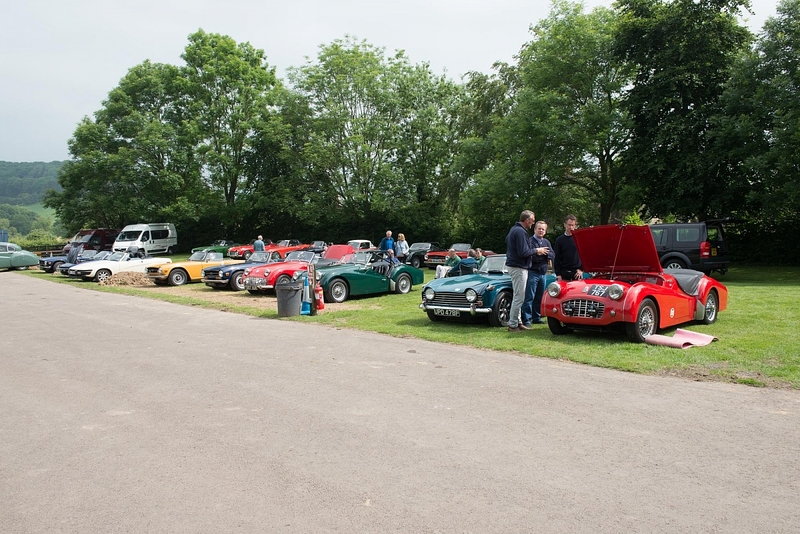 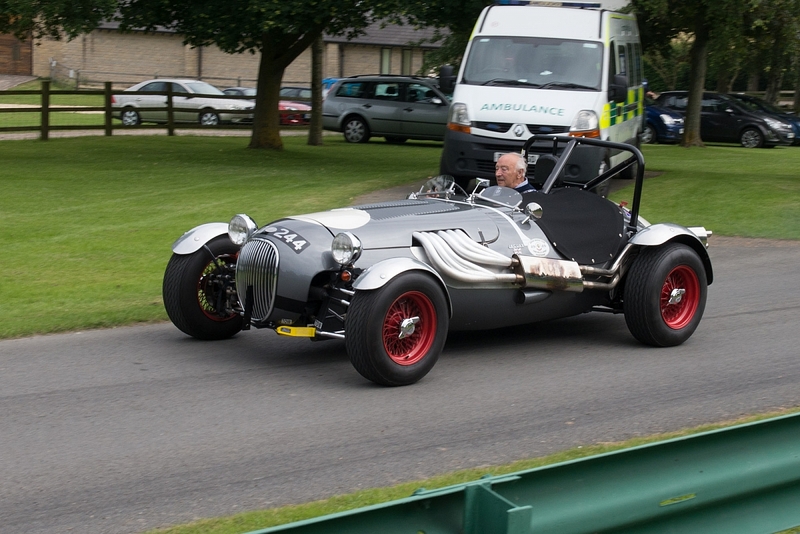 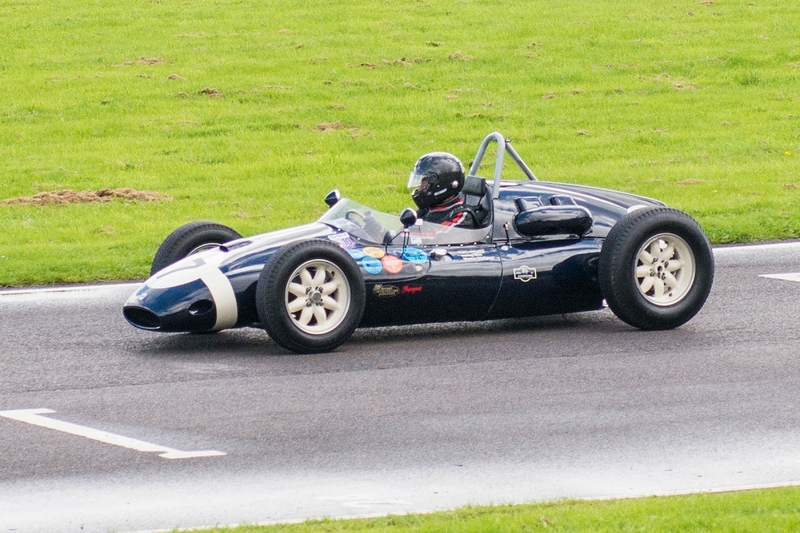 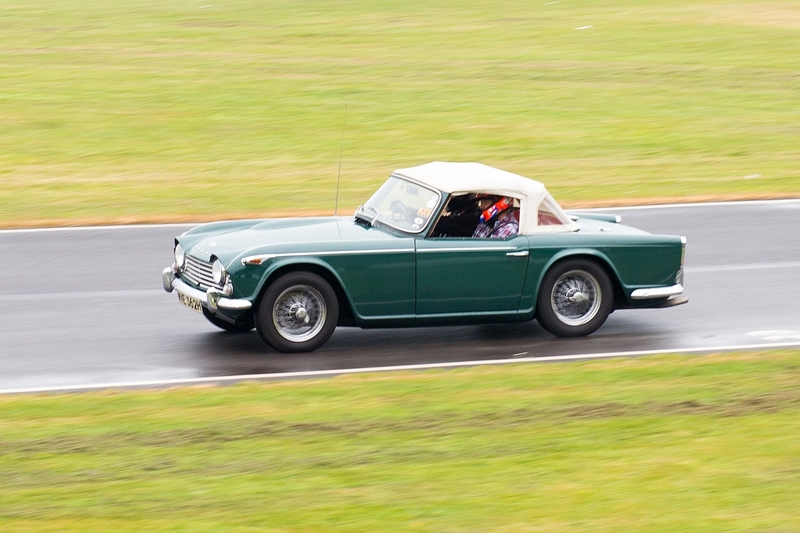 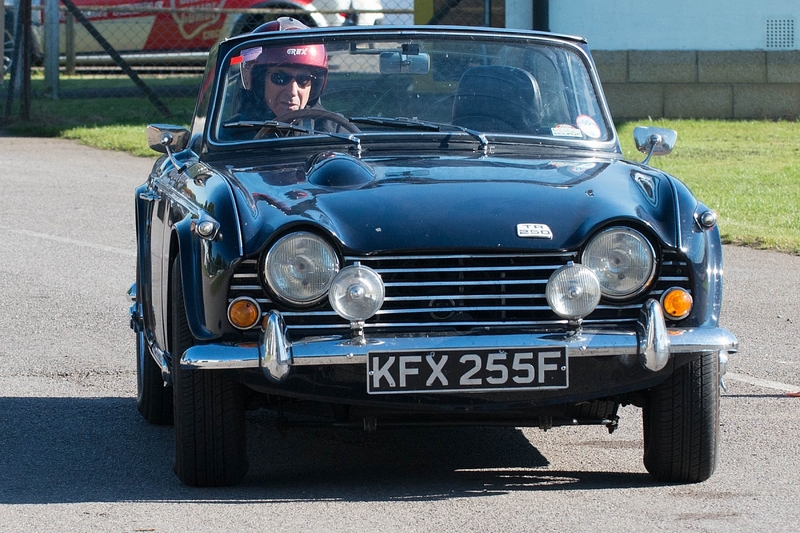 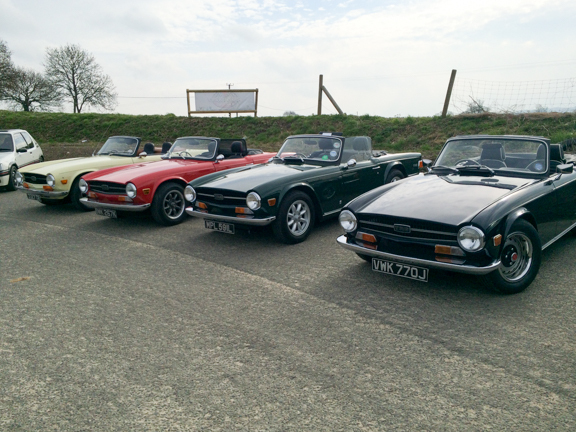 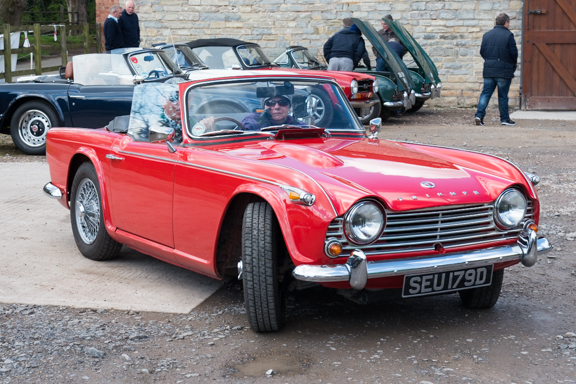 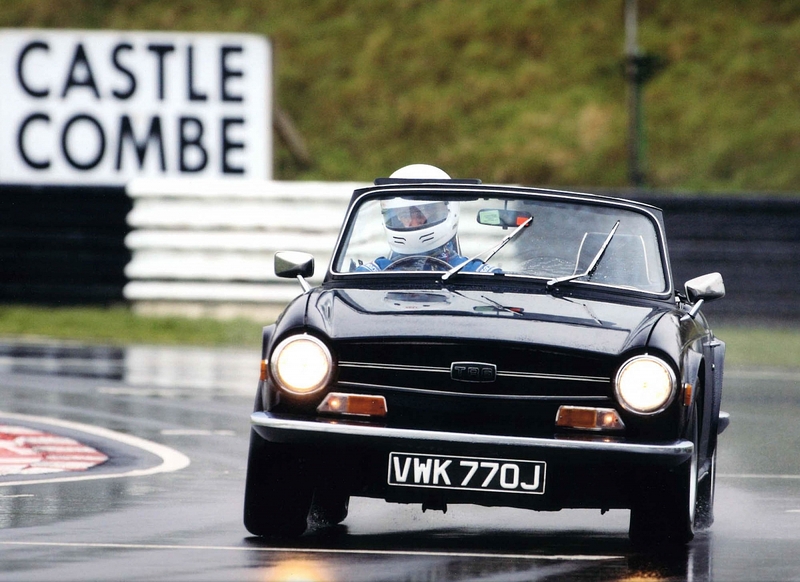 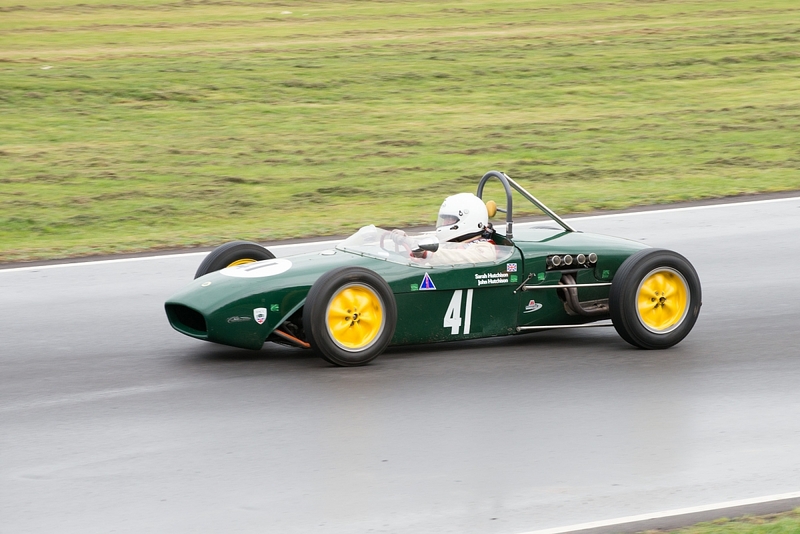 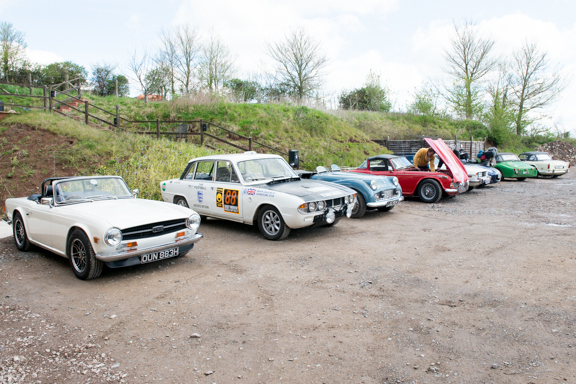 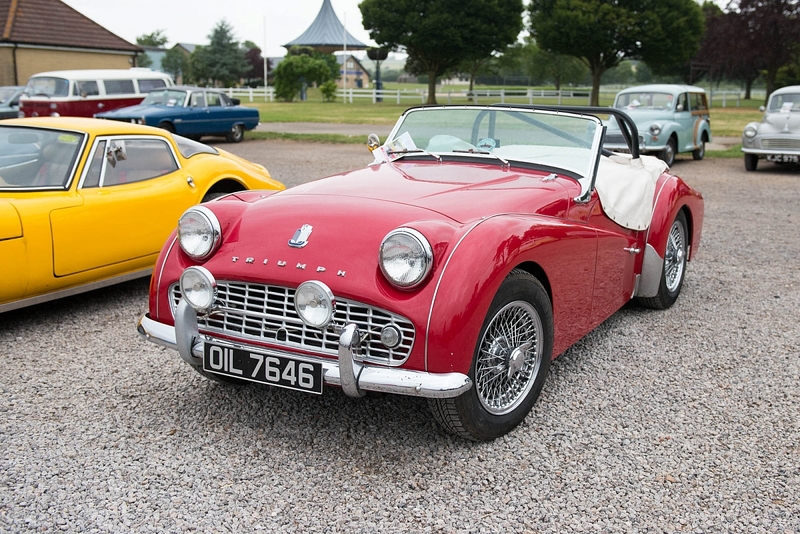 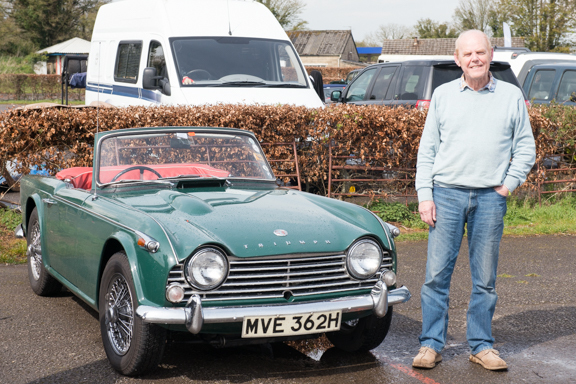 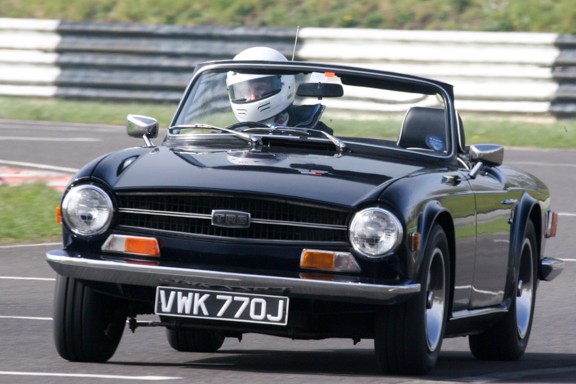 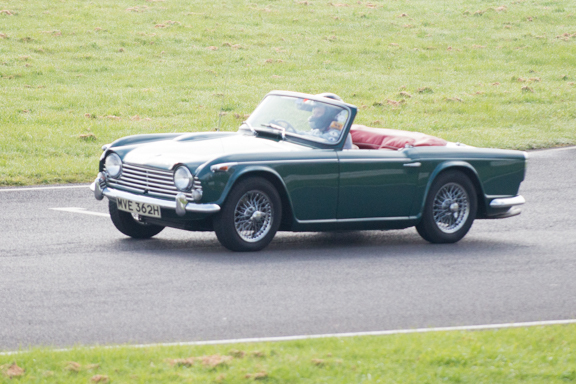 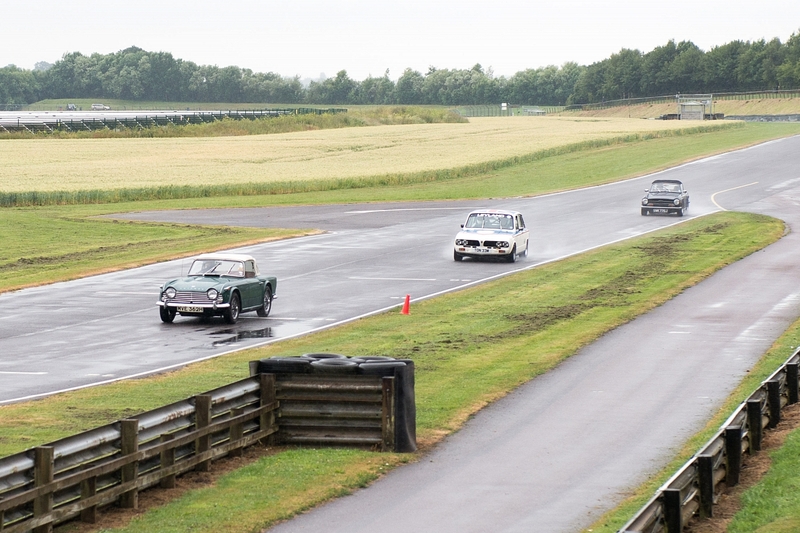 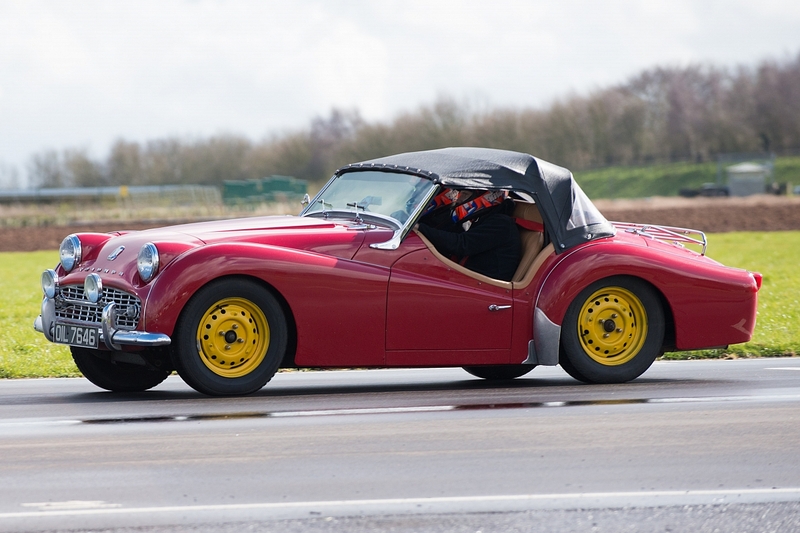 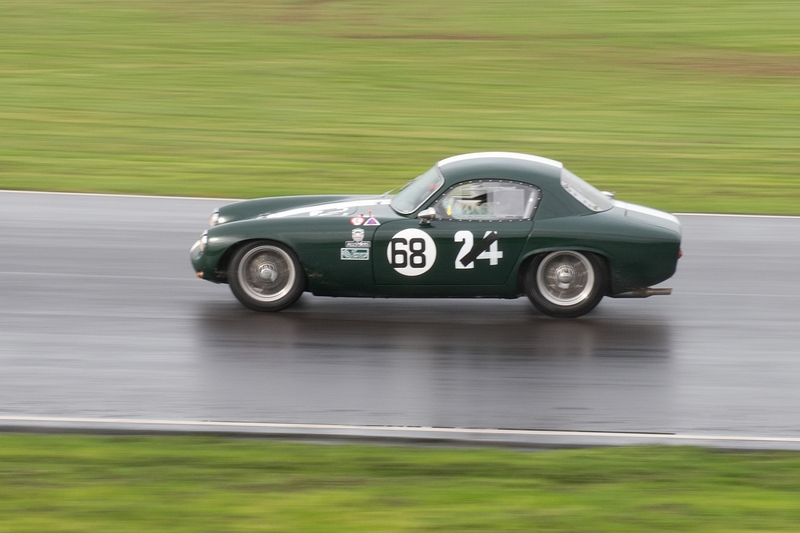 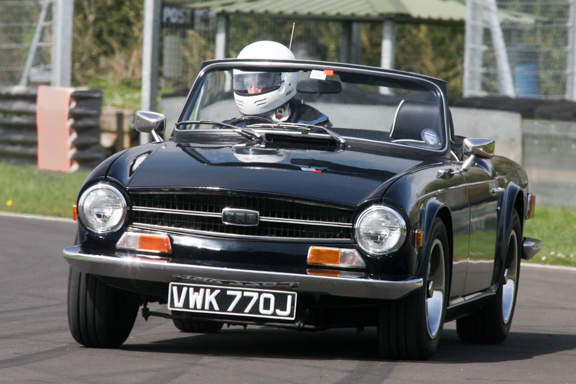 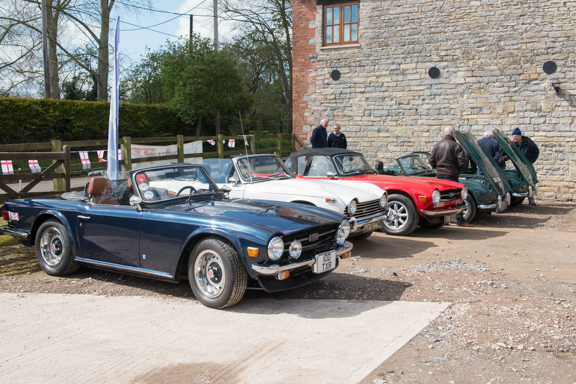 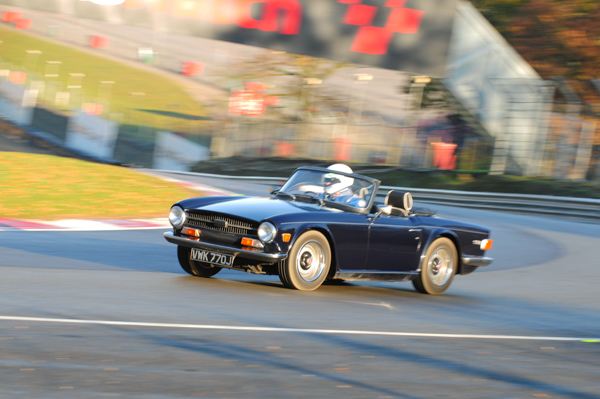 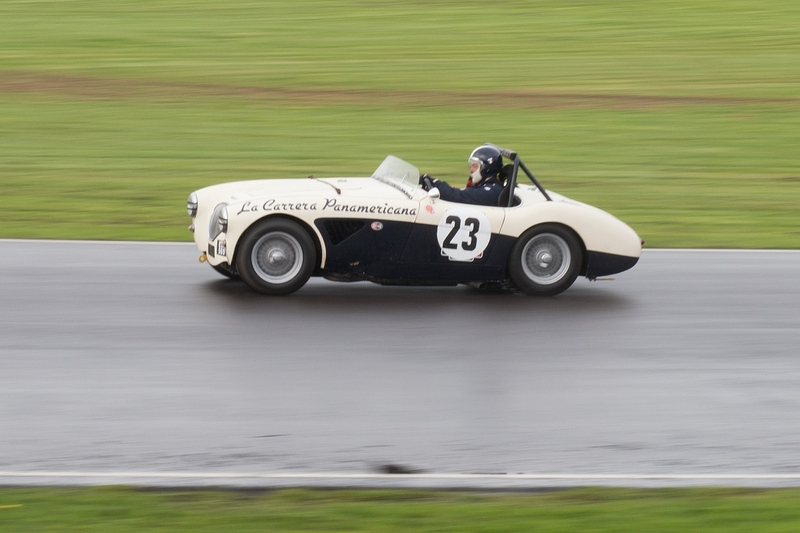 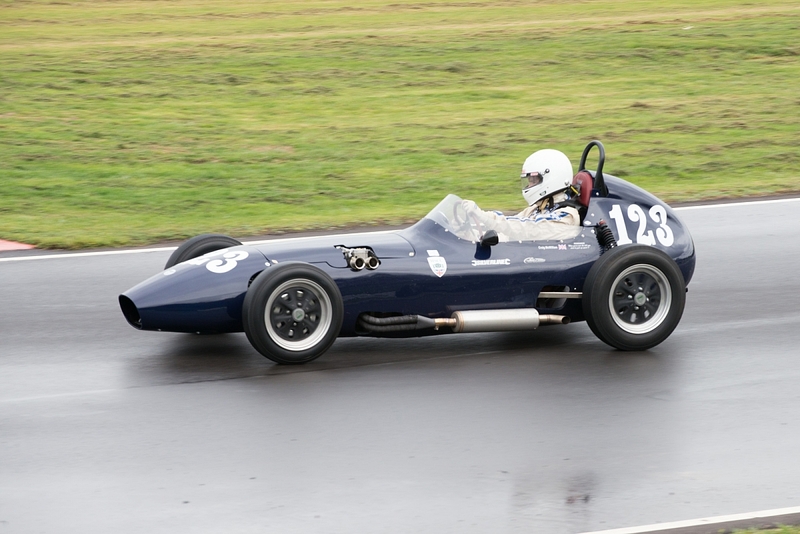 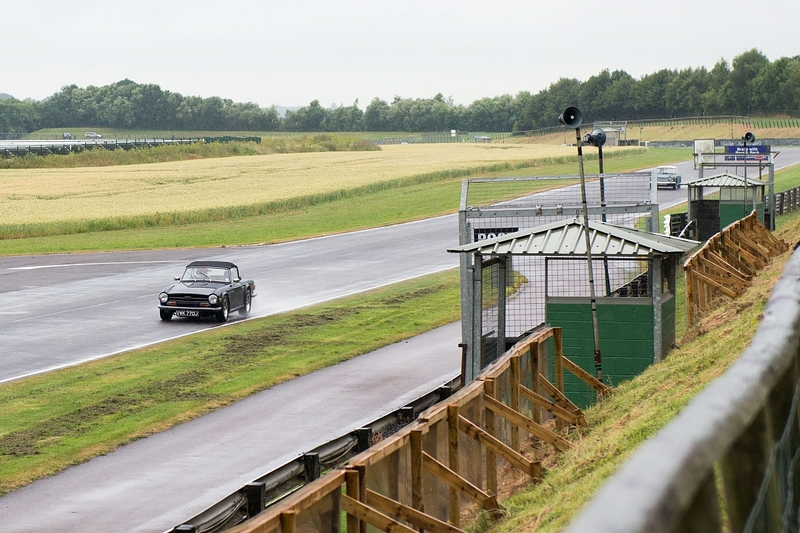 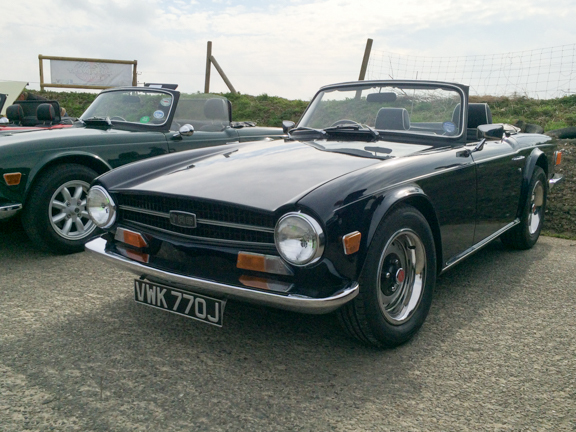 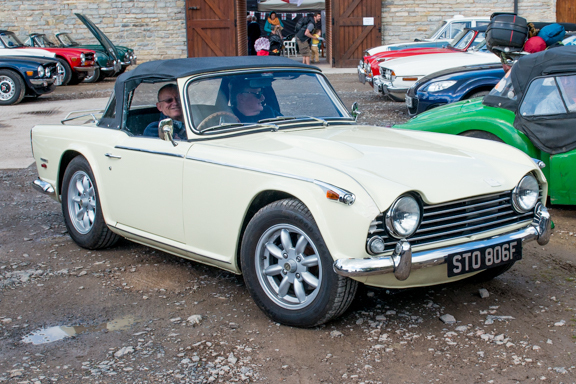 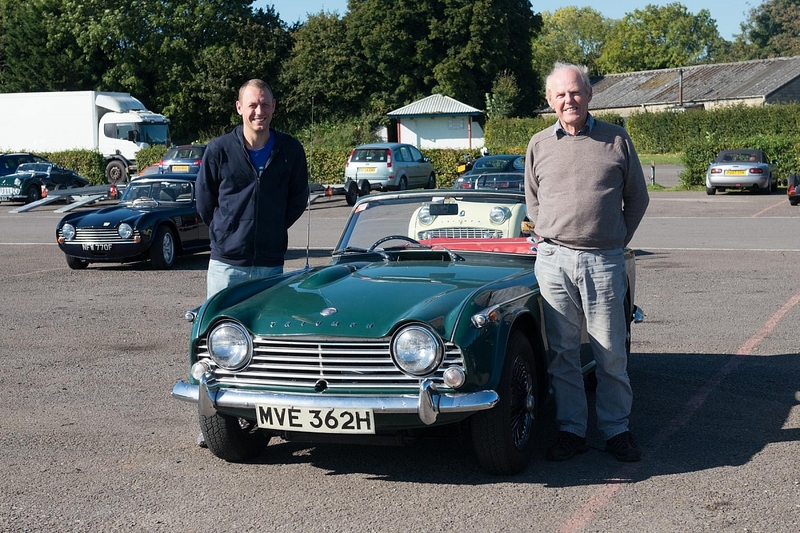 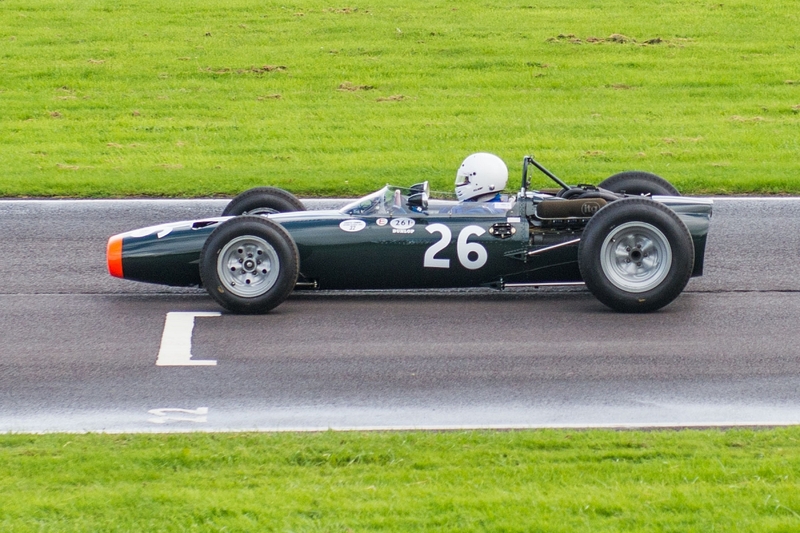 Several Brunel members visited the annual Castle Combe Track Day for Triumph cars, including two taking to the track. 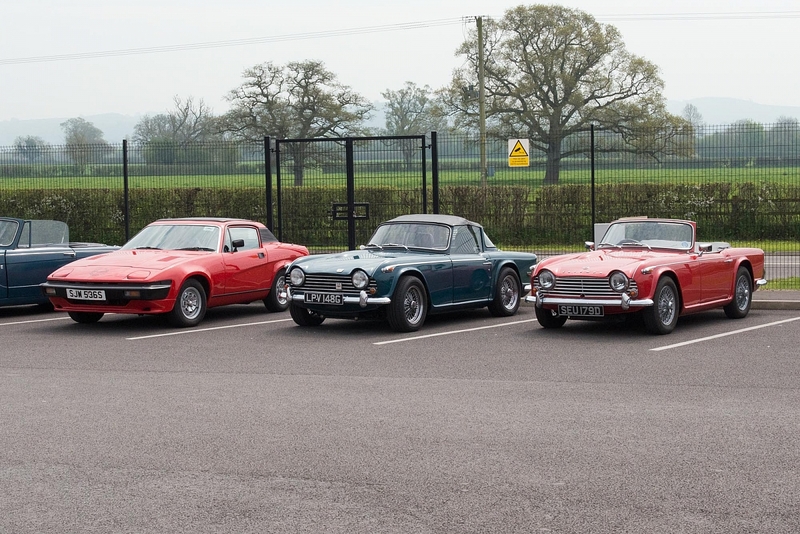 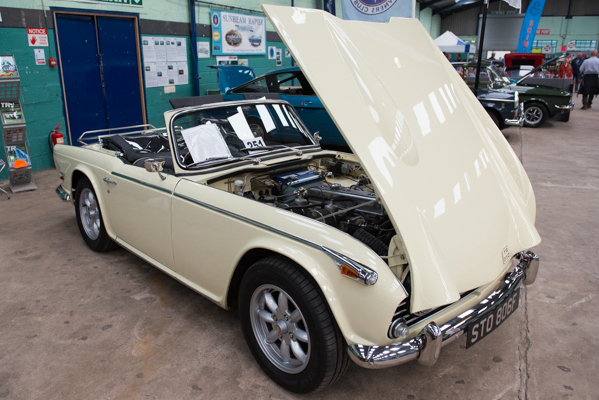 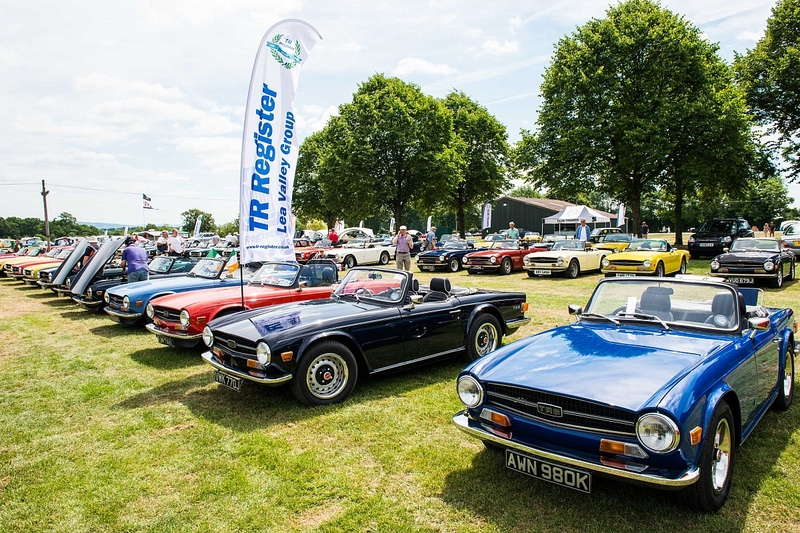 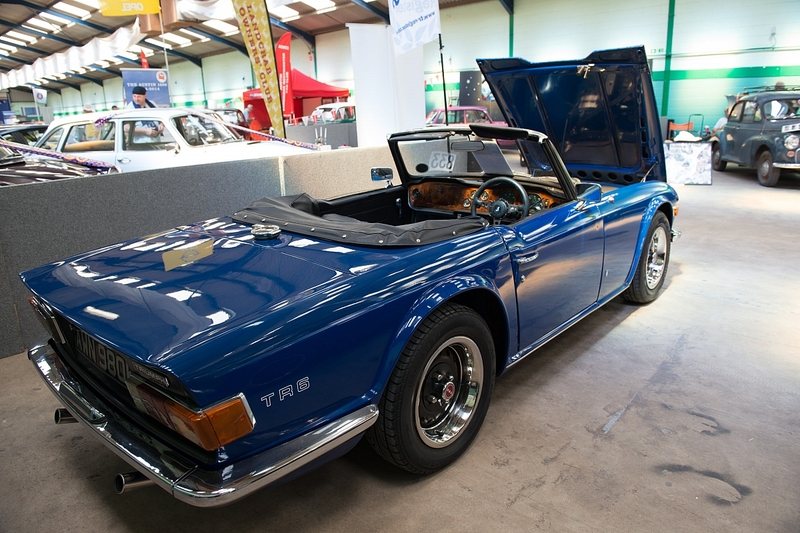 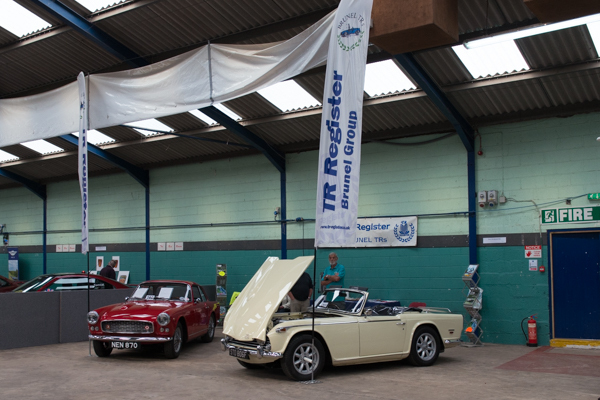 Triumph TRs from Brunel Group and Somerset Triumphs attract attention from many current and past TR owners. 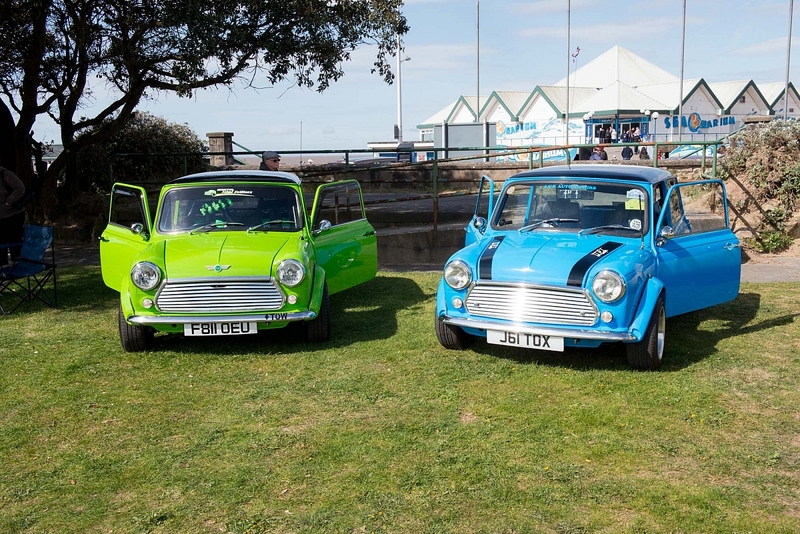 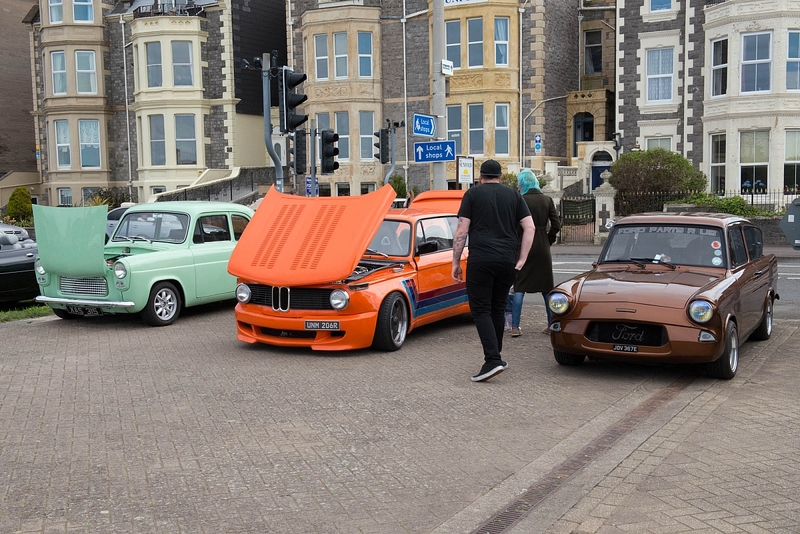 Good weather drew the crowds to Weston super Mare for Easter Sunday.